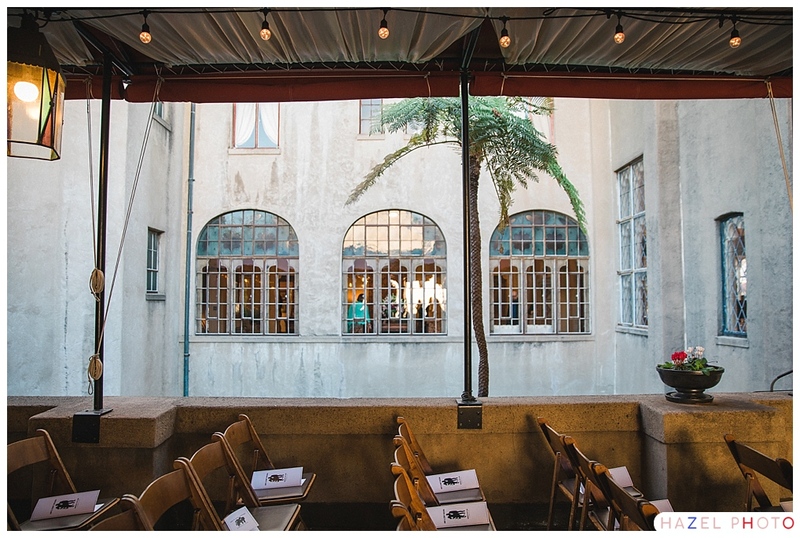 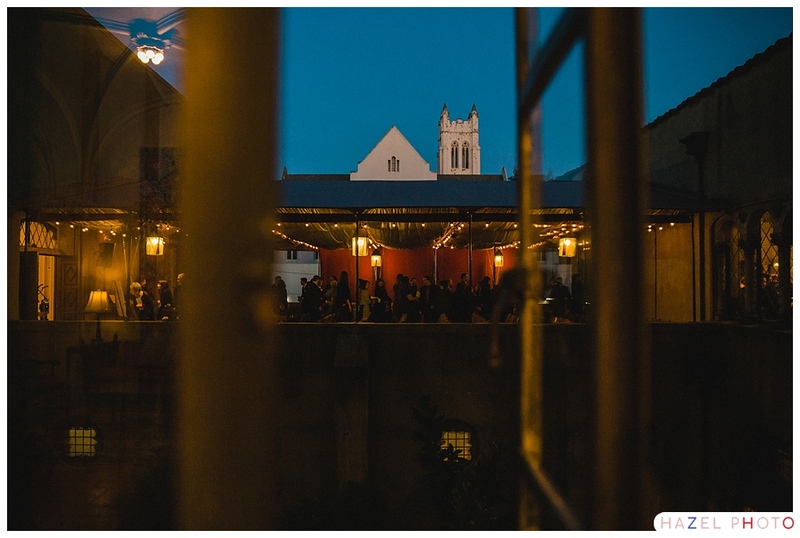 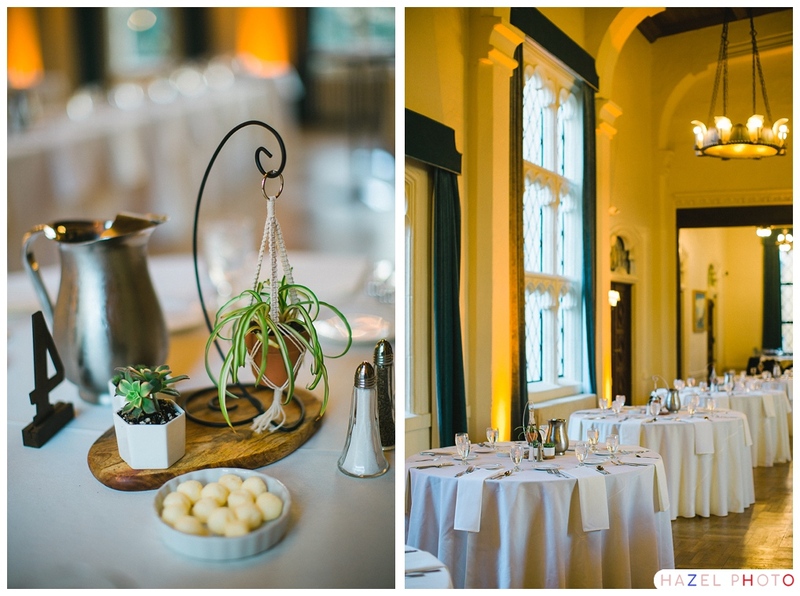 As the sun was setting, wedding guests gathered on a generous balcony. 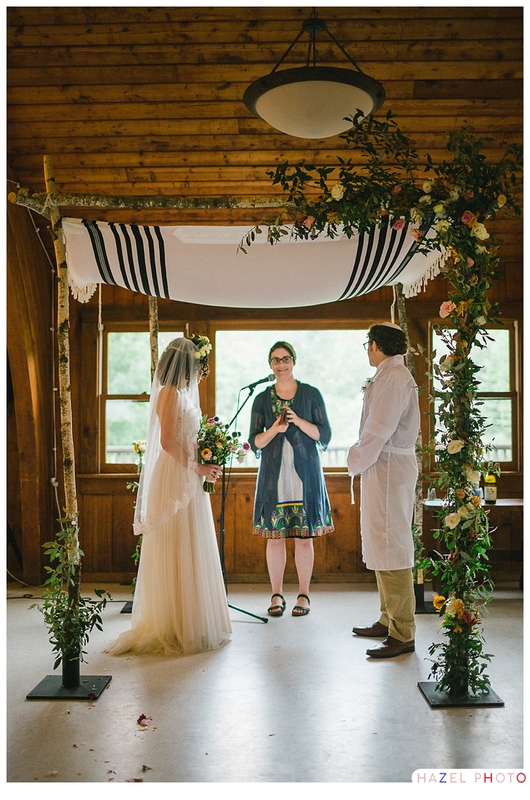 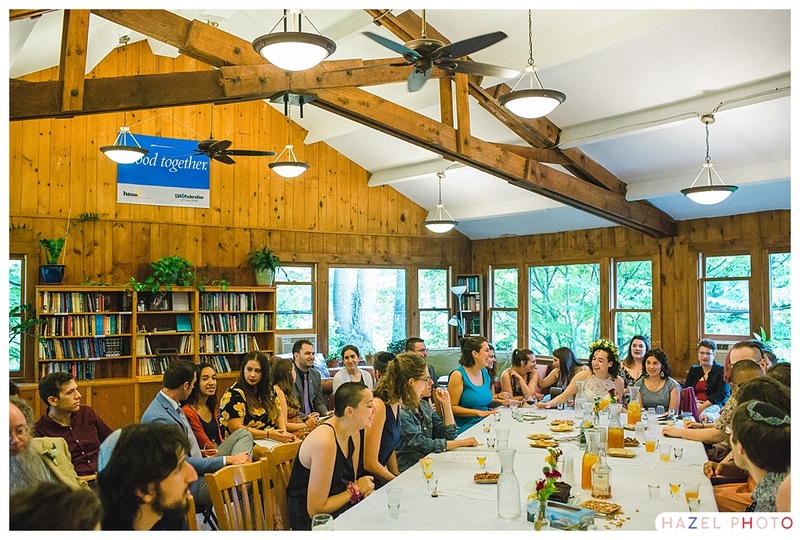 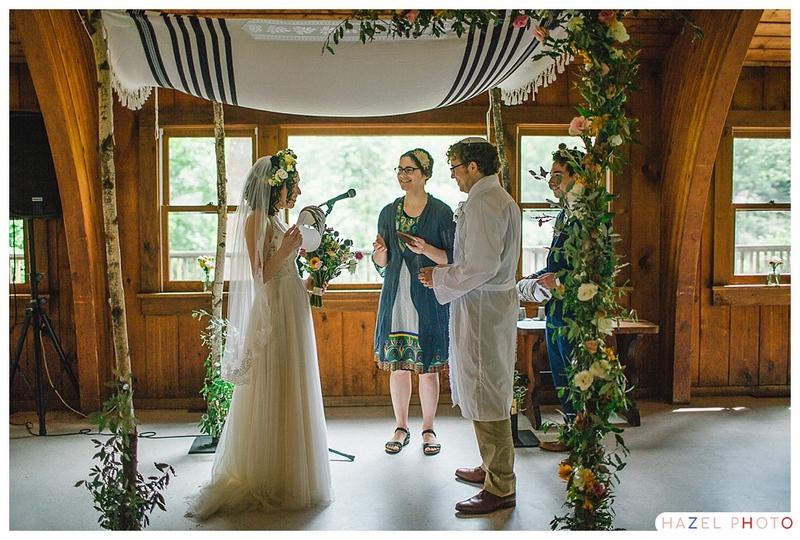 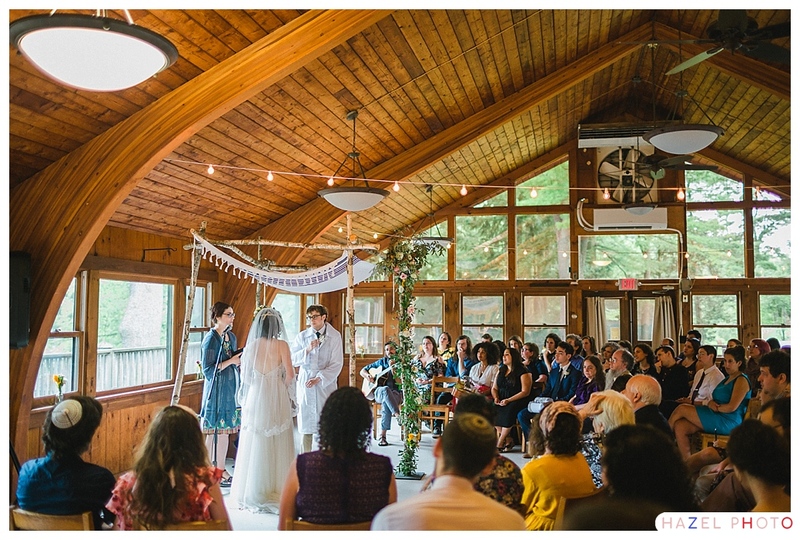 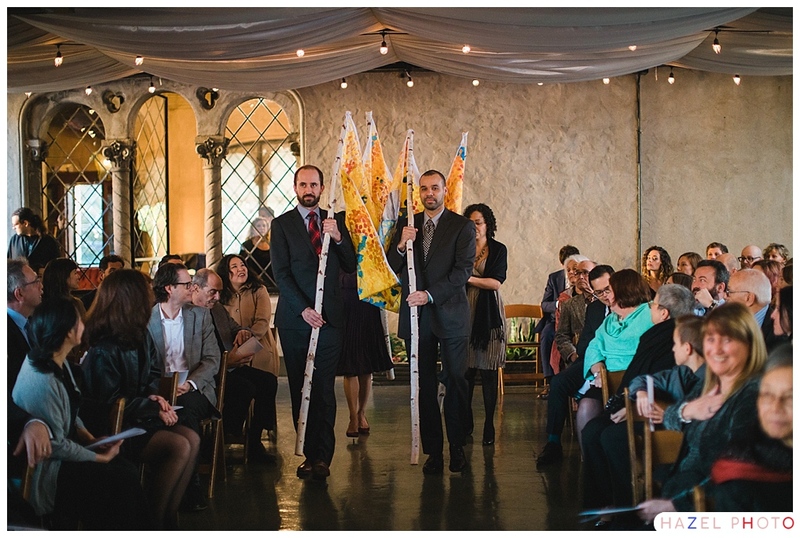 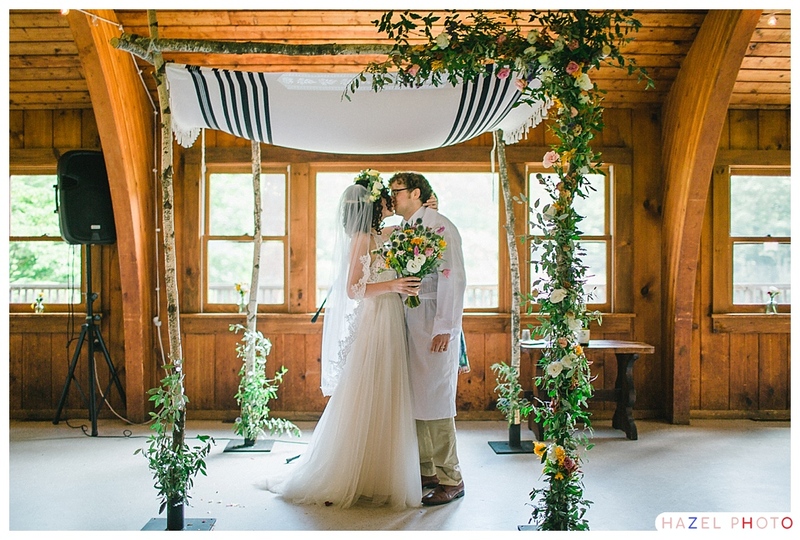 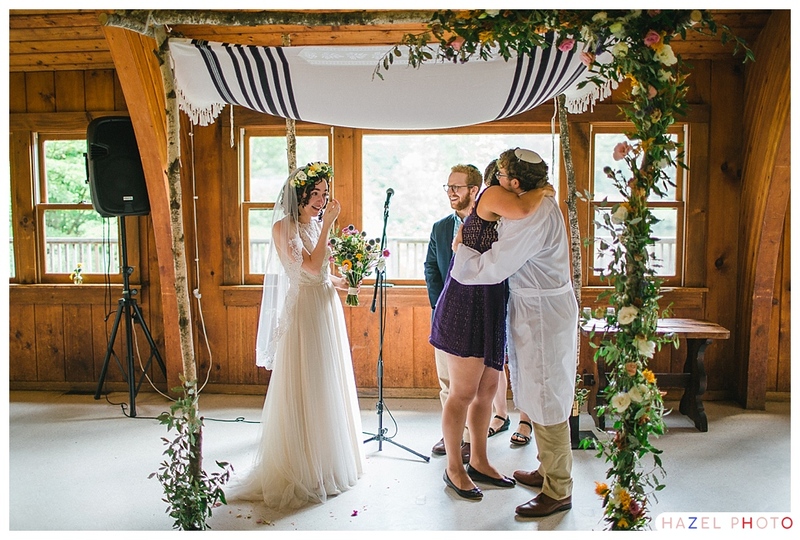 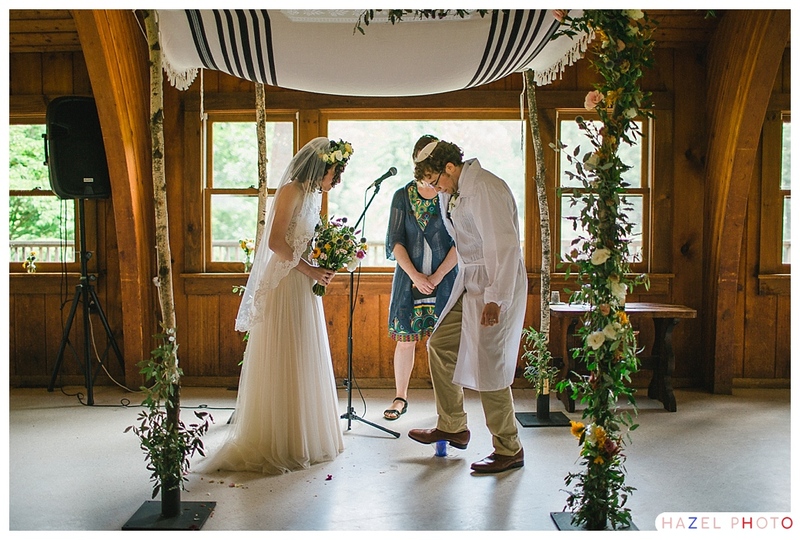 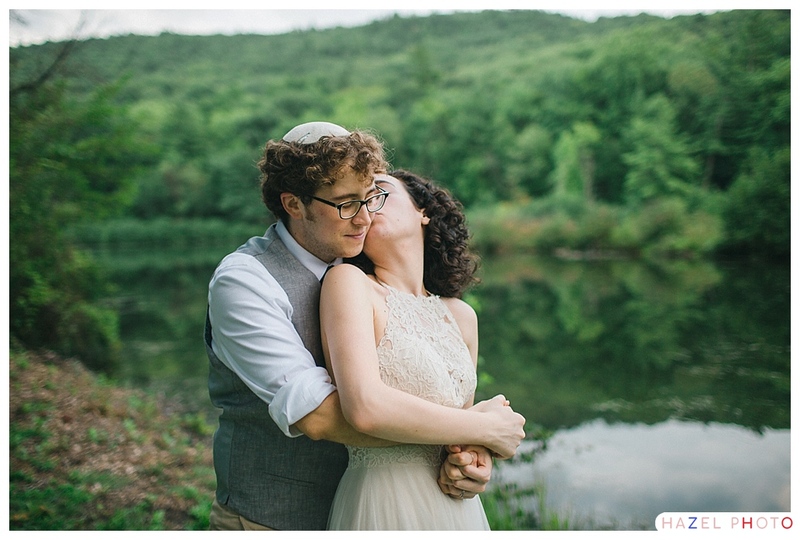 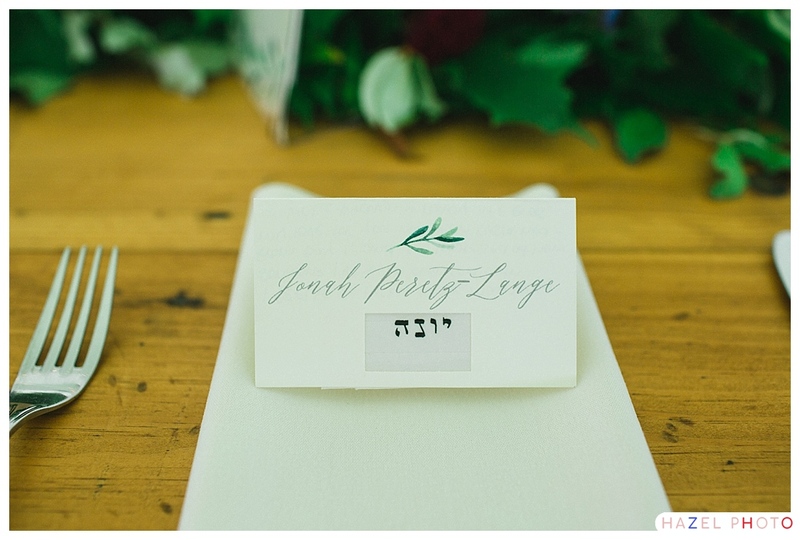 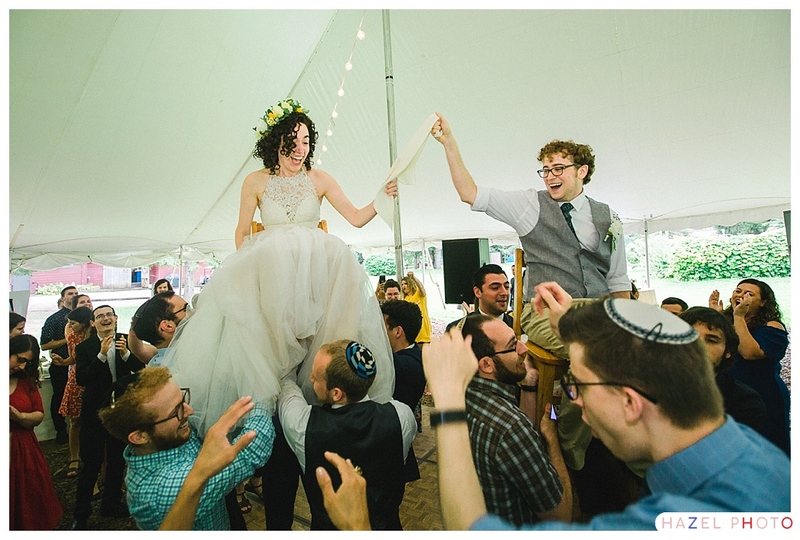 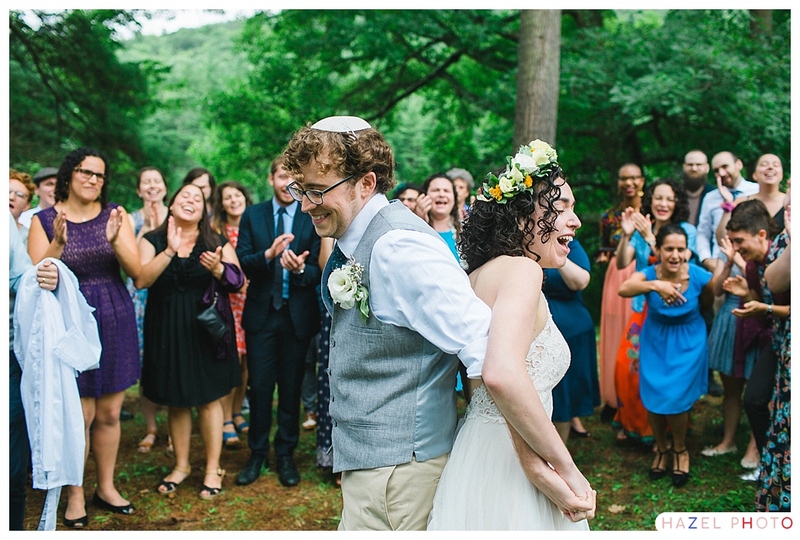 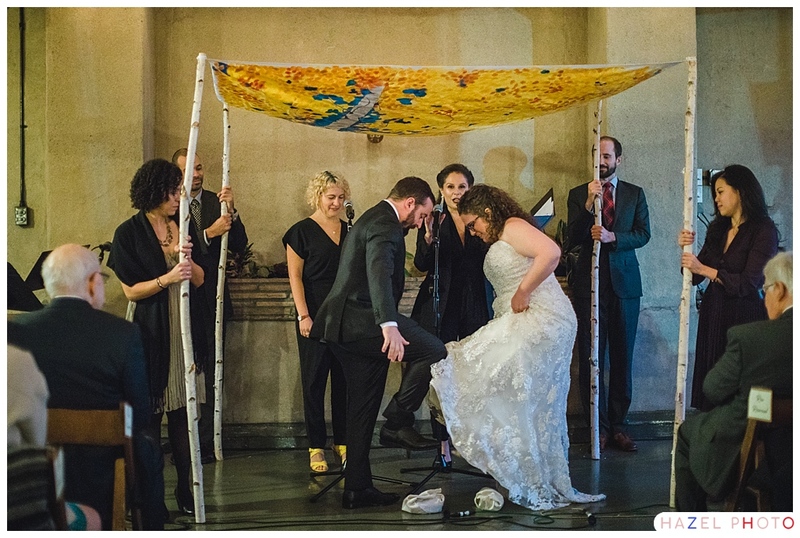 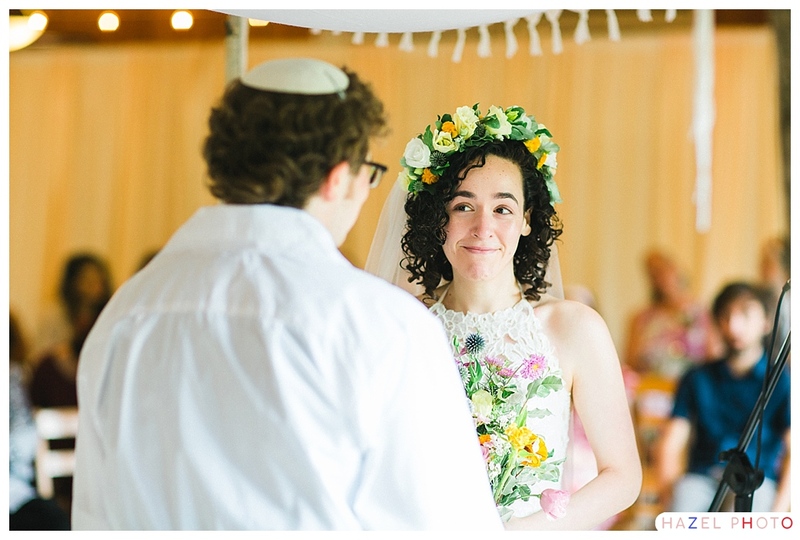 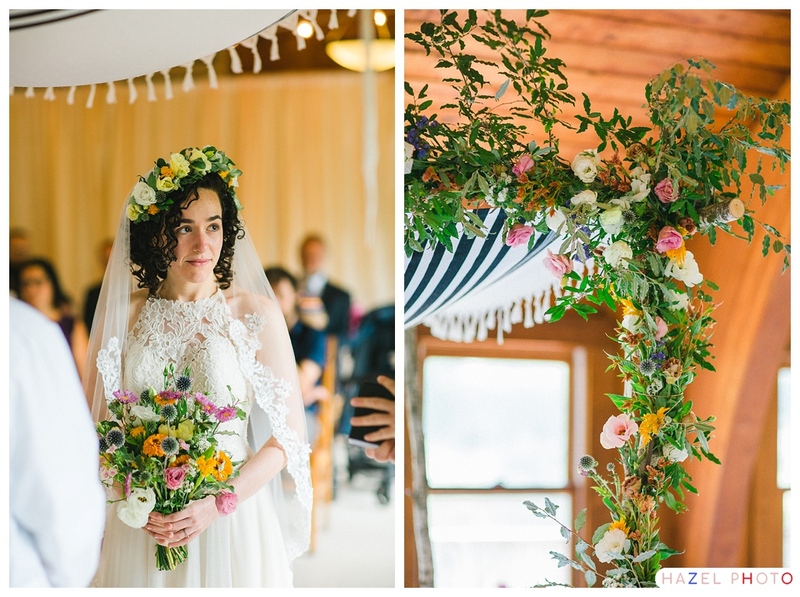 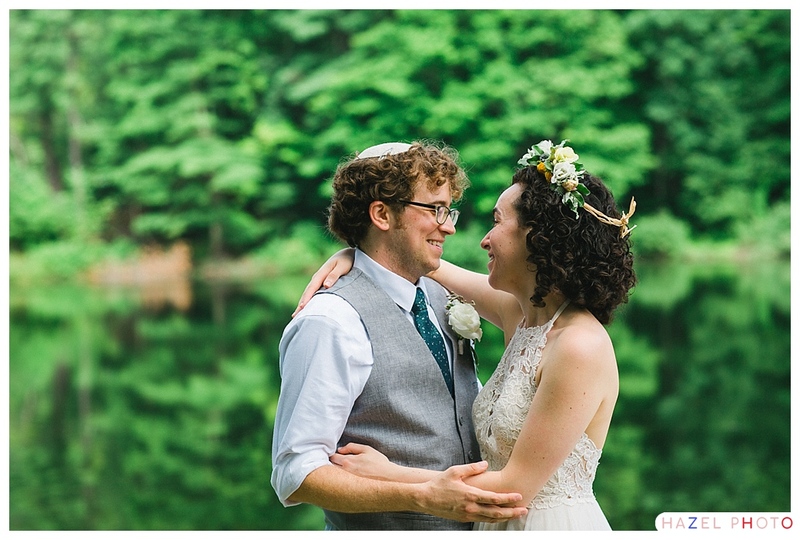 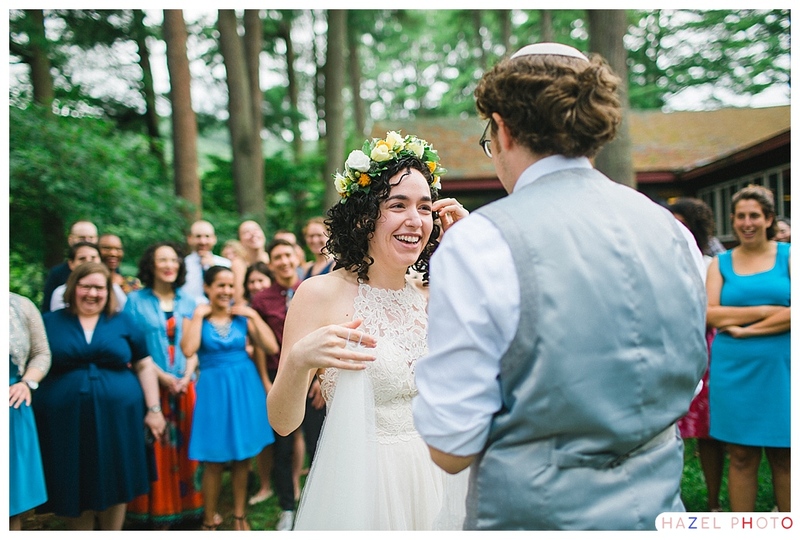 The chuppah holders processed. 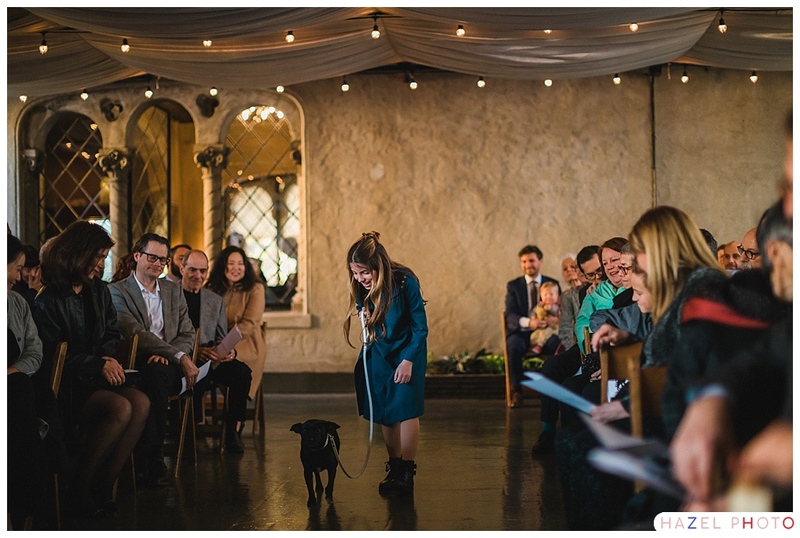 Jenni and Andy’s puppy was led down the aisle by Jenni’s niece. 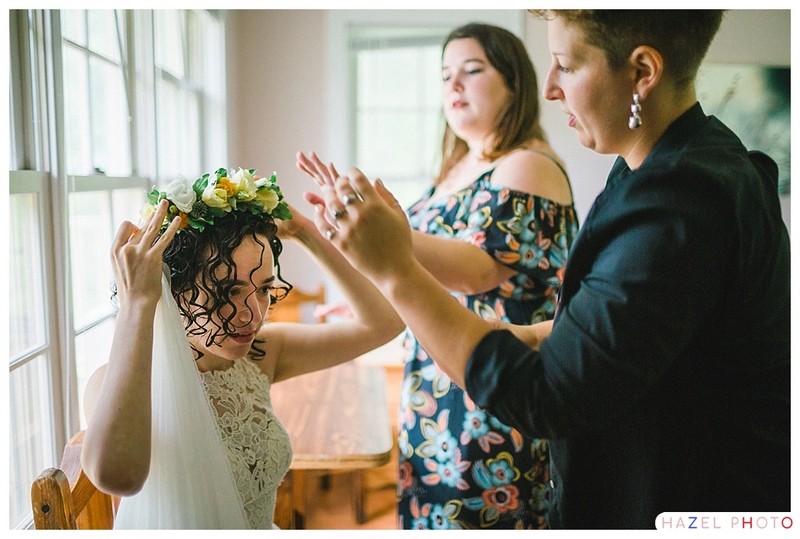 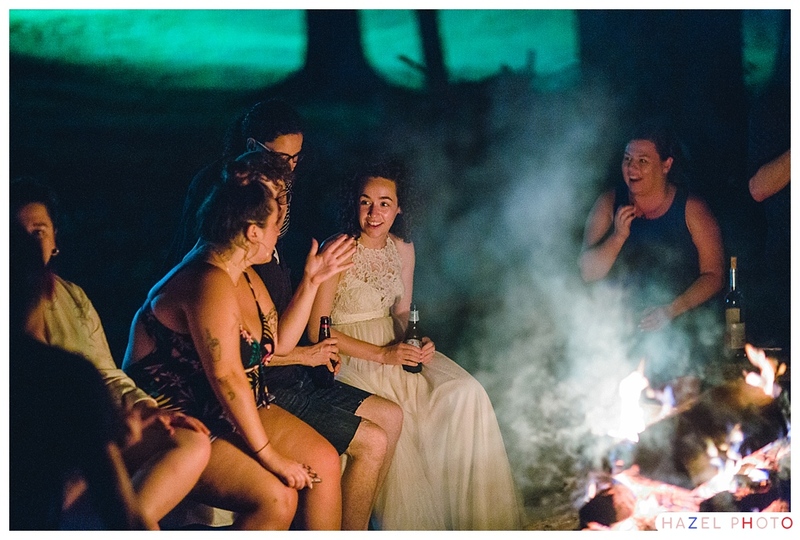 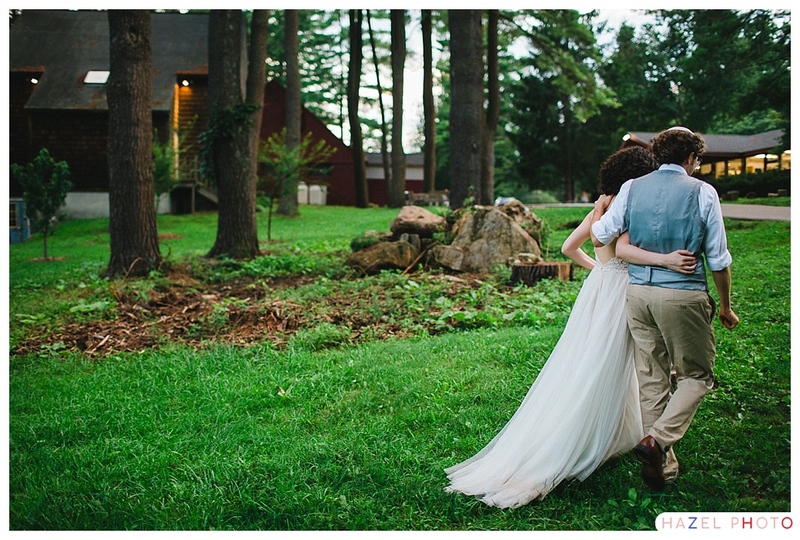 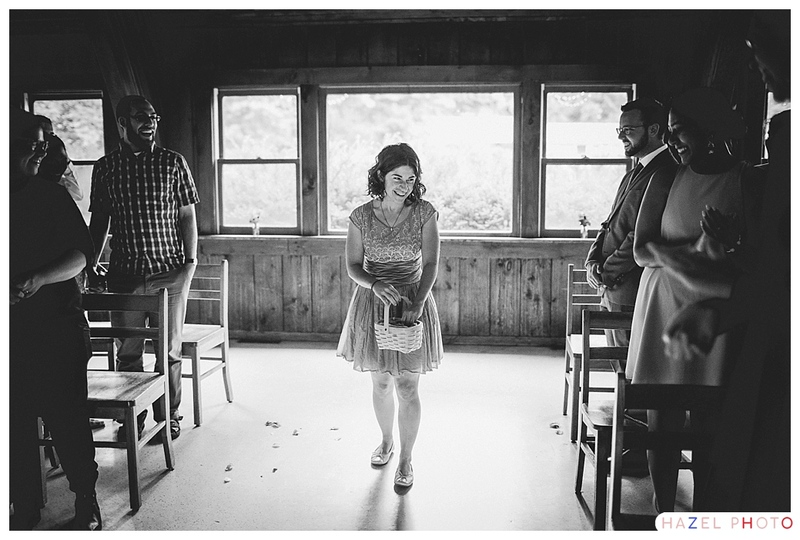 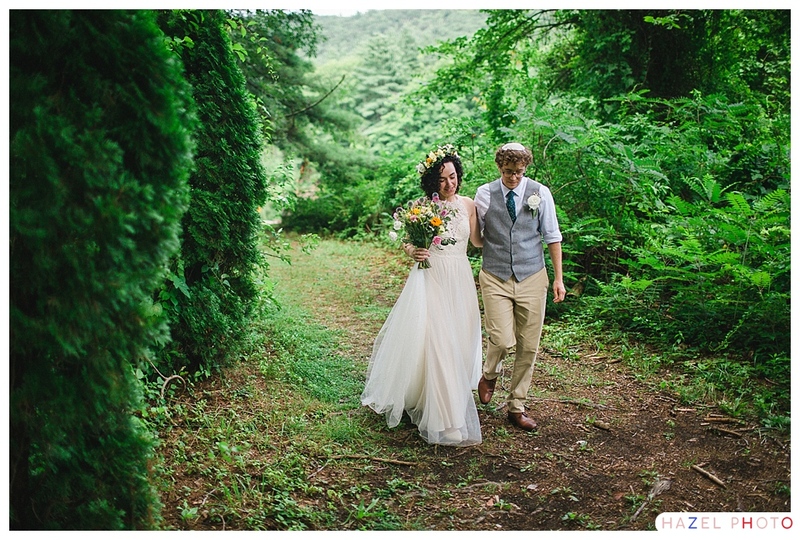 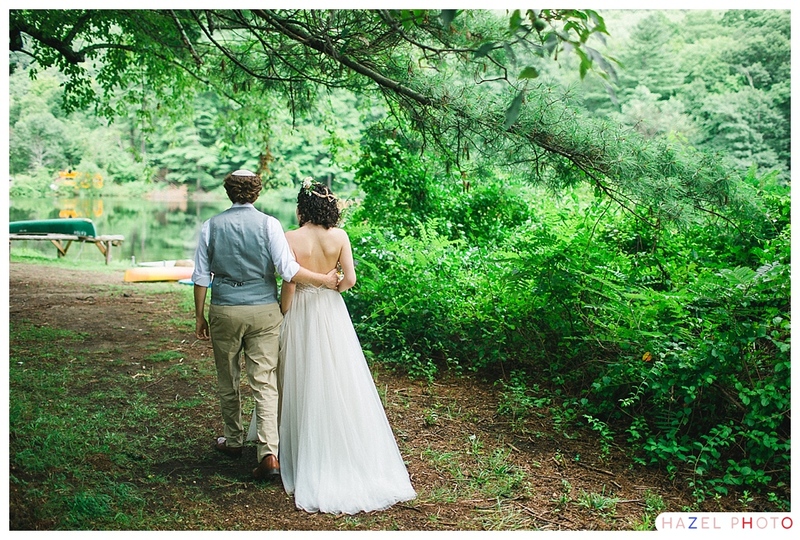 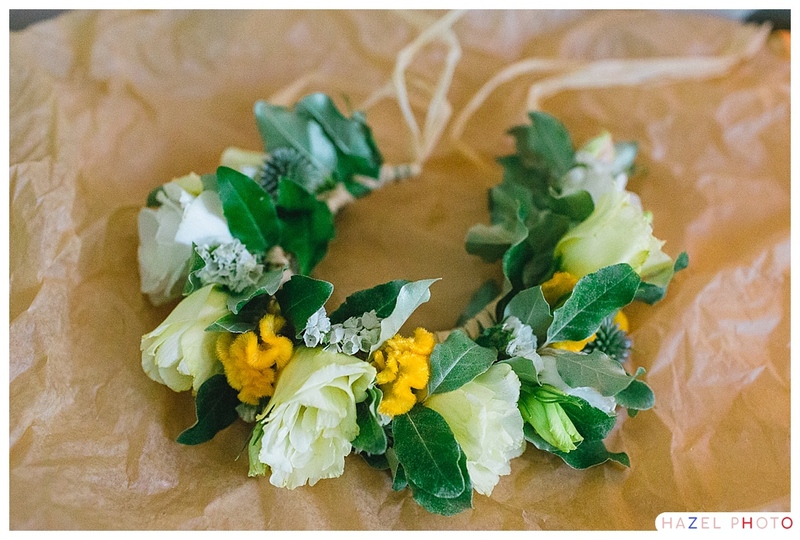 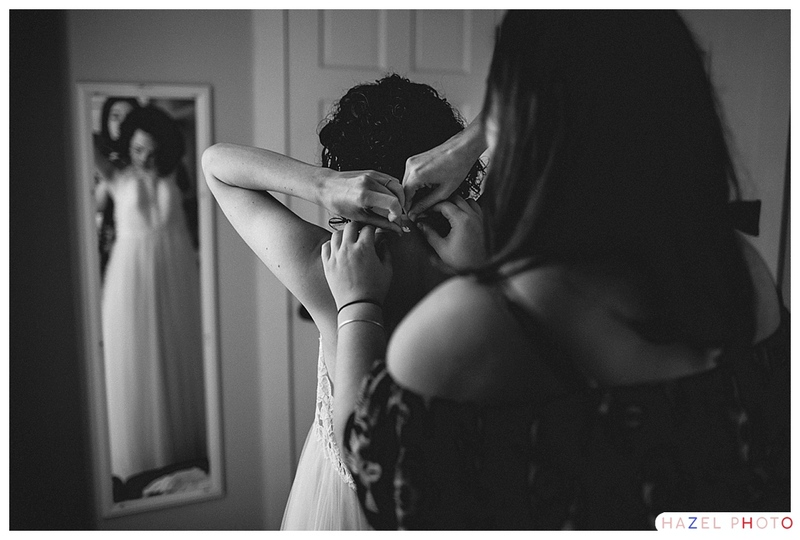 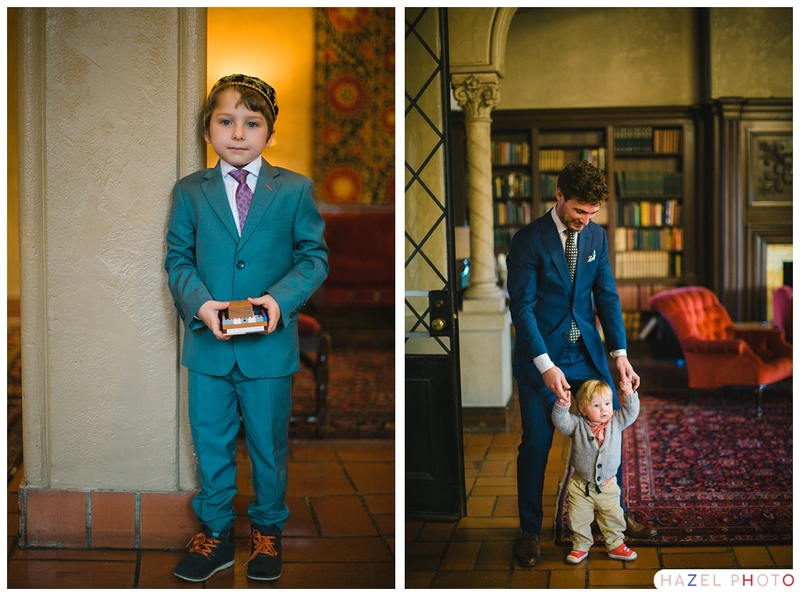 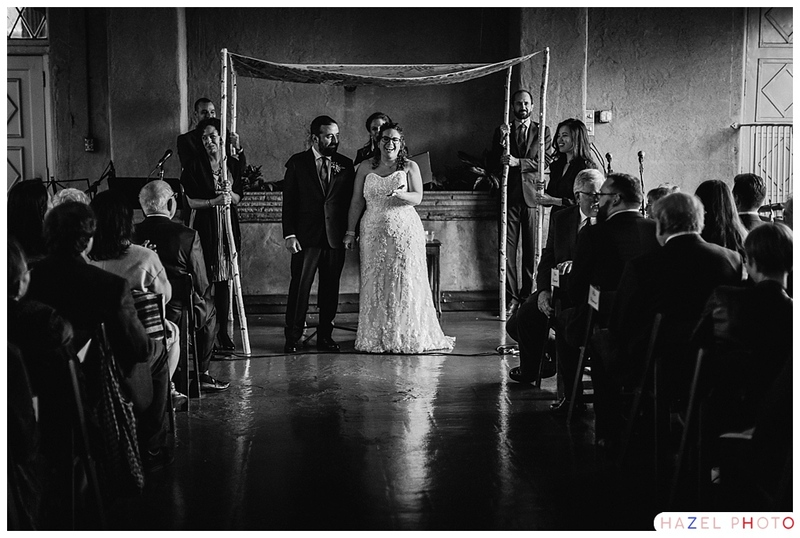 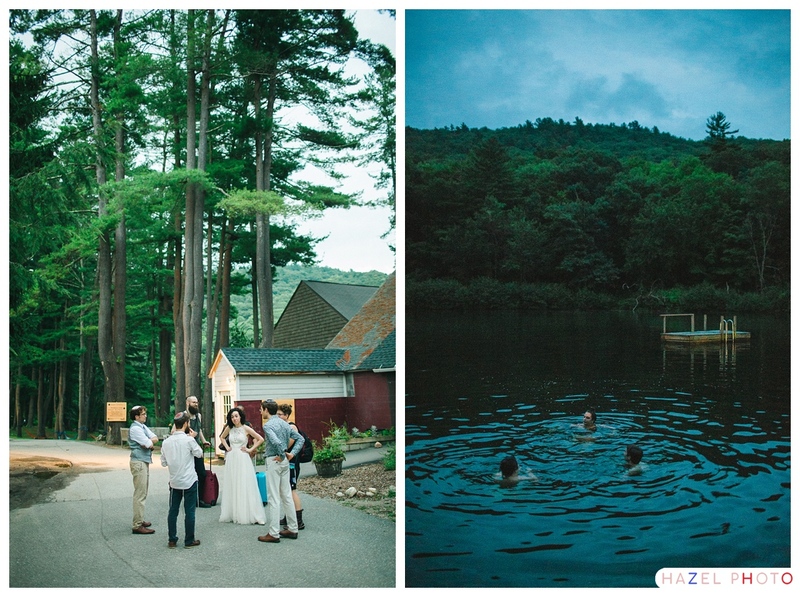 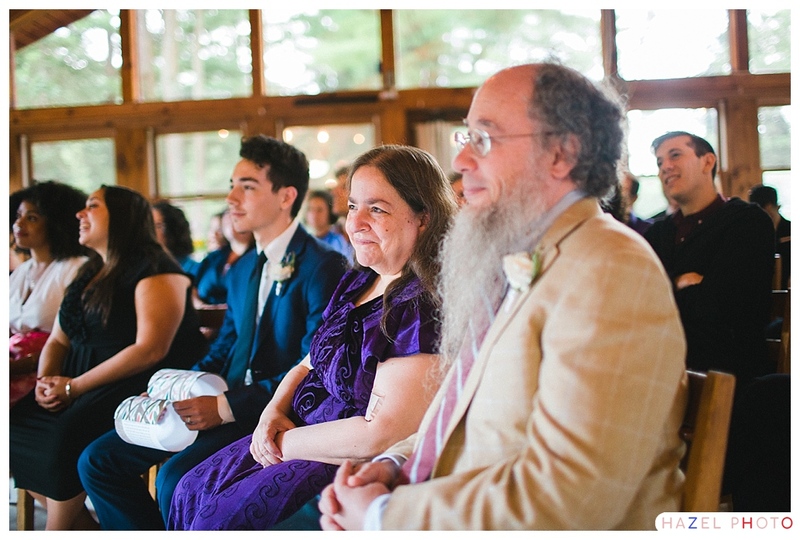 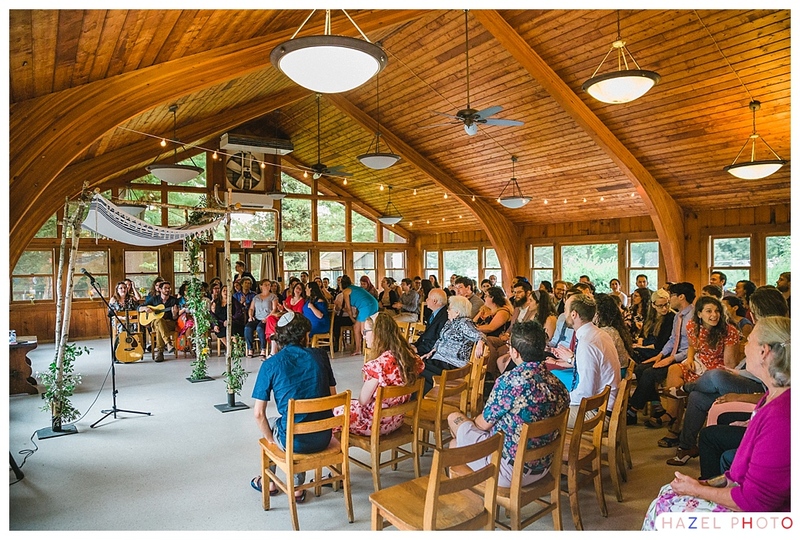 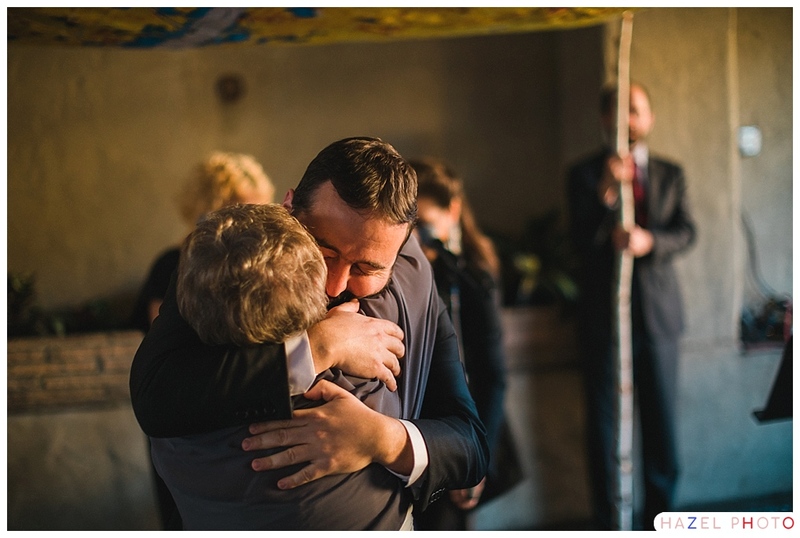 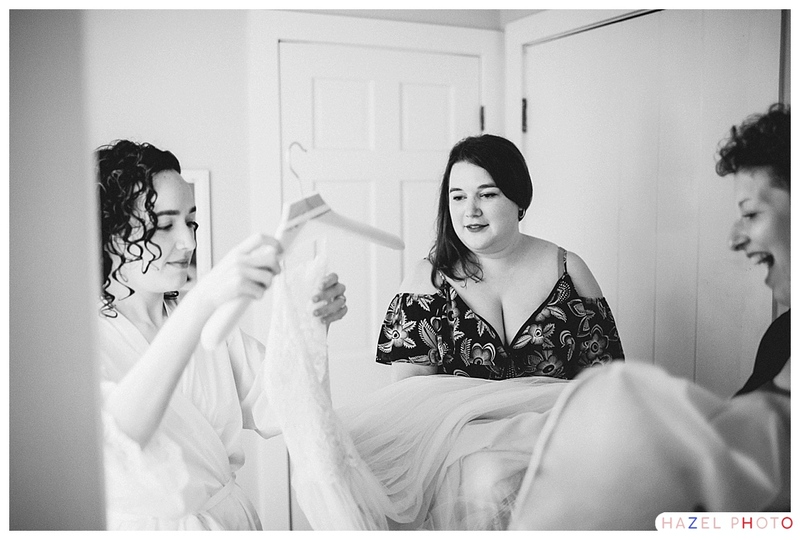 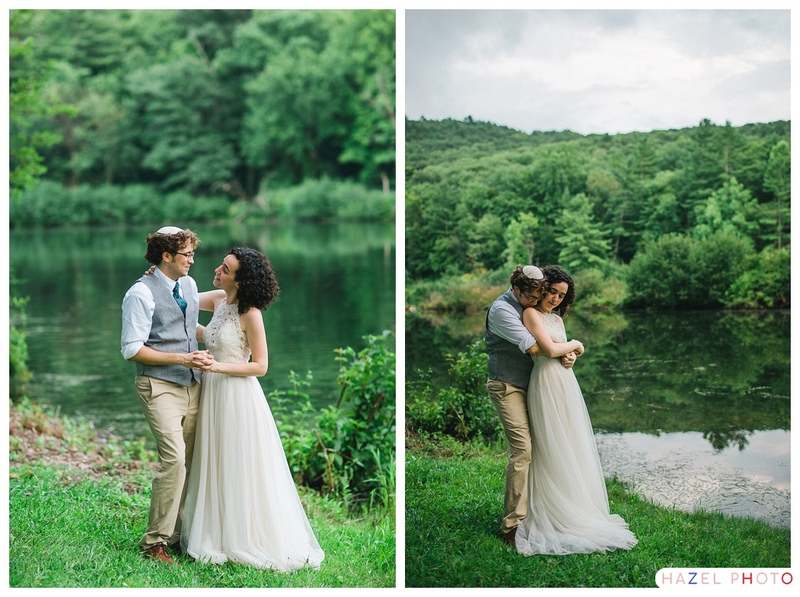 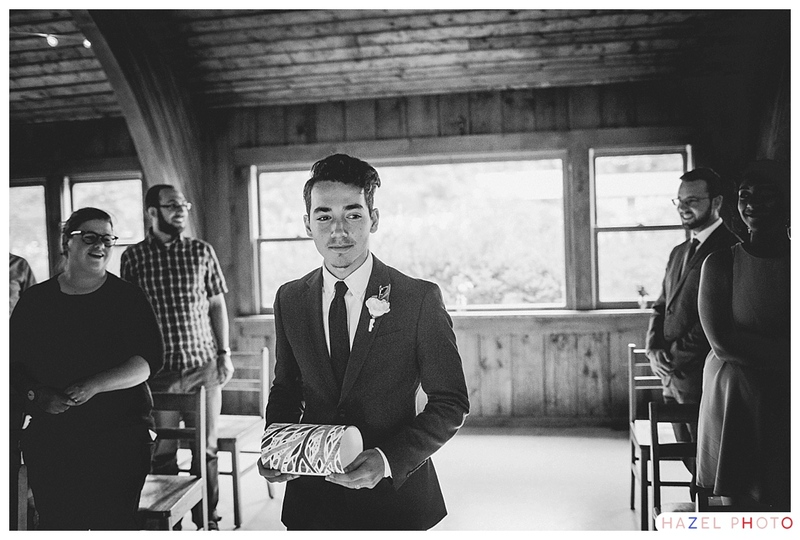 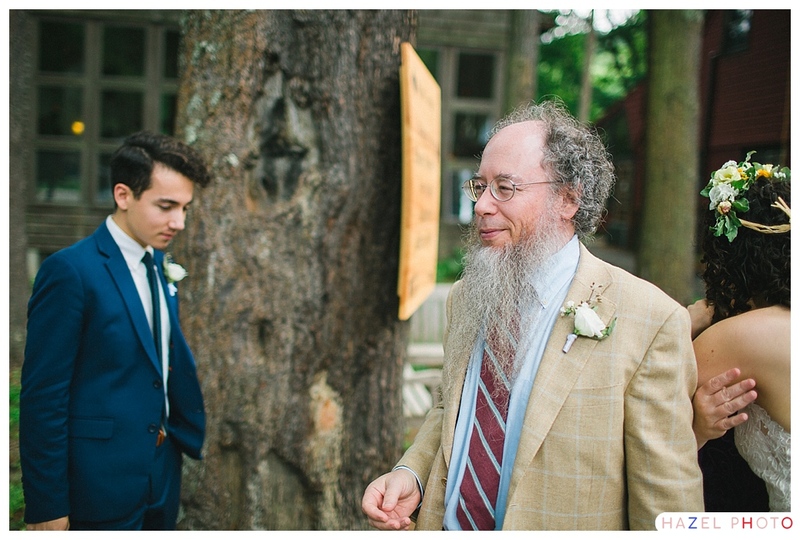 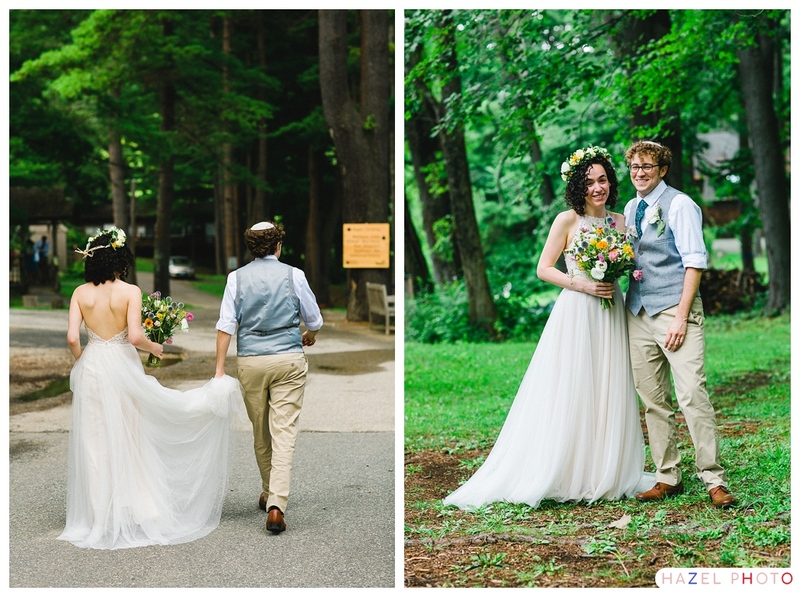 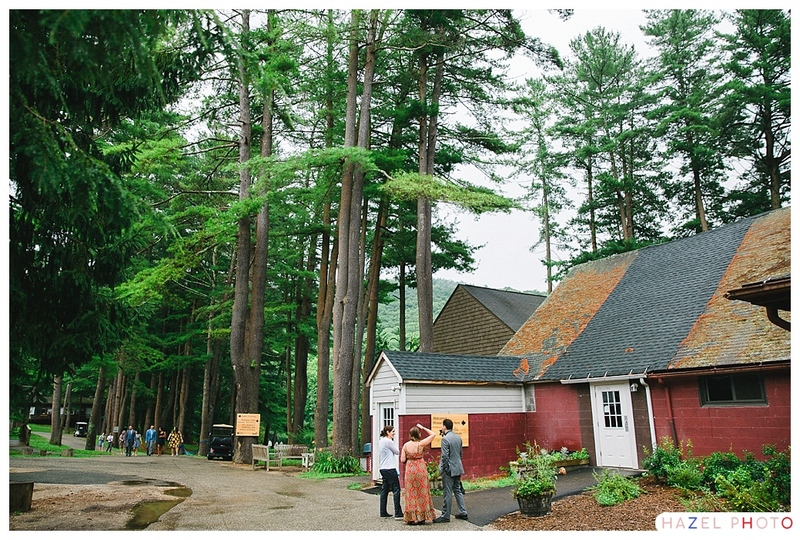 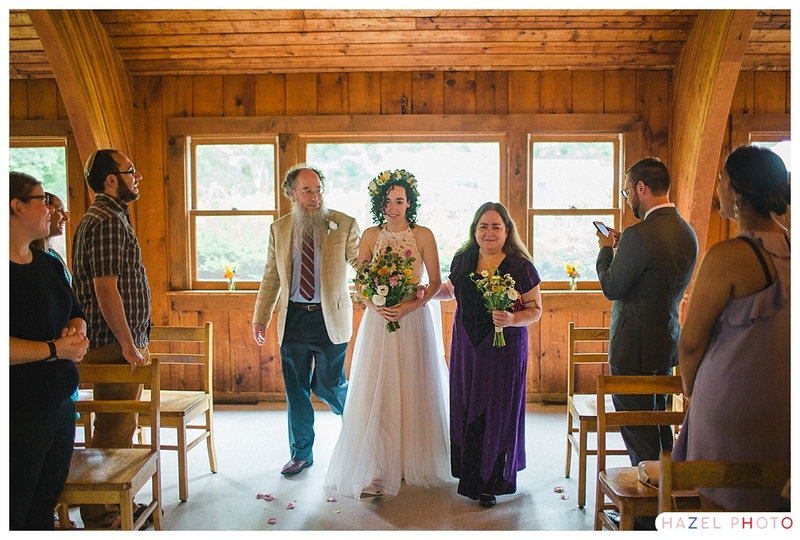 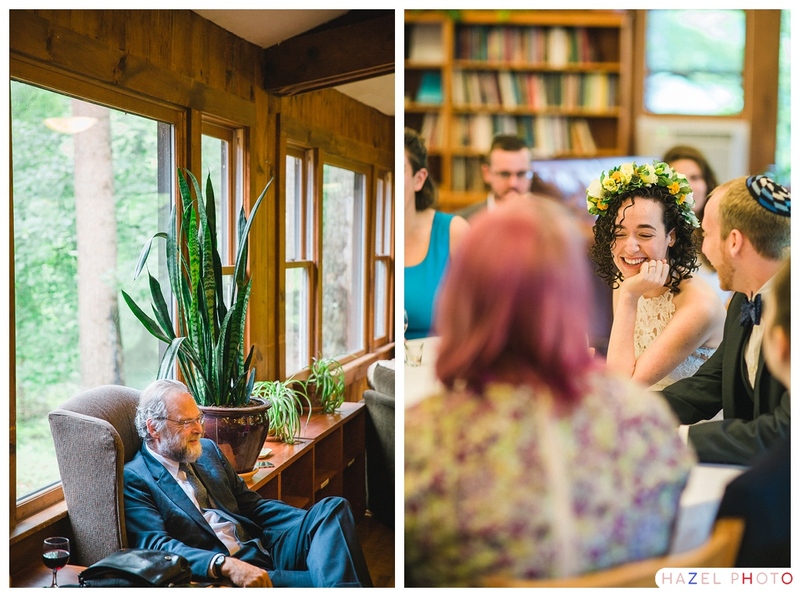 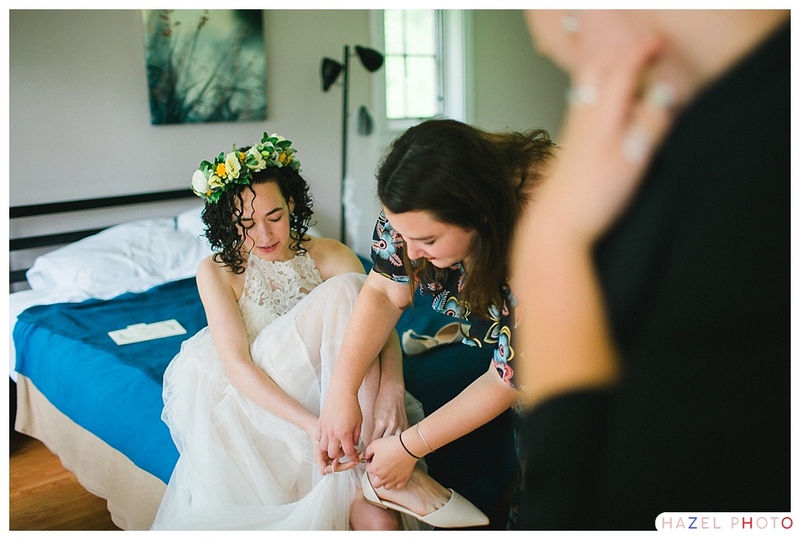 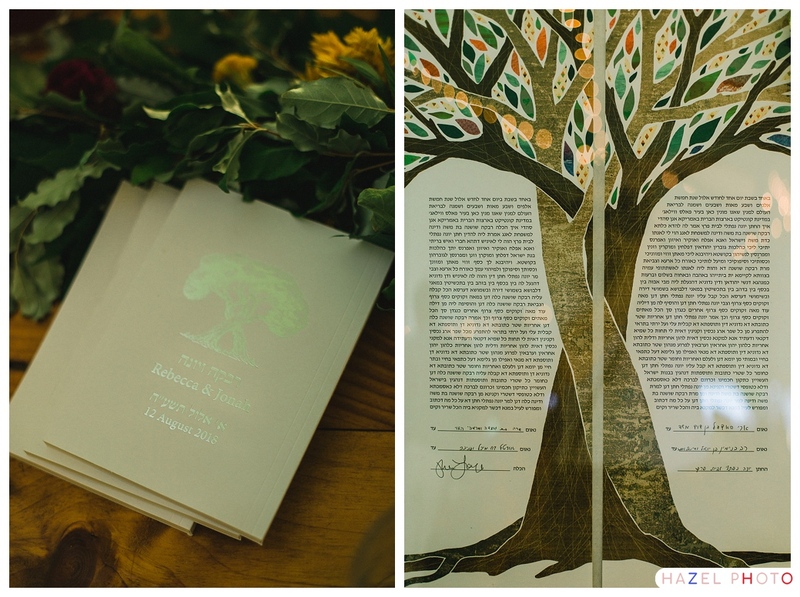 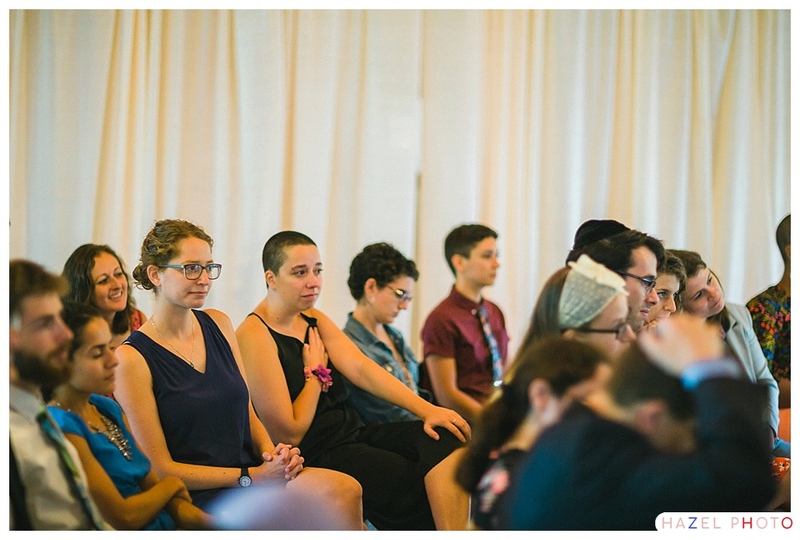 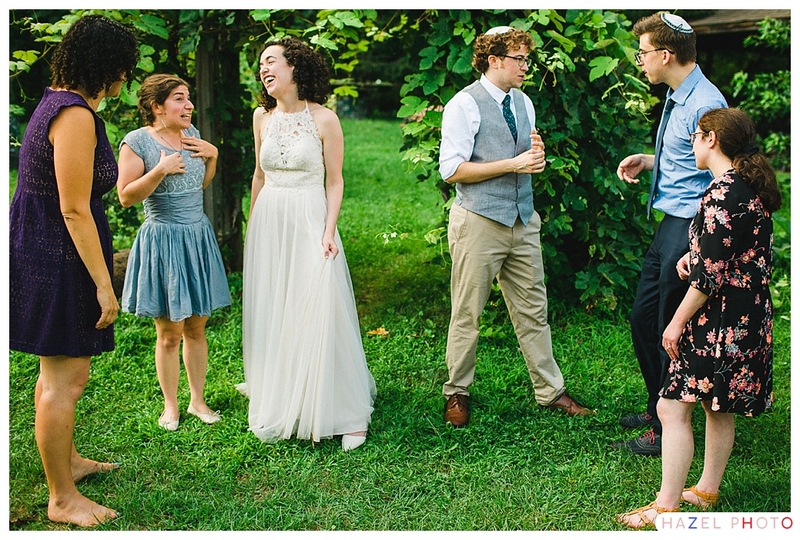 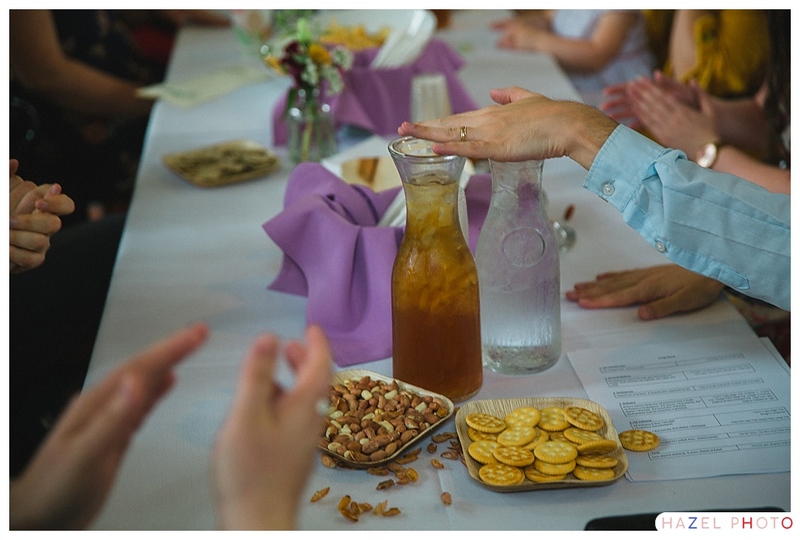 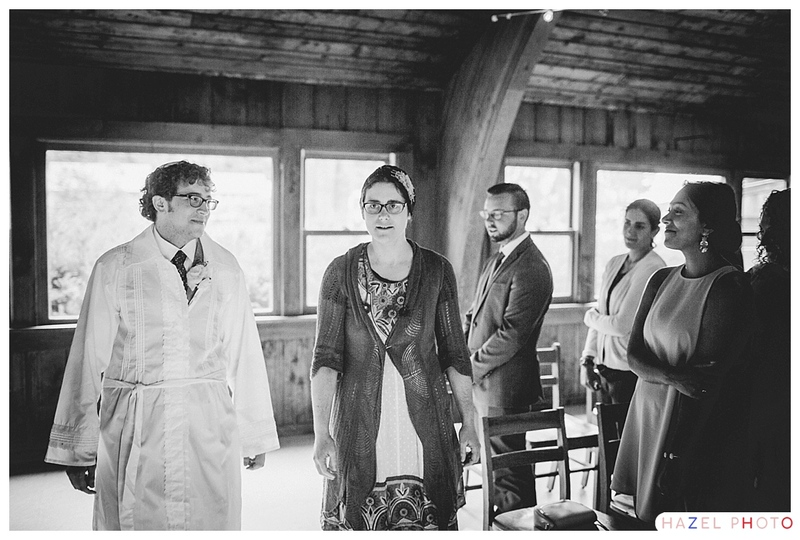 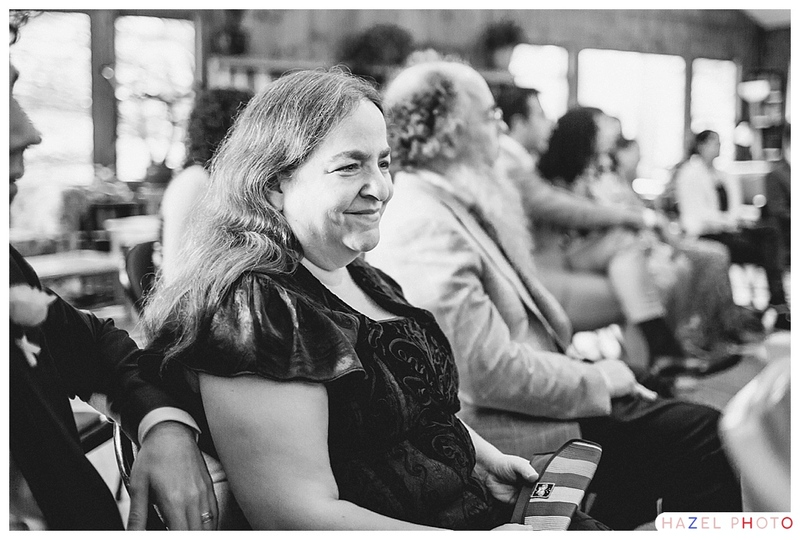 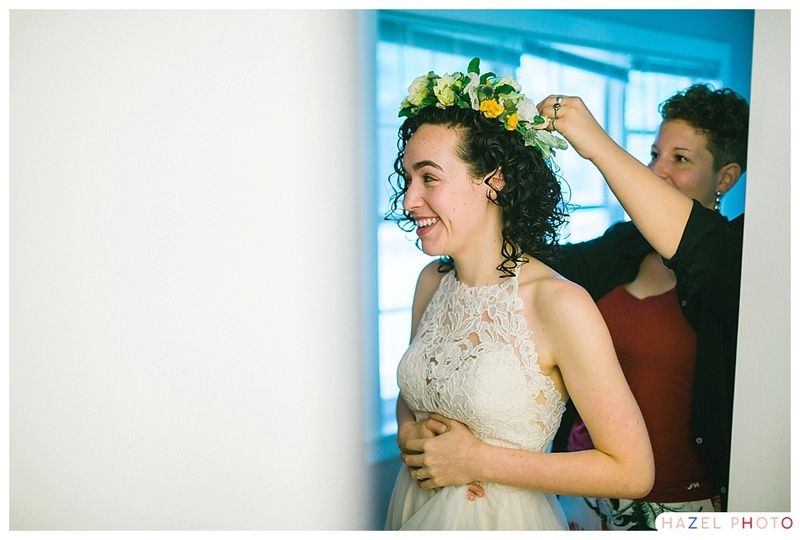 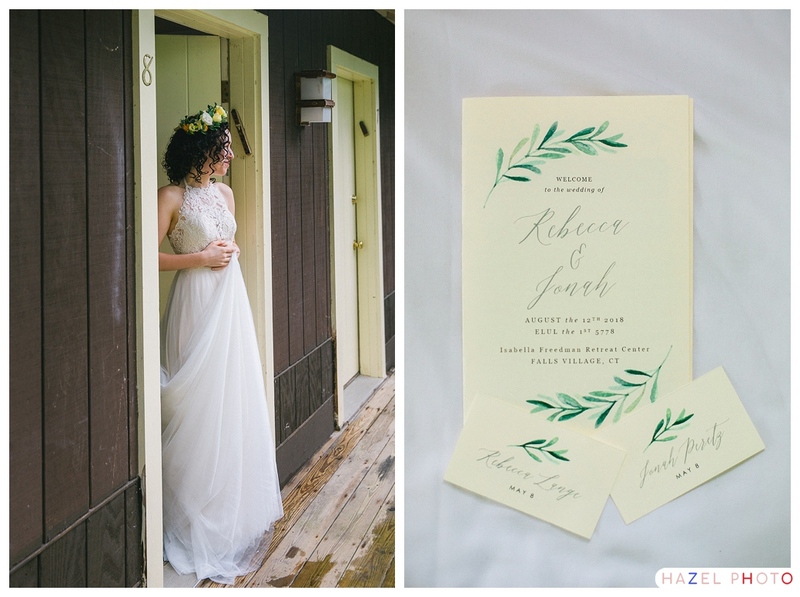 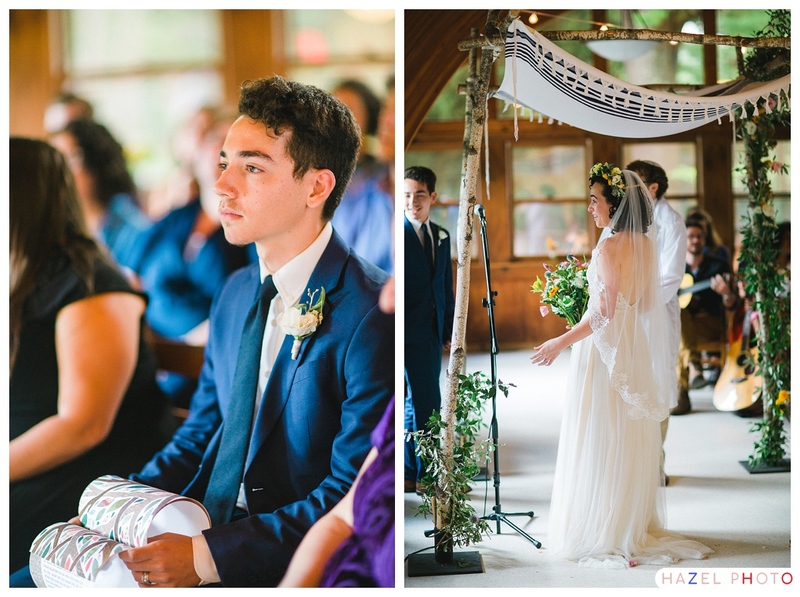 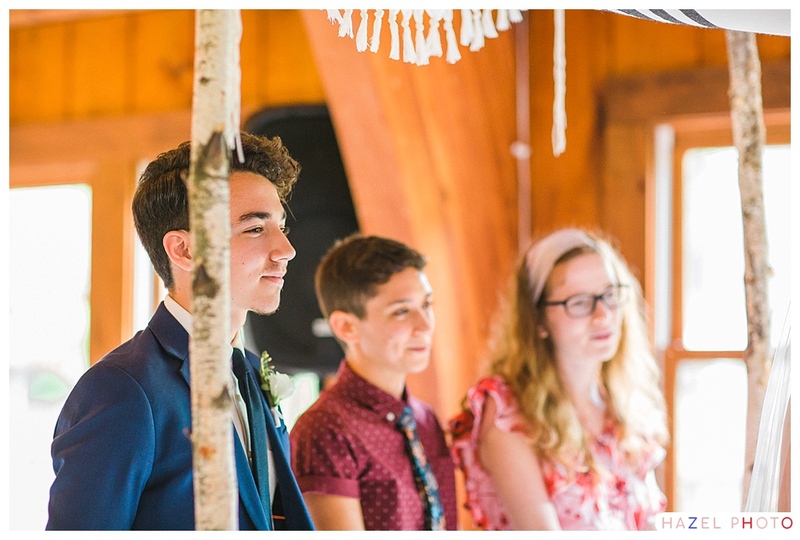 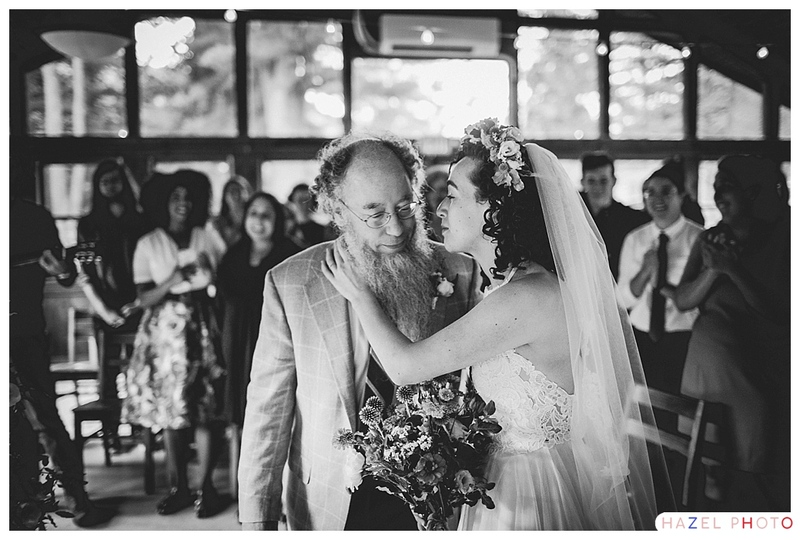 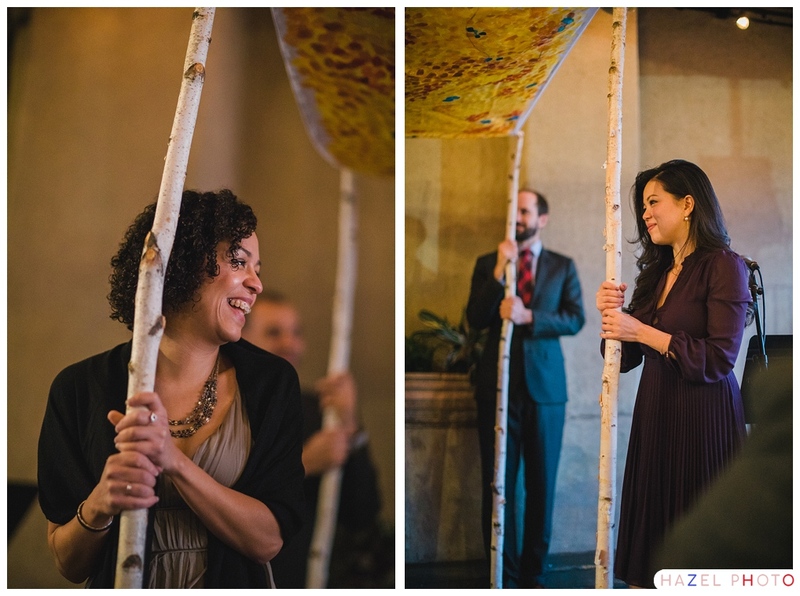 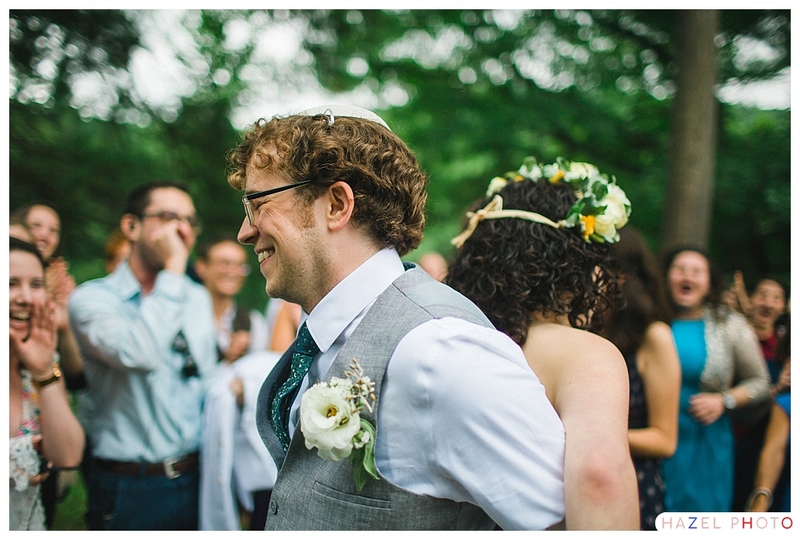 A pair of friends/co-officiants effortlessly wove diverse rituals into the ceremony. 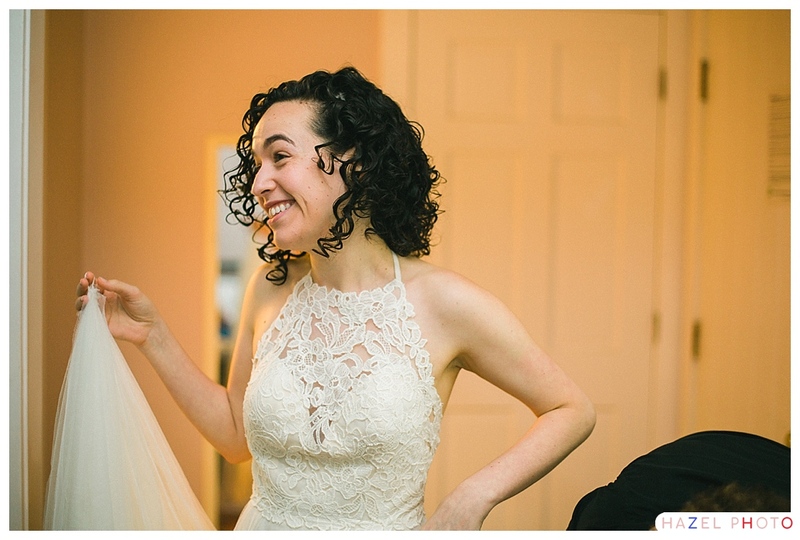 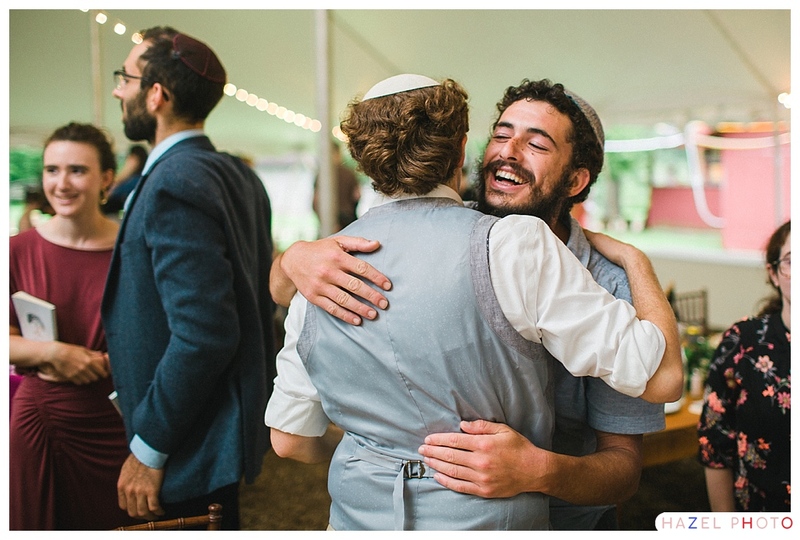 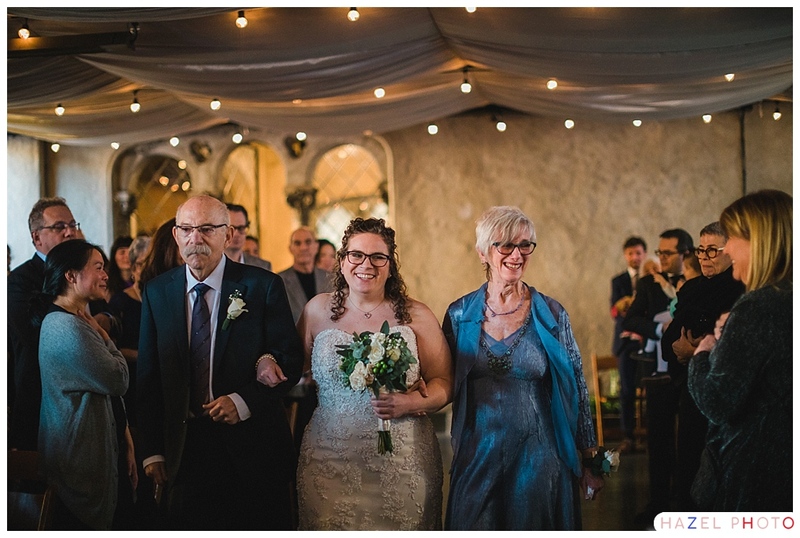 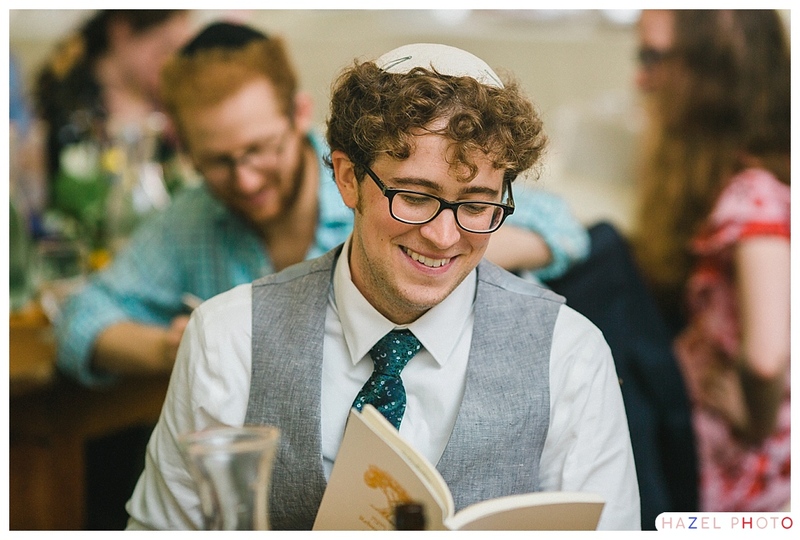 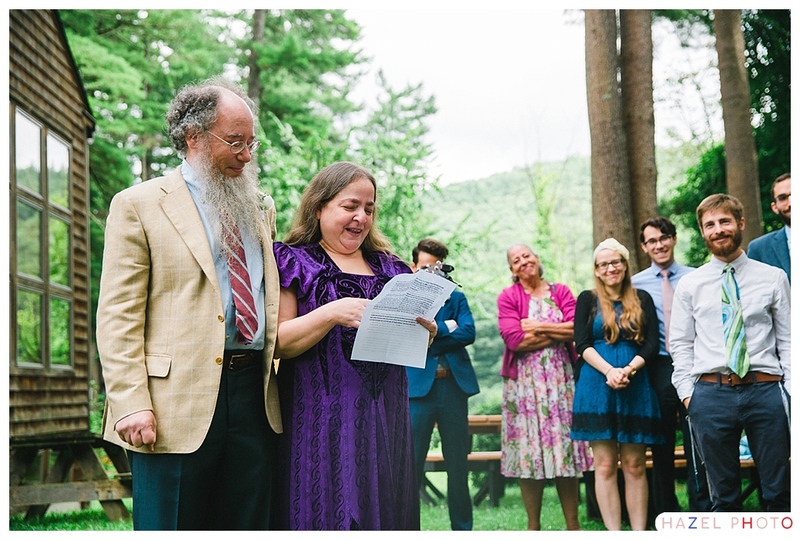 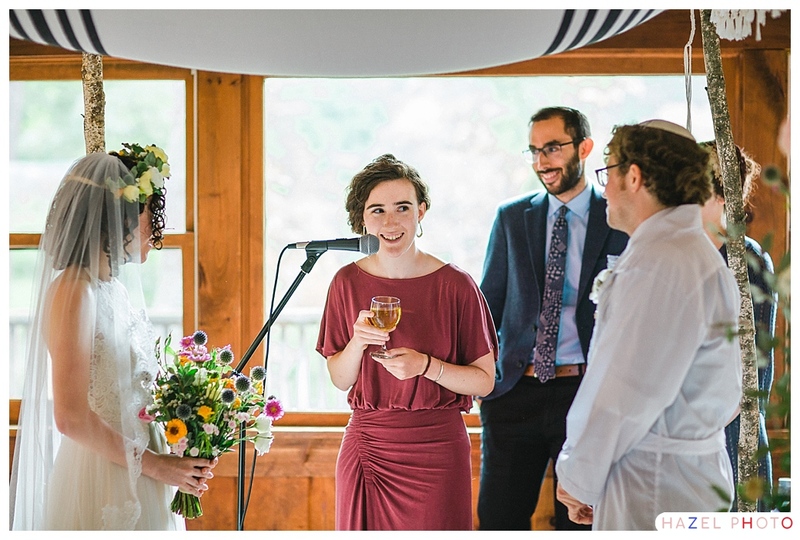 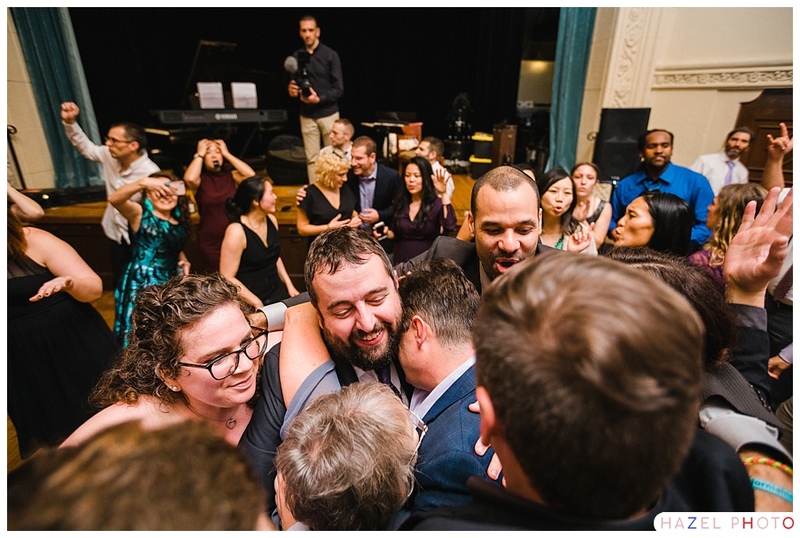 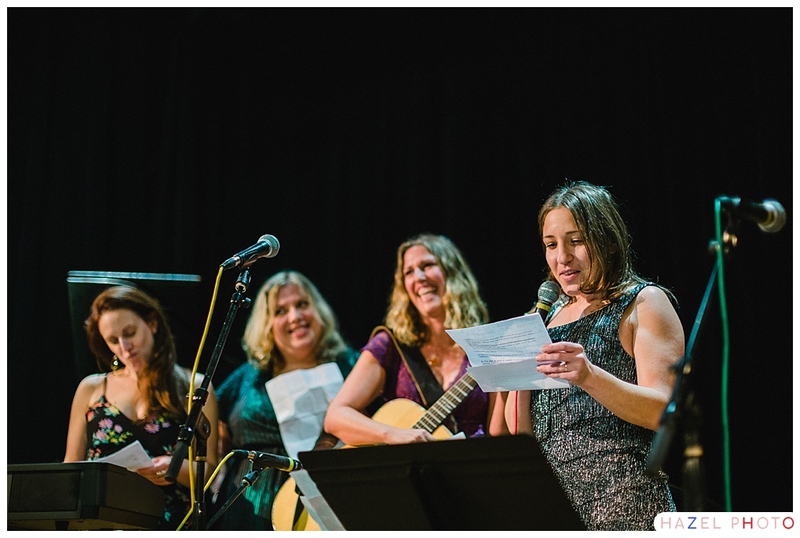 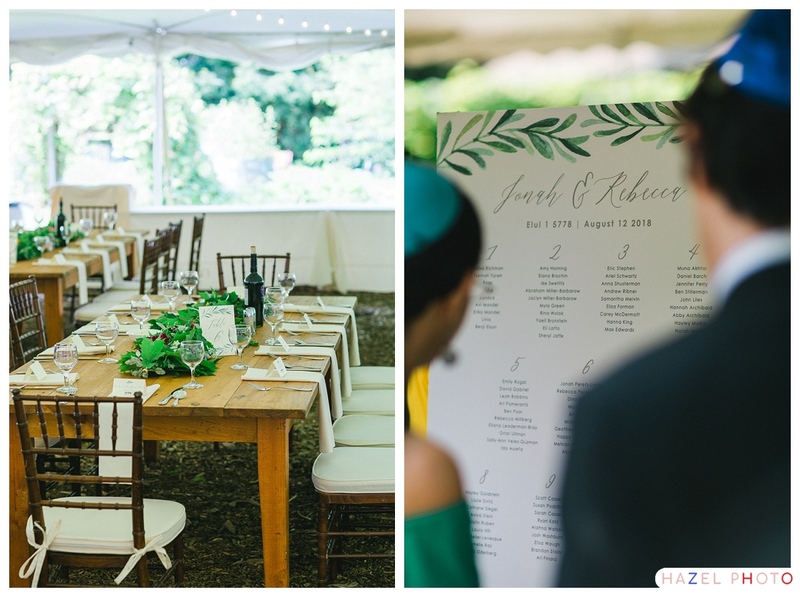 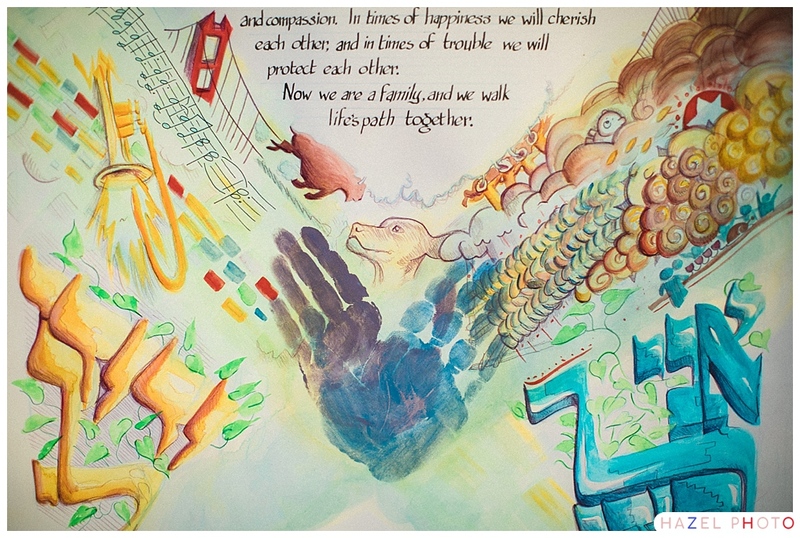 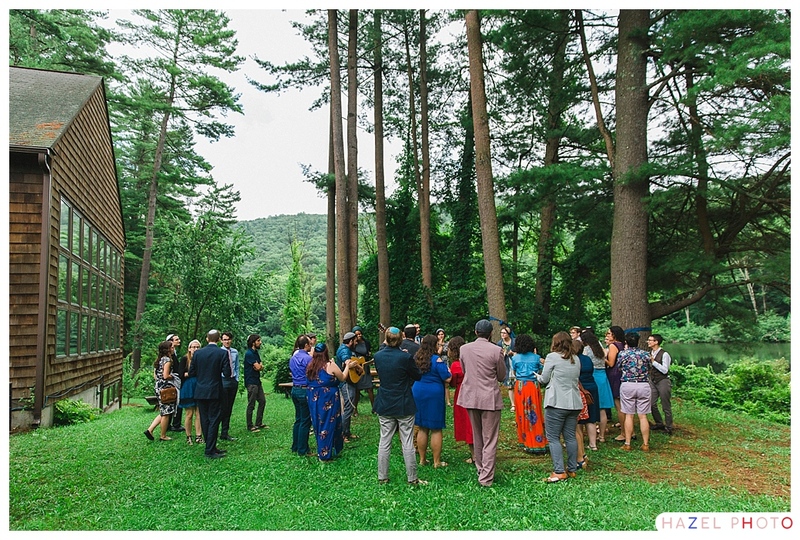 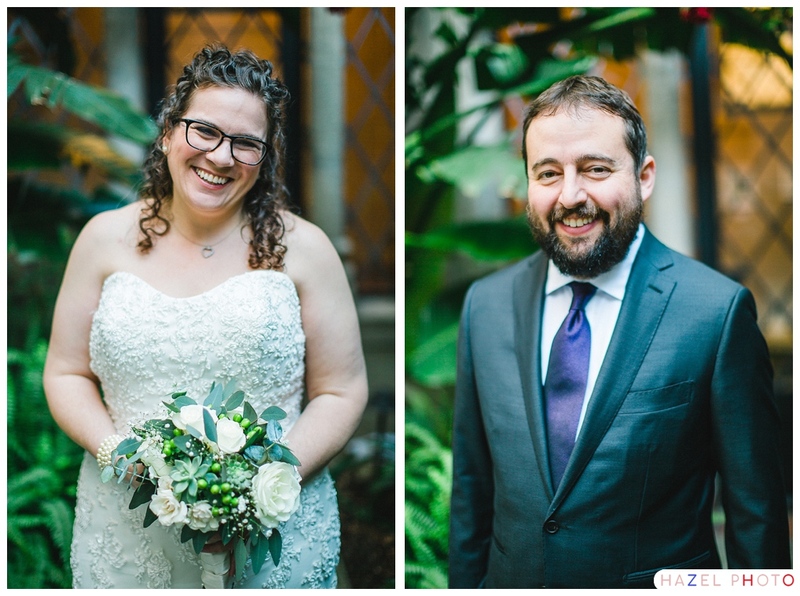 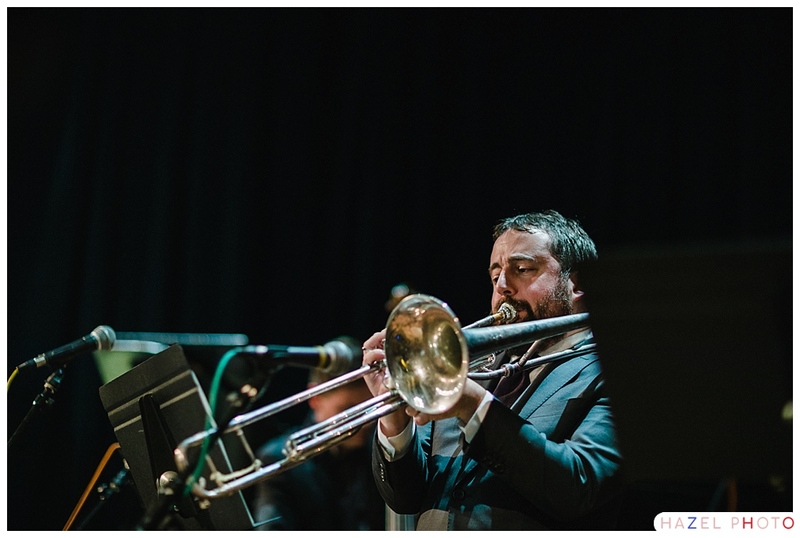 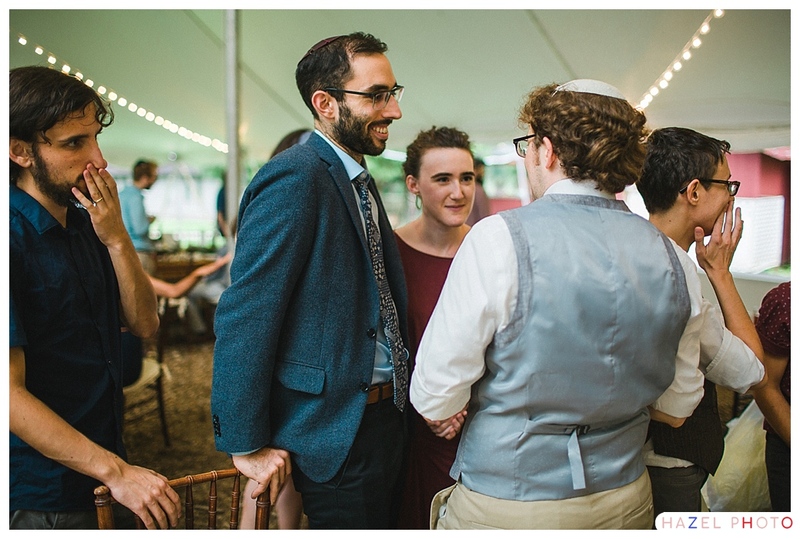 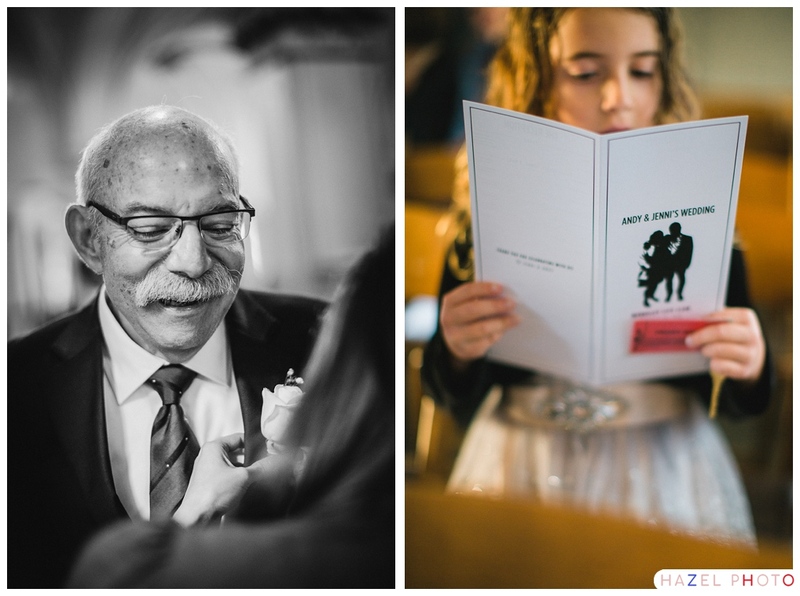 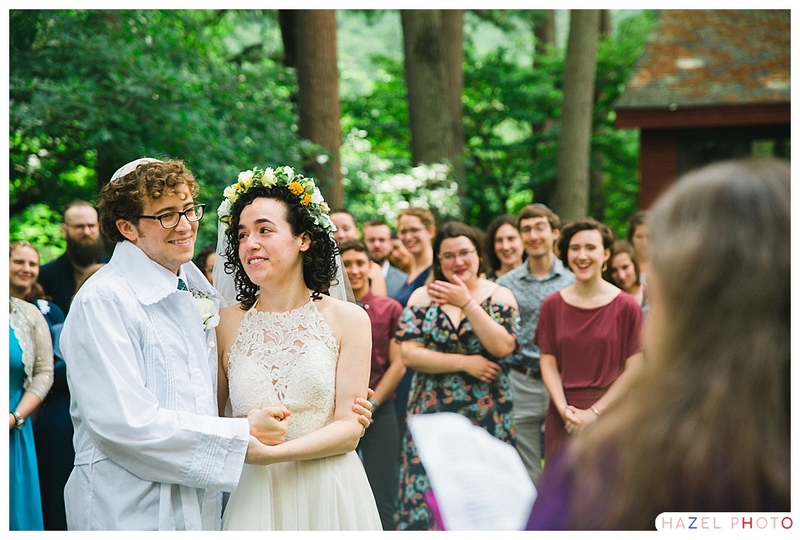 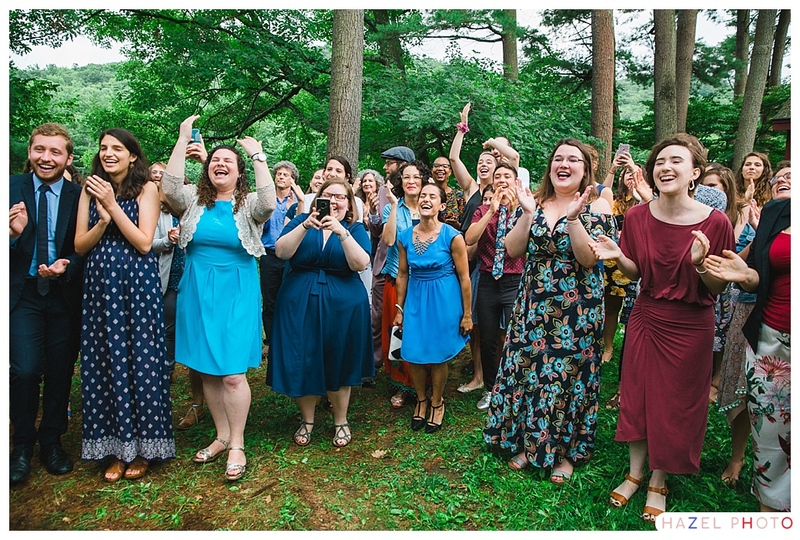 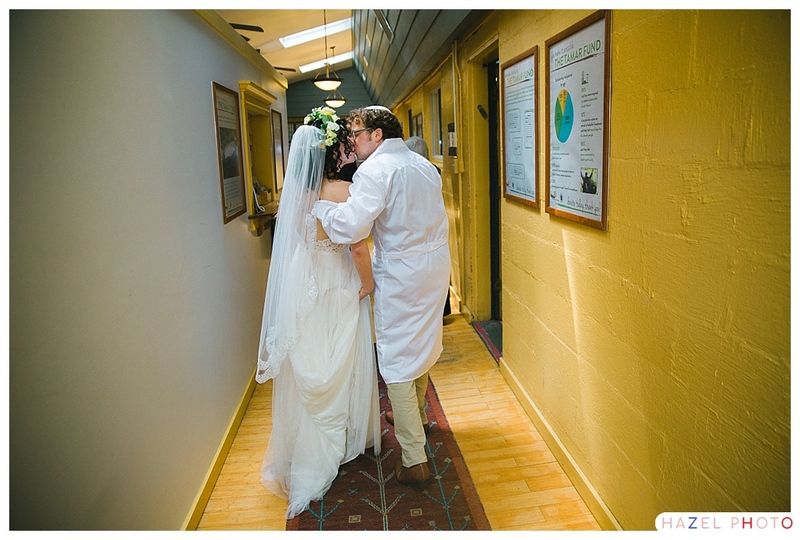 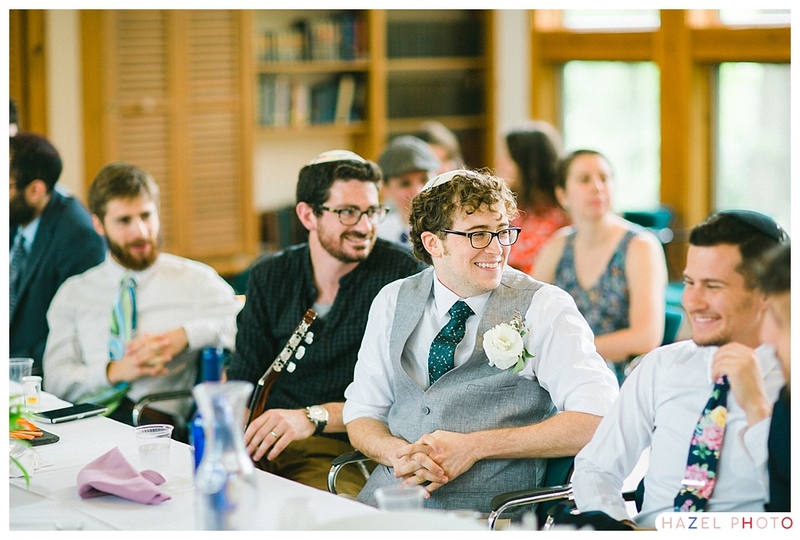 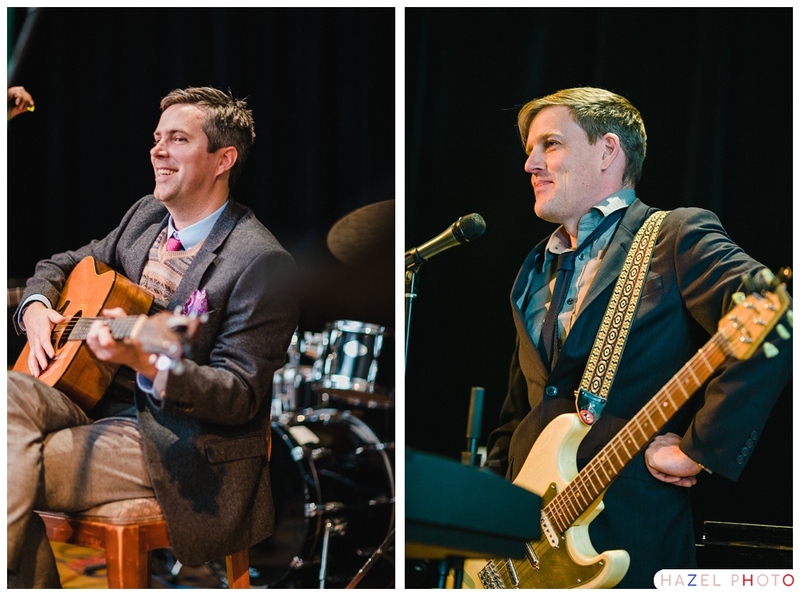 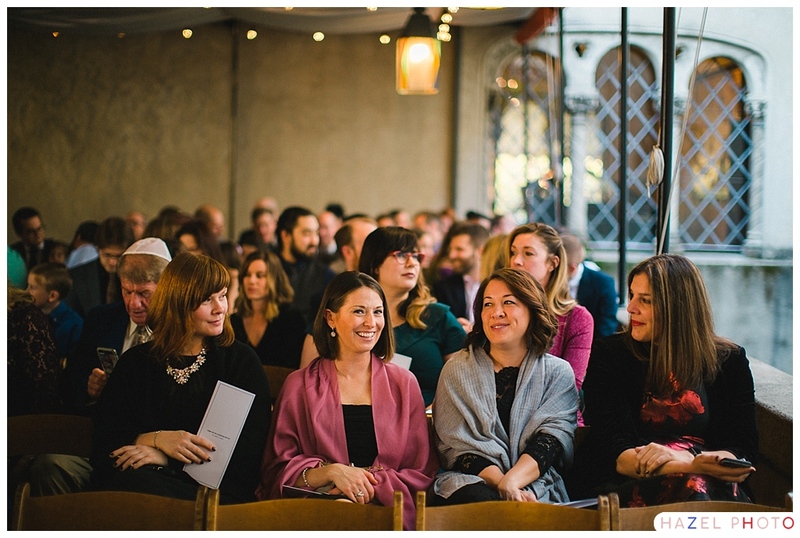 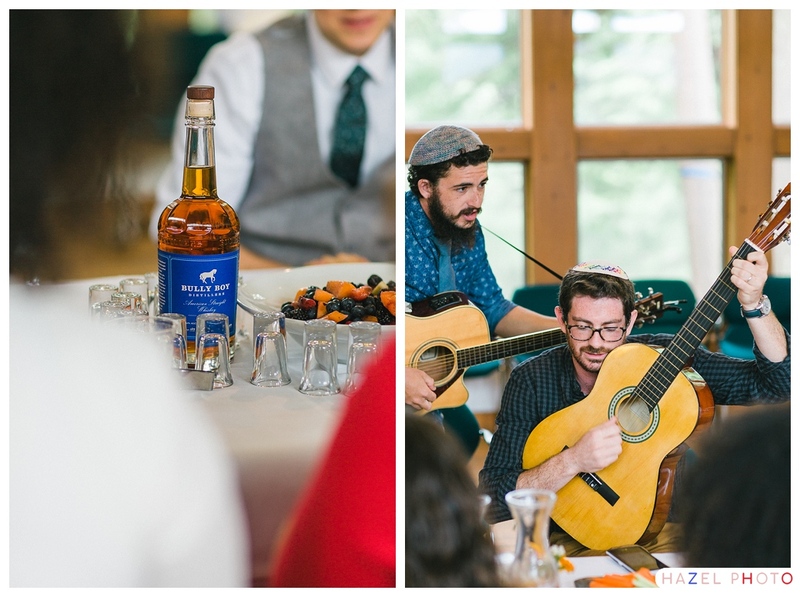 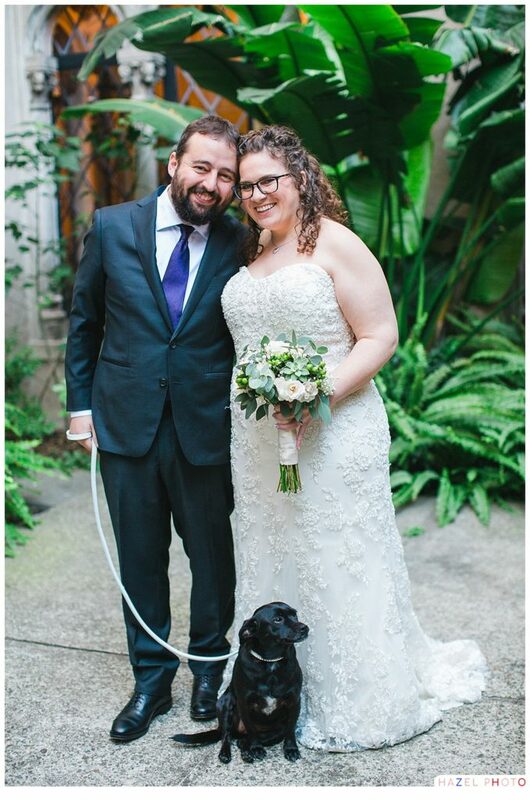 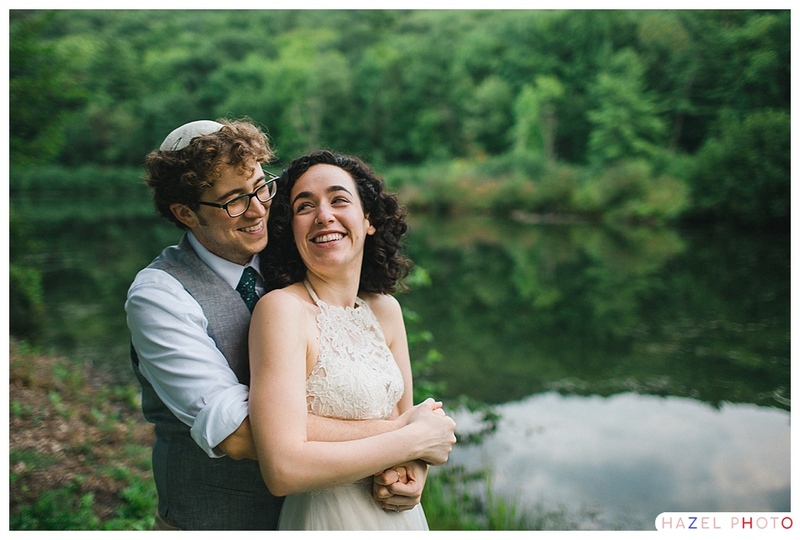 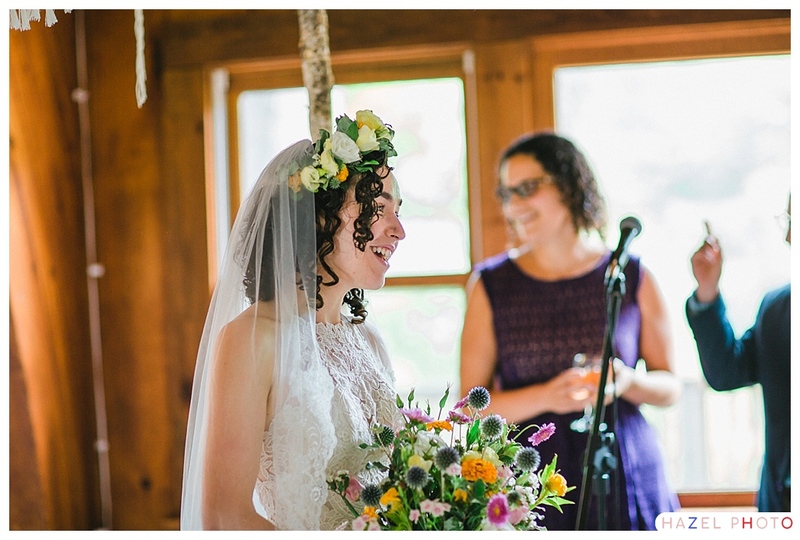 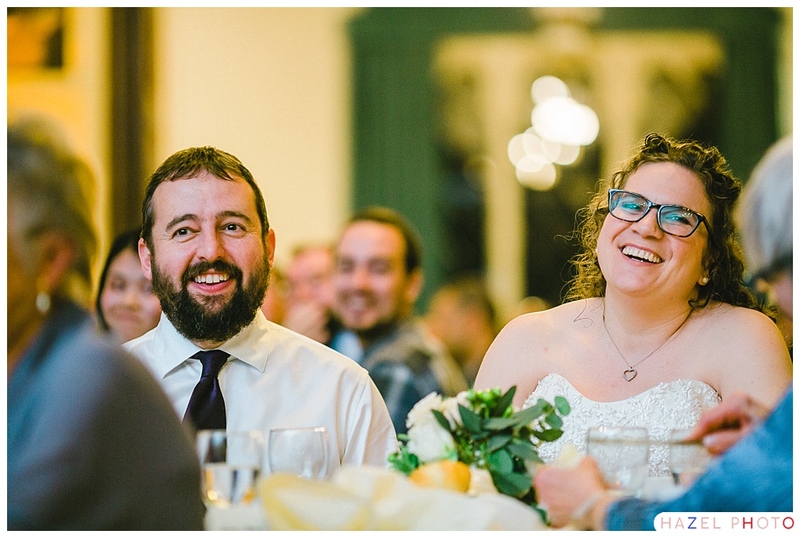 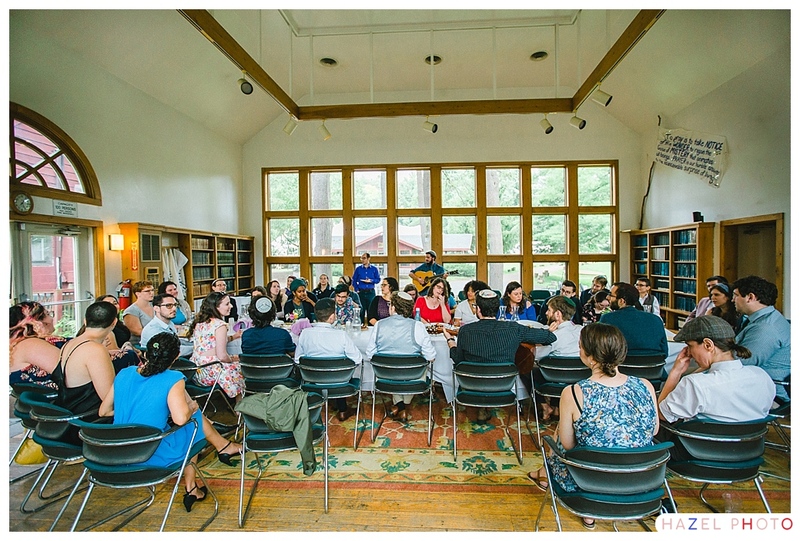 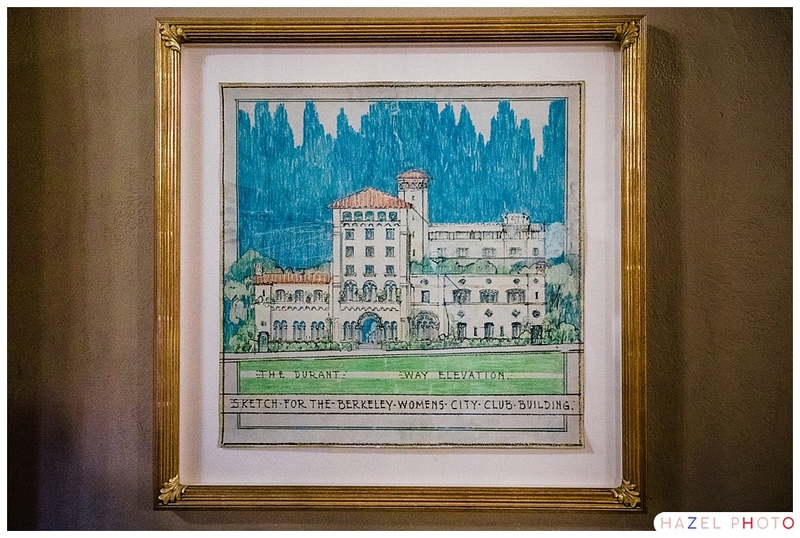 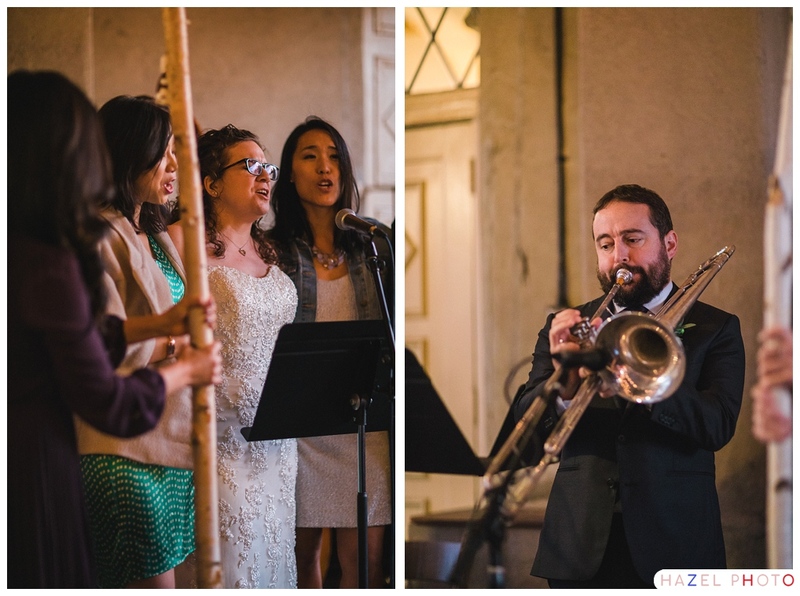 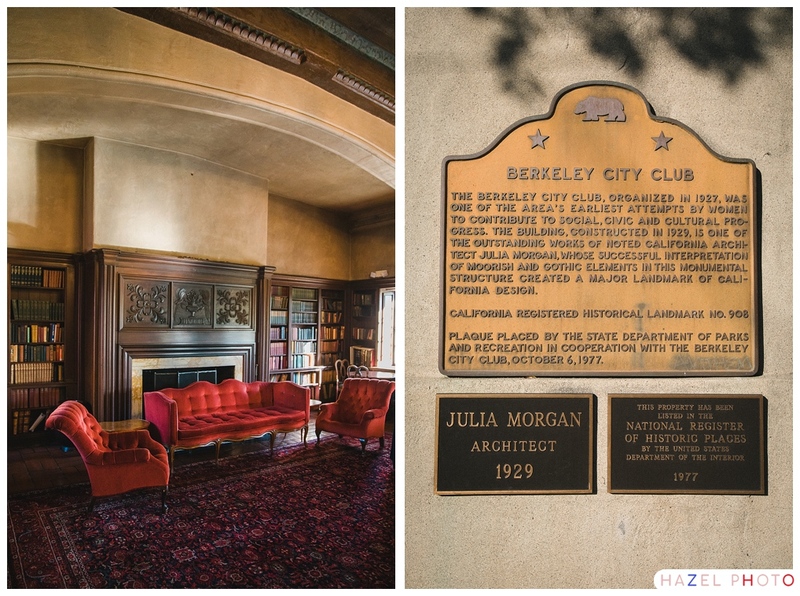 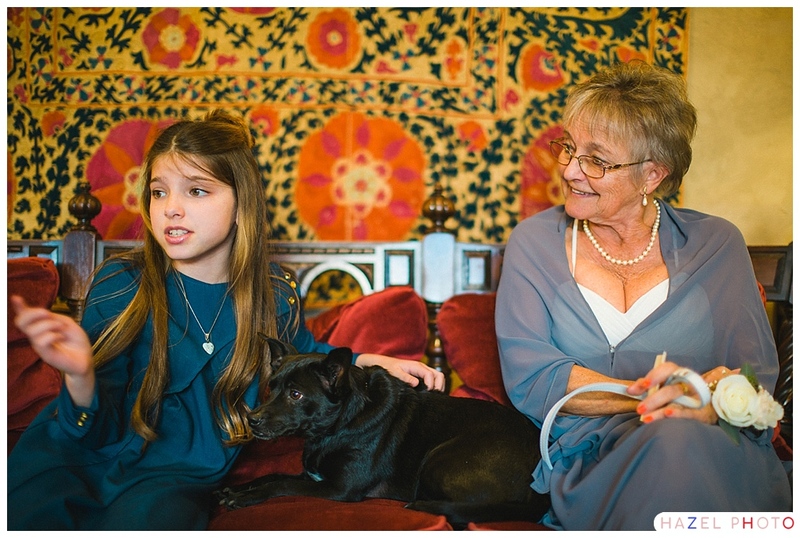 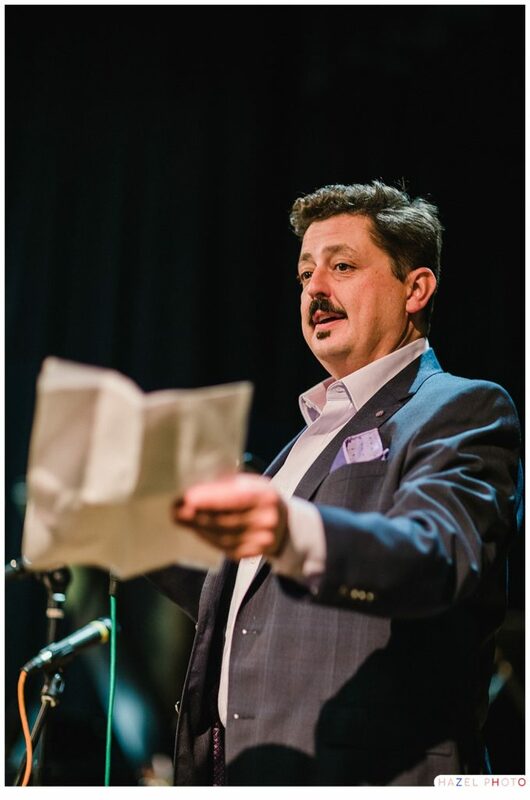 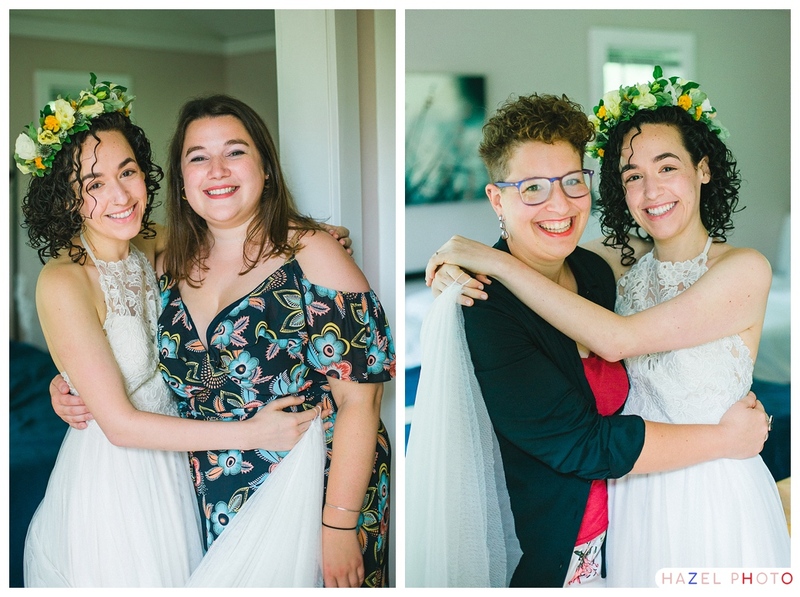 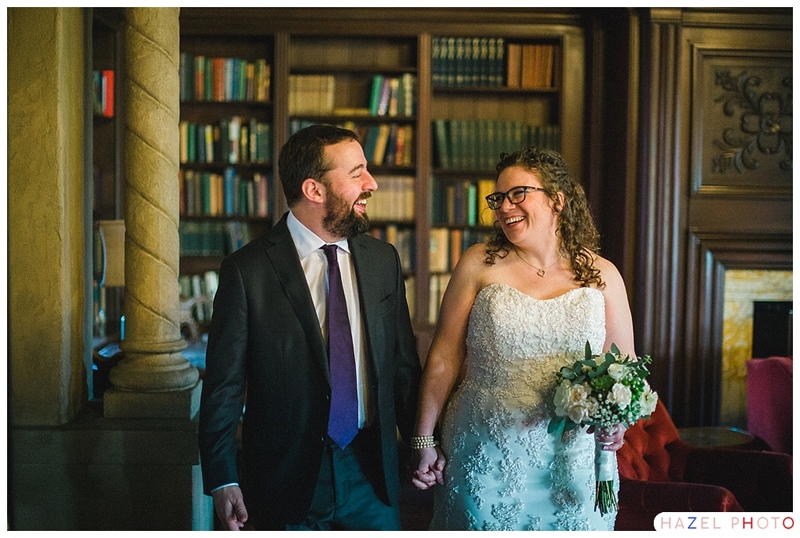 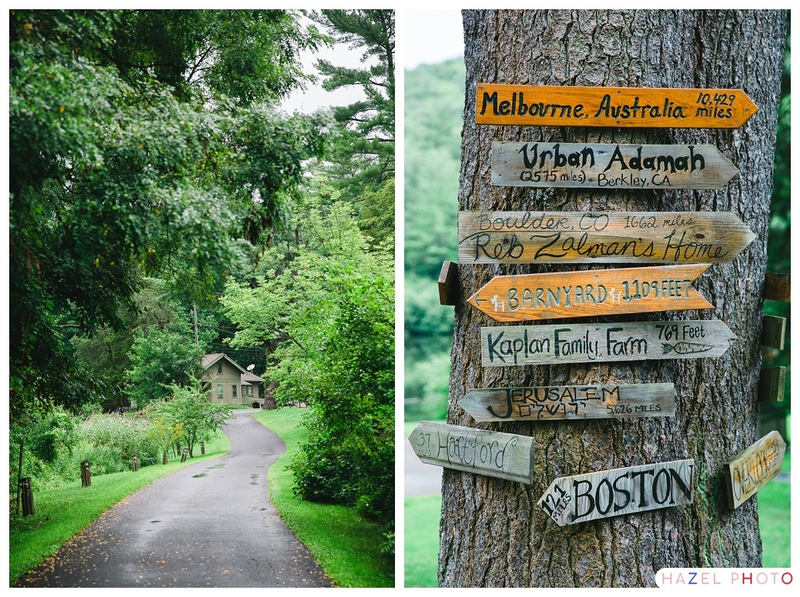 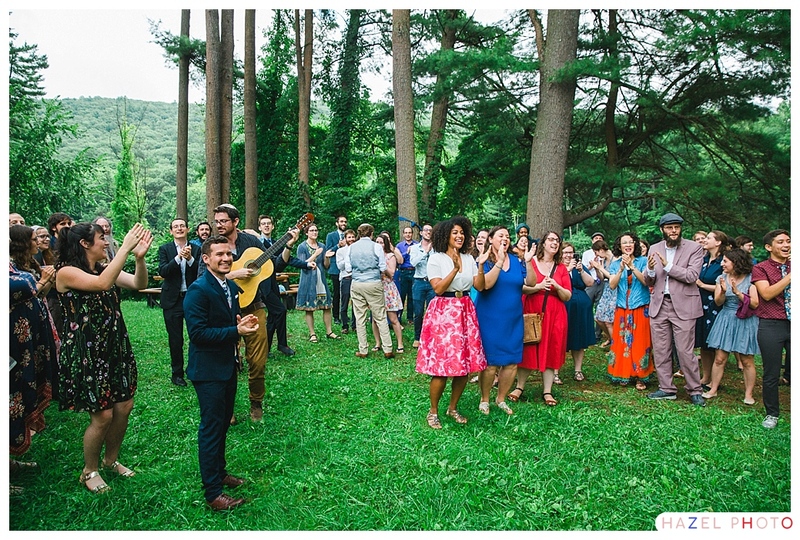 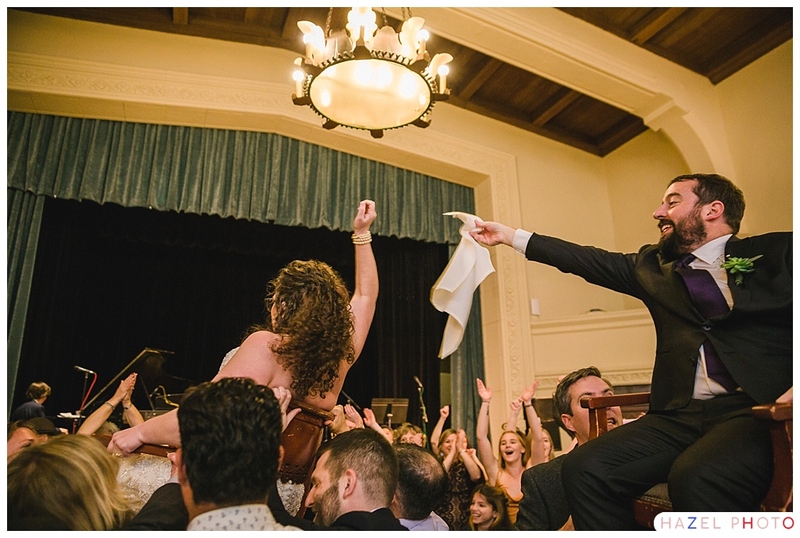 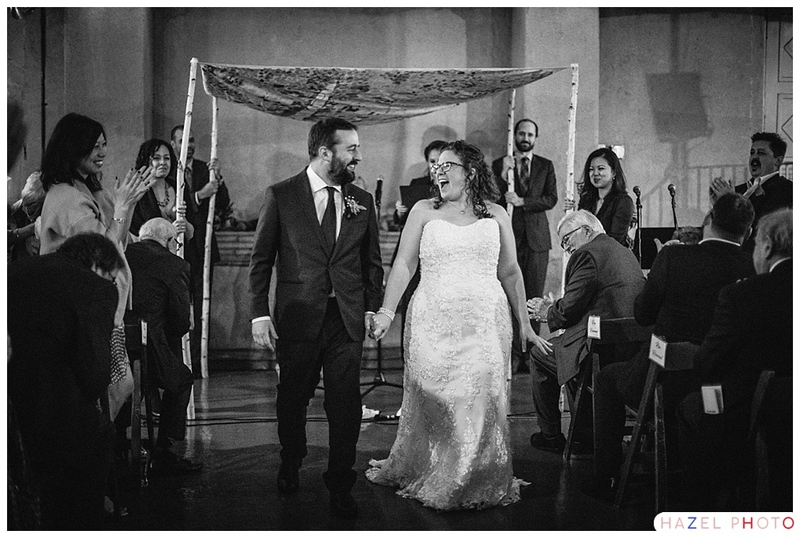 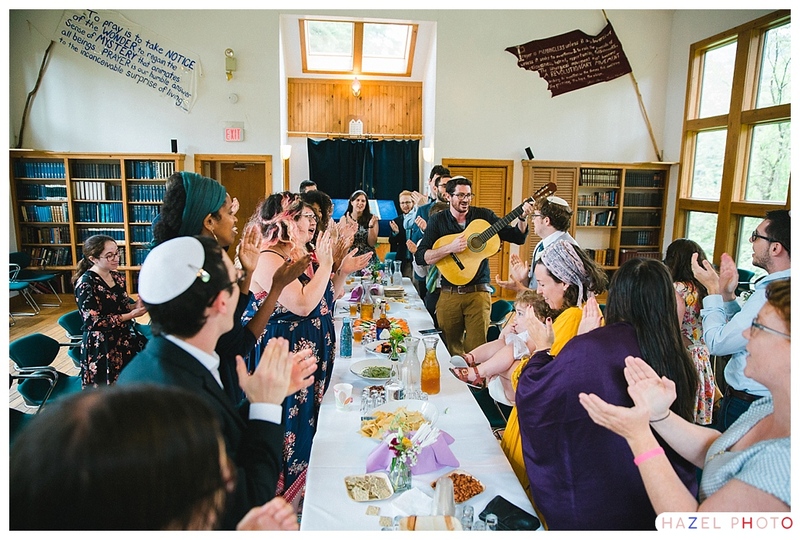 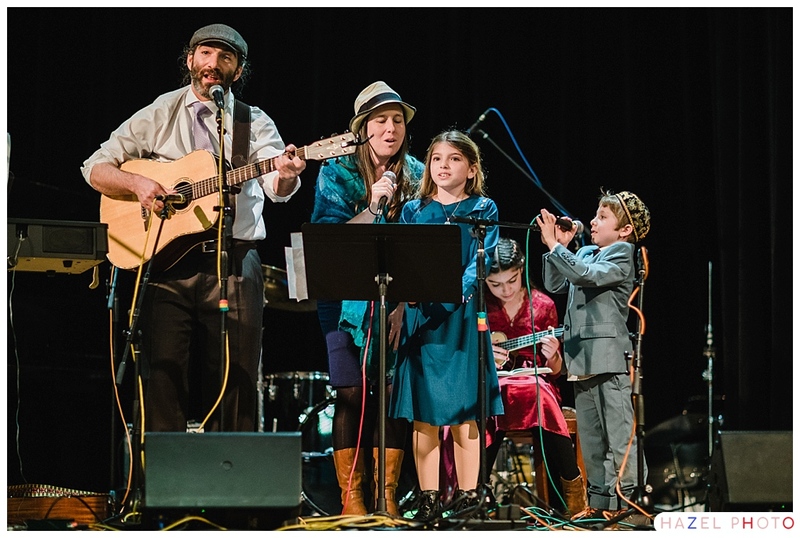 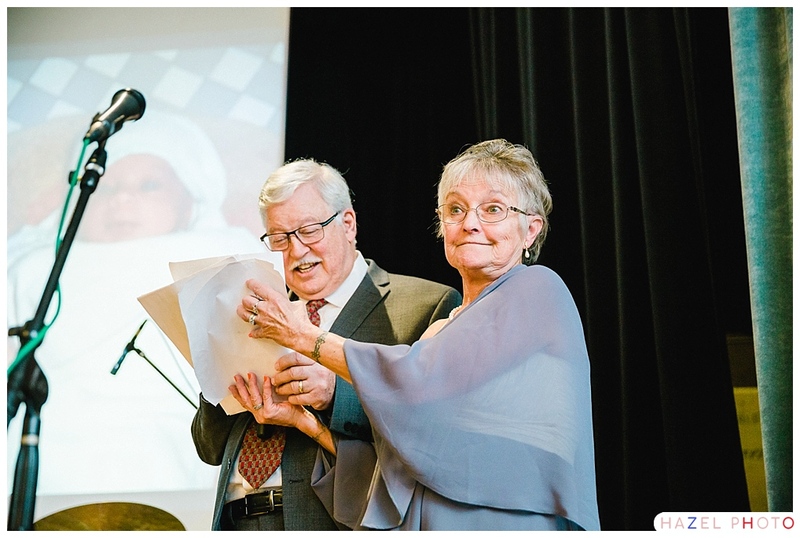 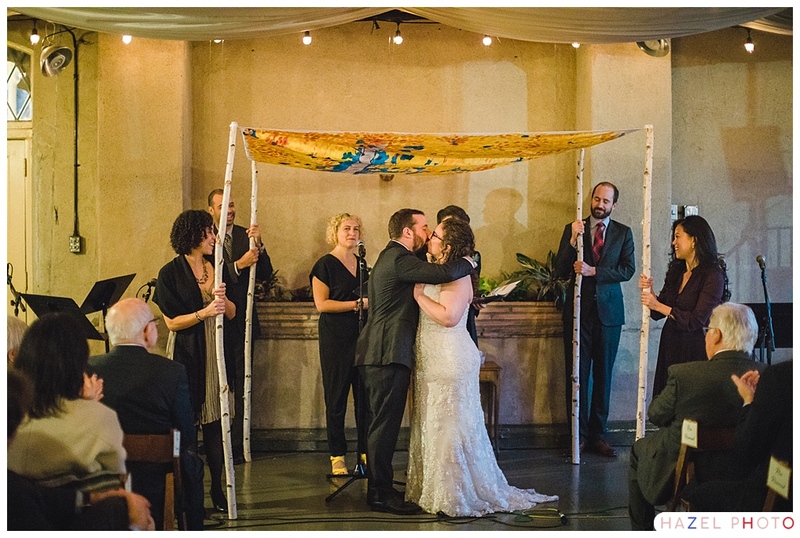 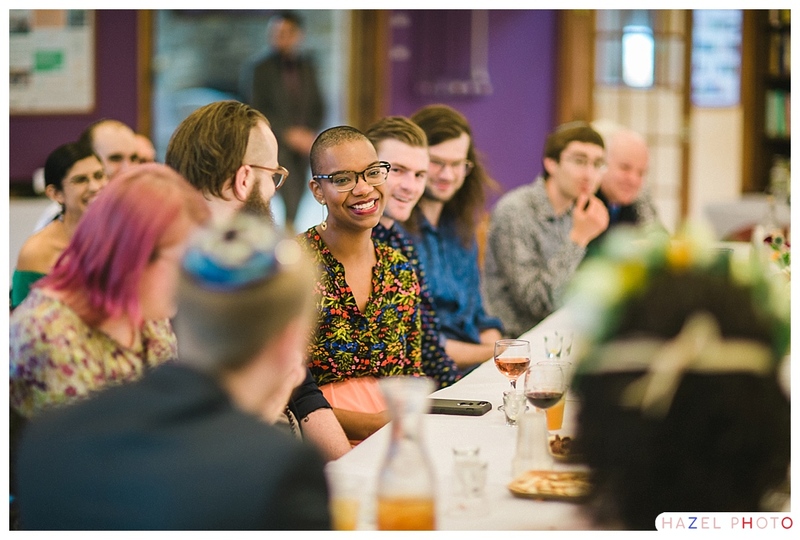 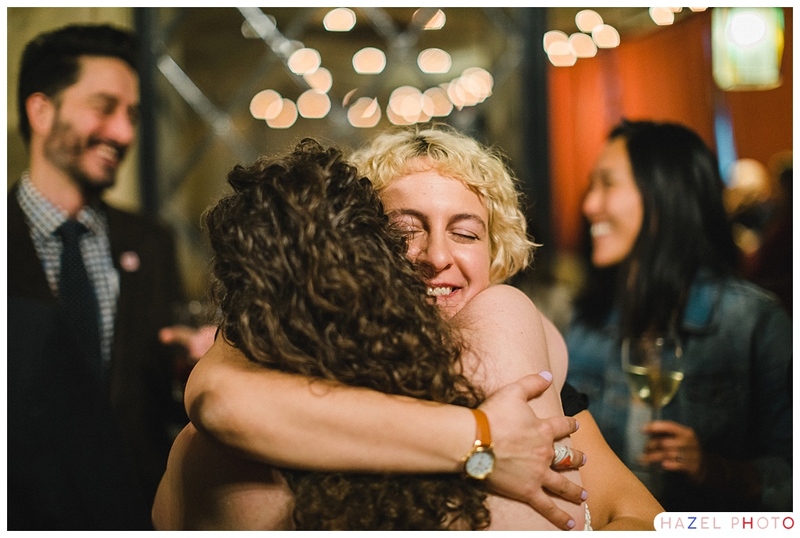 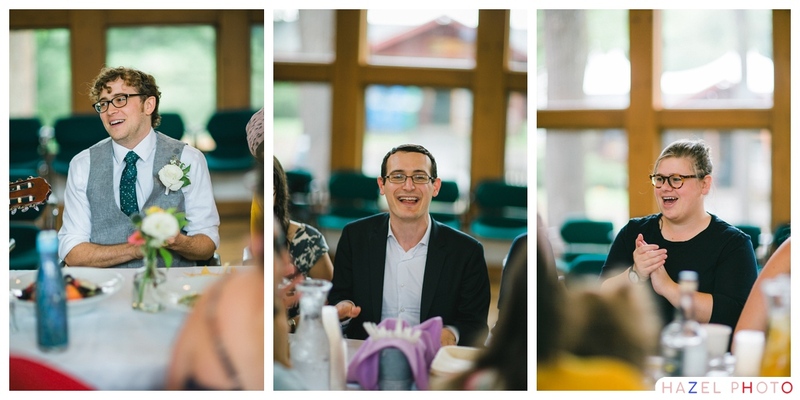 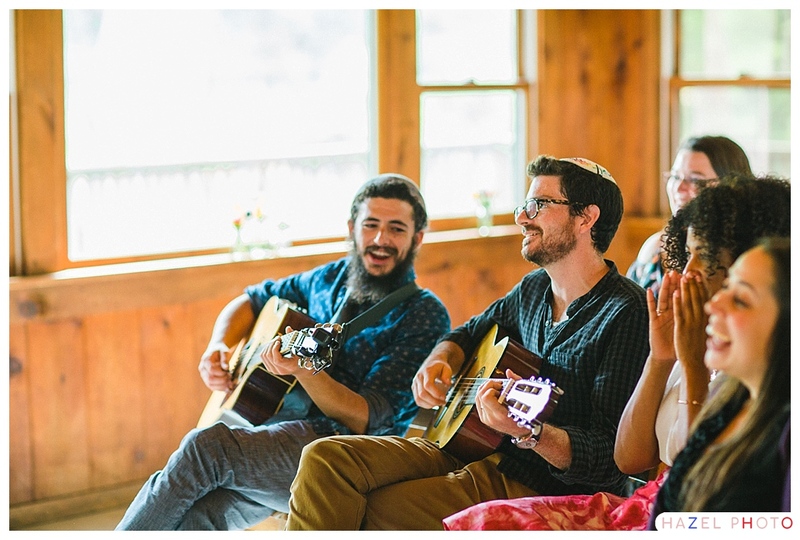 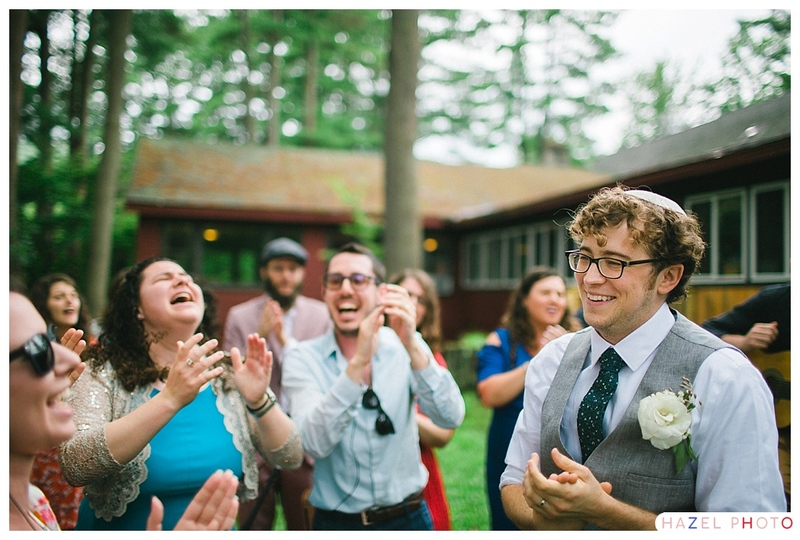 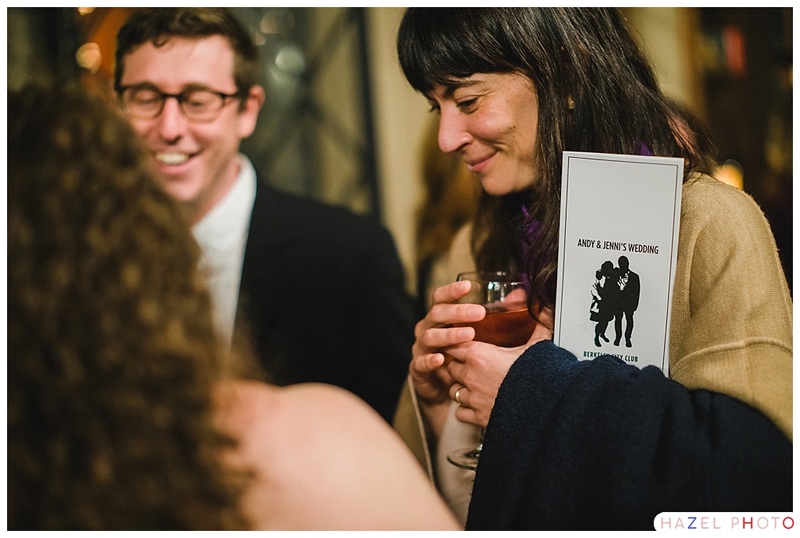 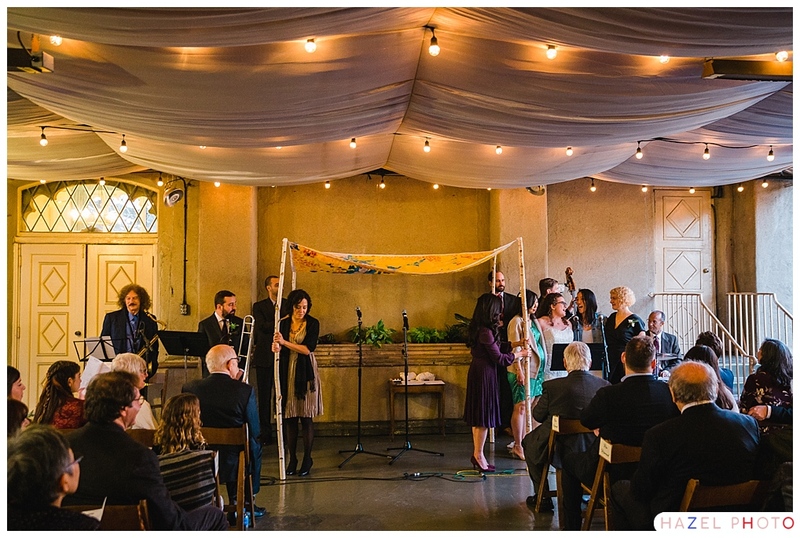 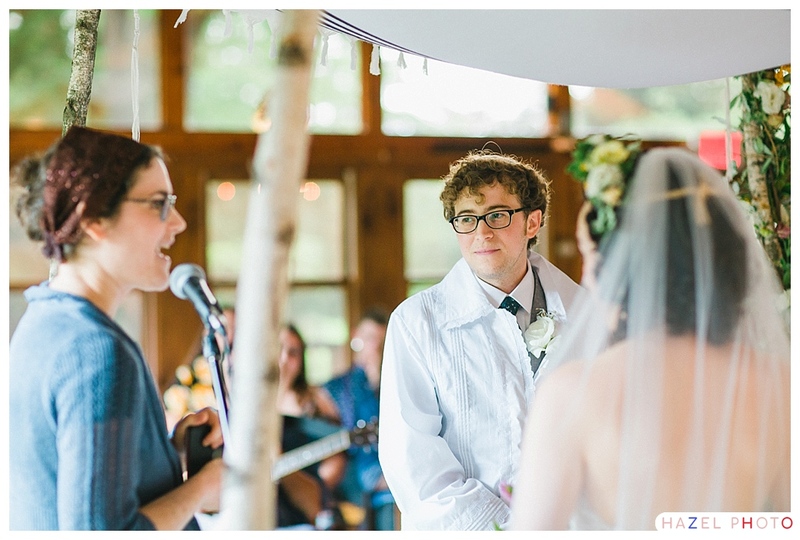 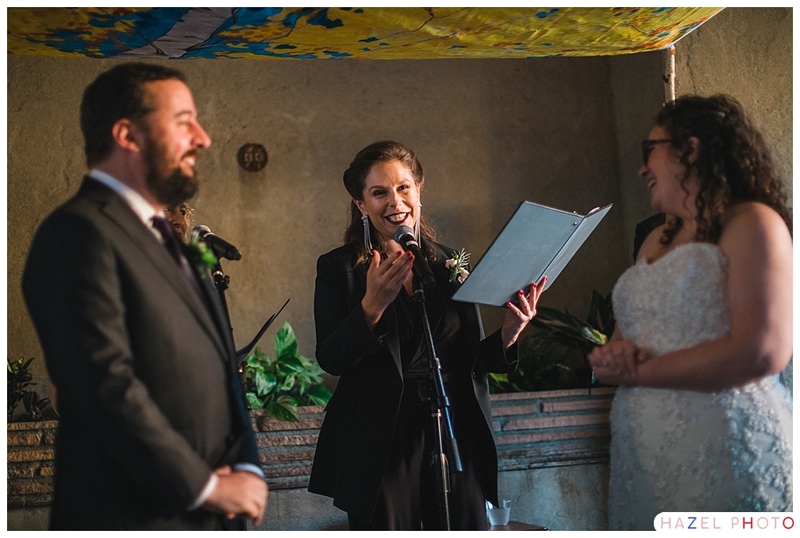 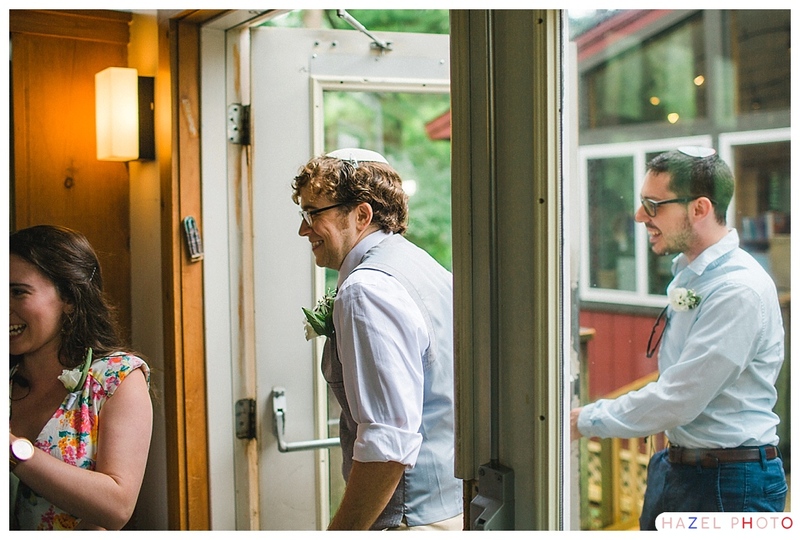 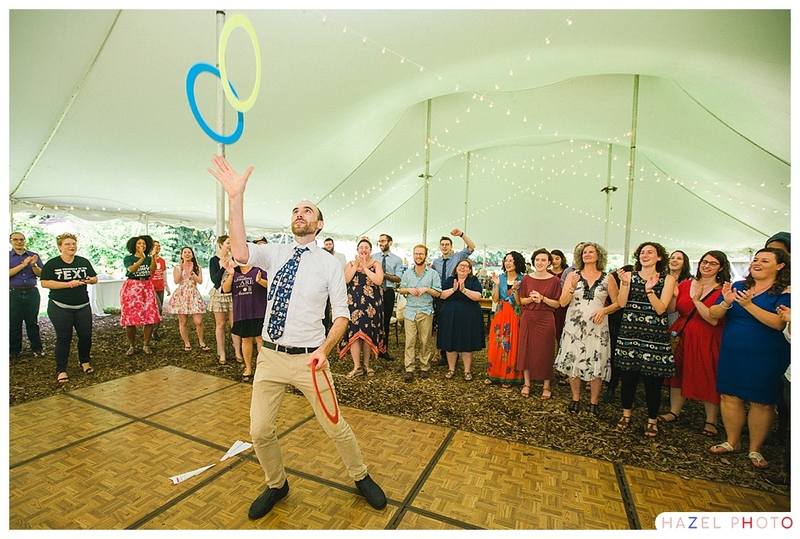 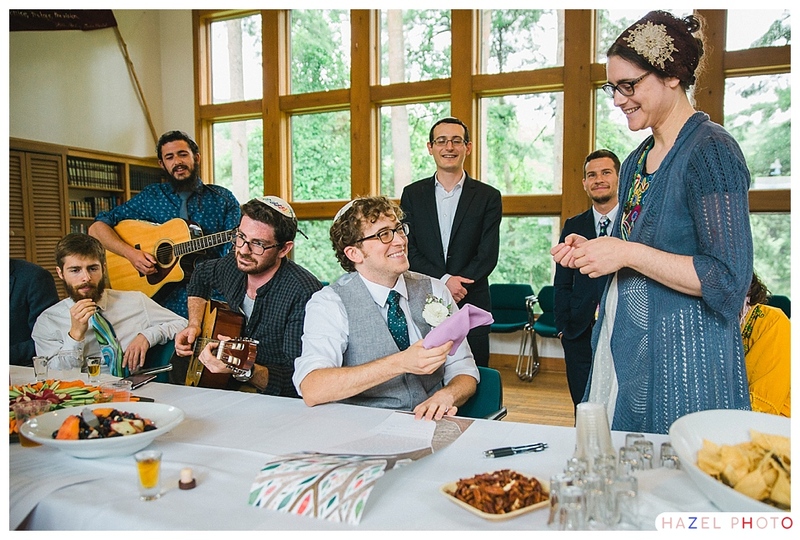 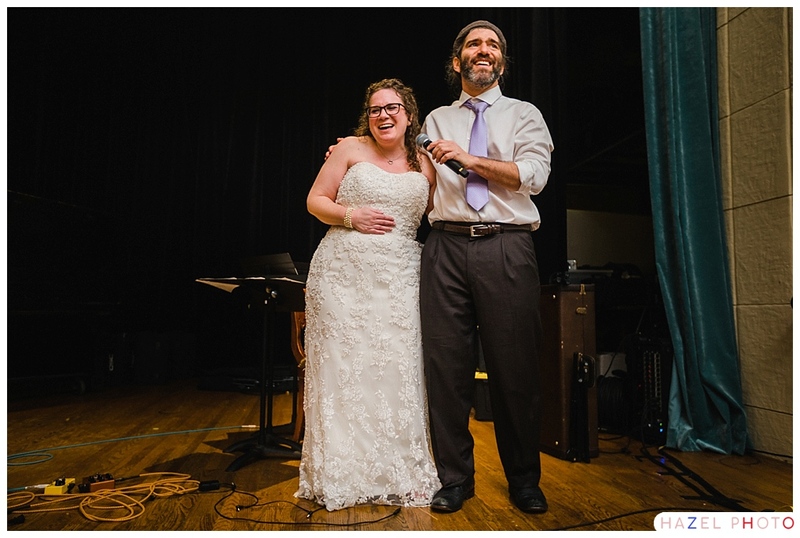 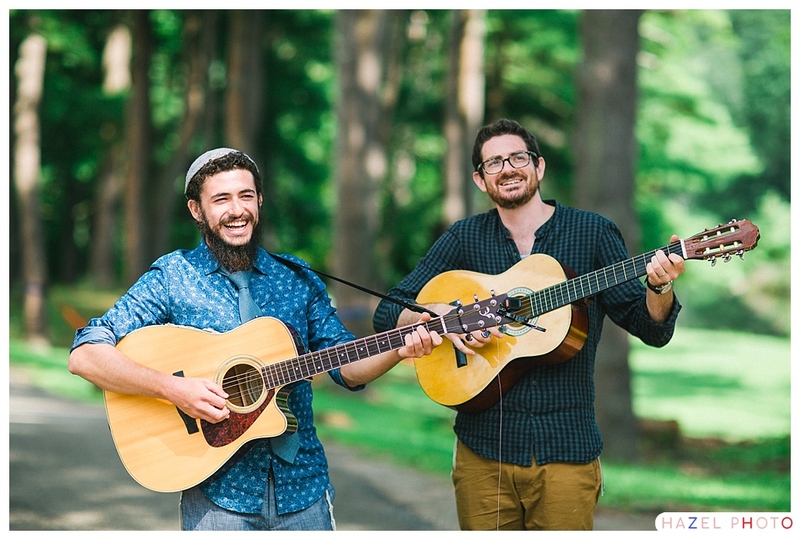 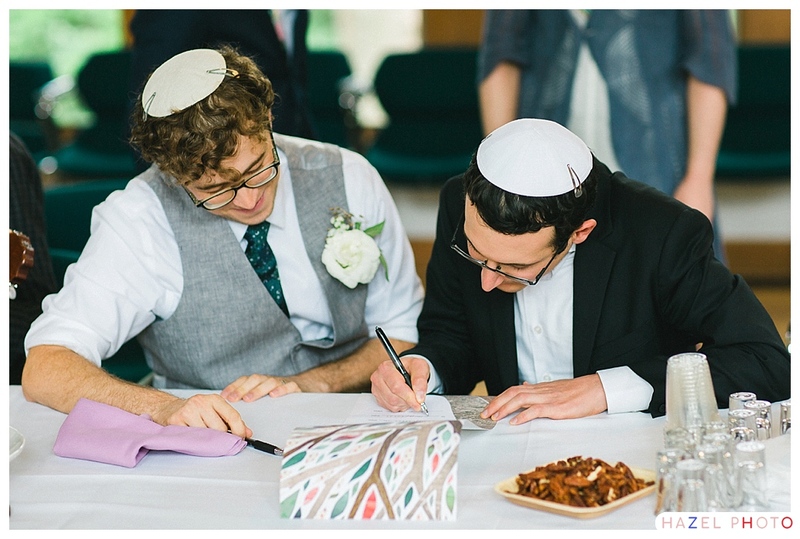 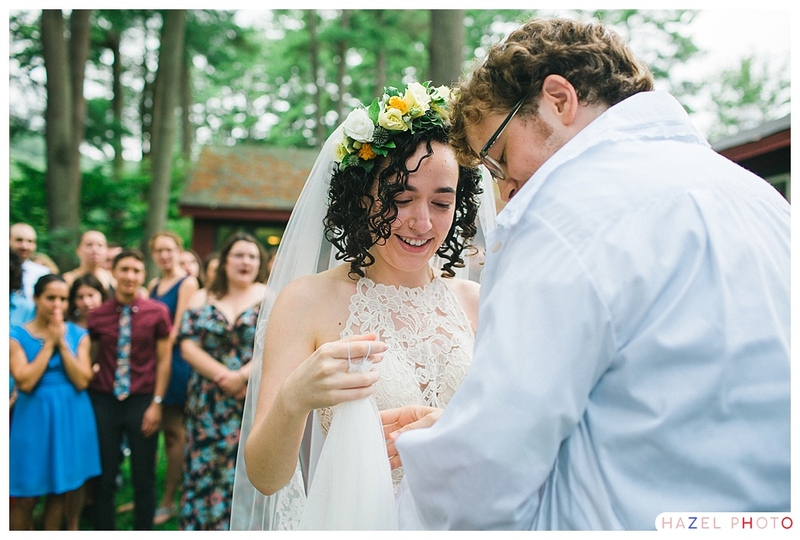 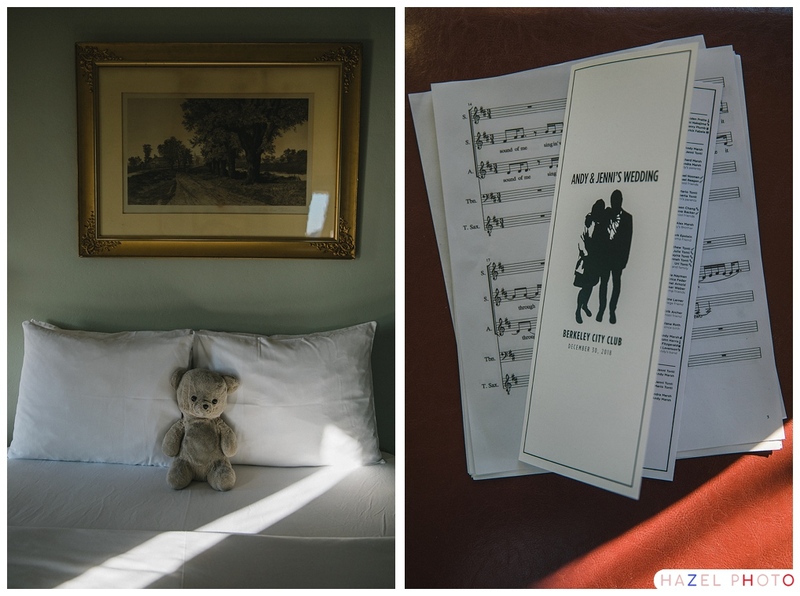 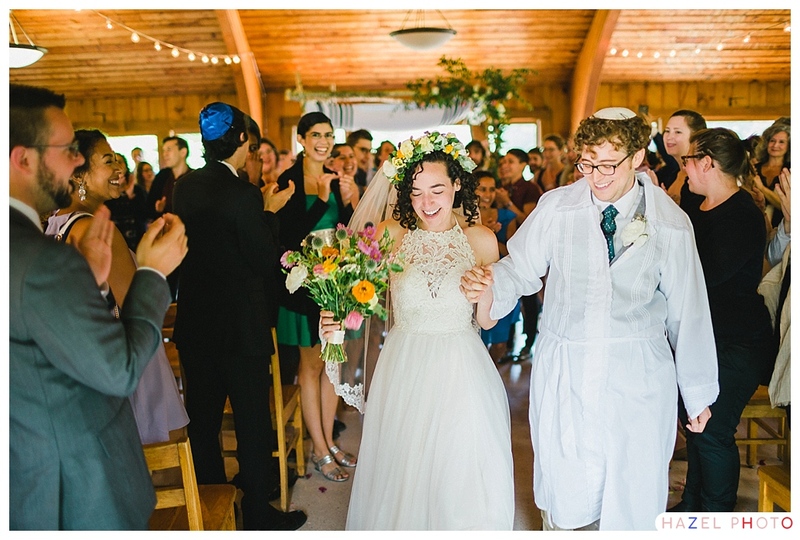 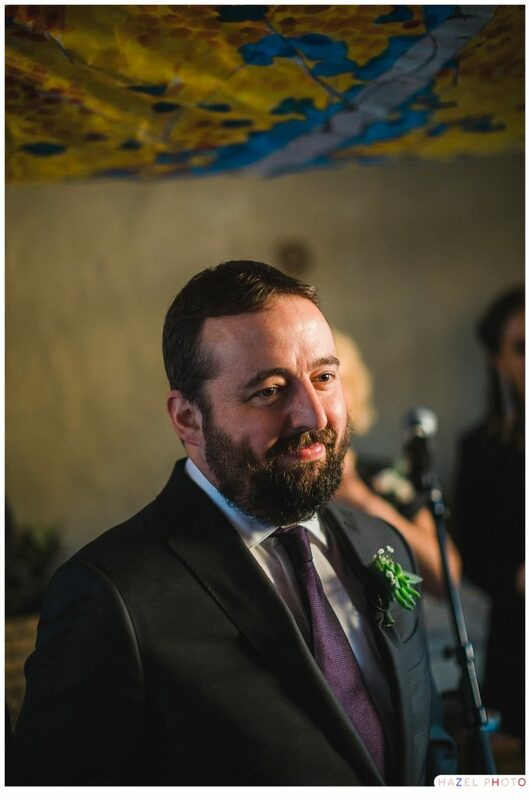 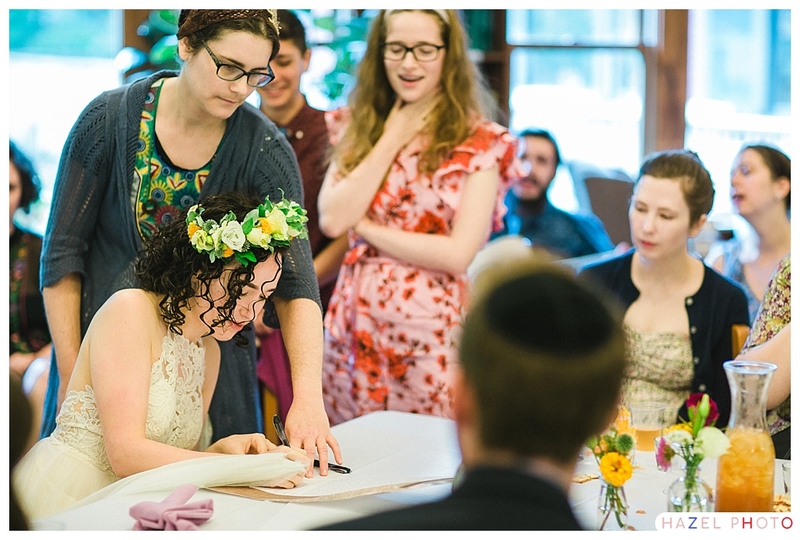 Highlights included: the signing of a gorgeous, colorful ketubah depicting, among other things, the Golden Gate Bridge, and their frolicking puppy; a musical performance with Andy on trombone, a friend on sax, and Jenni, with a chorus of friends, on vocals. 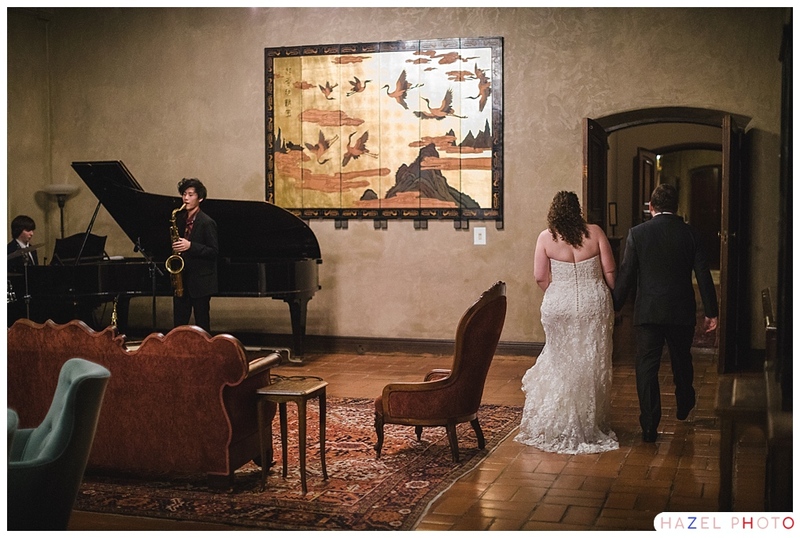 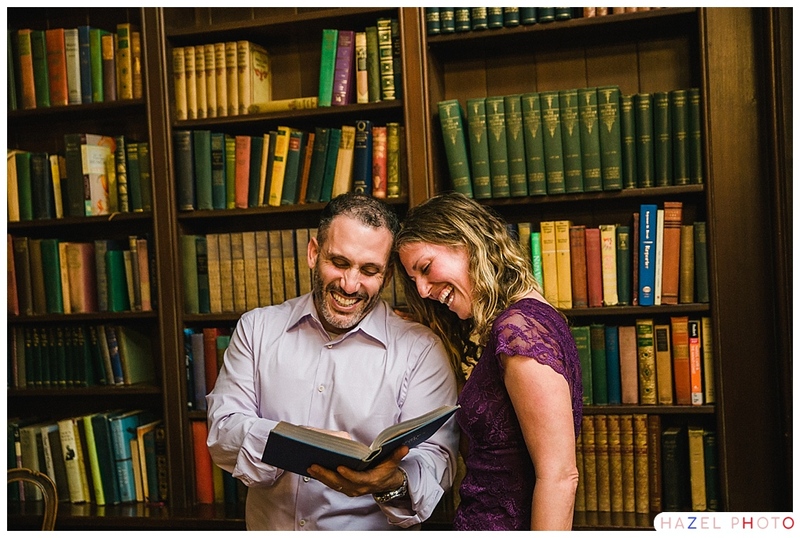 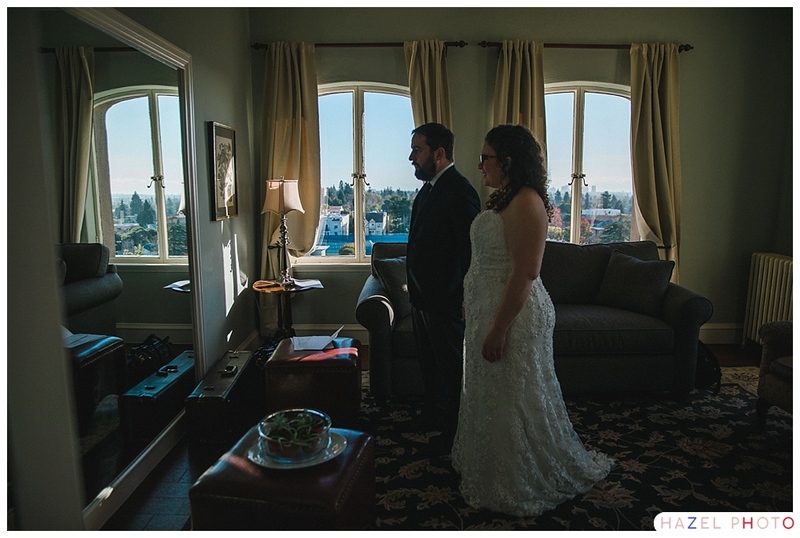 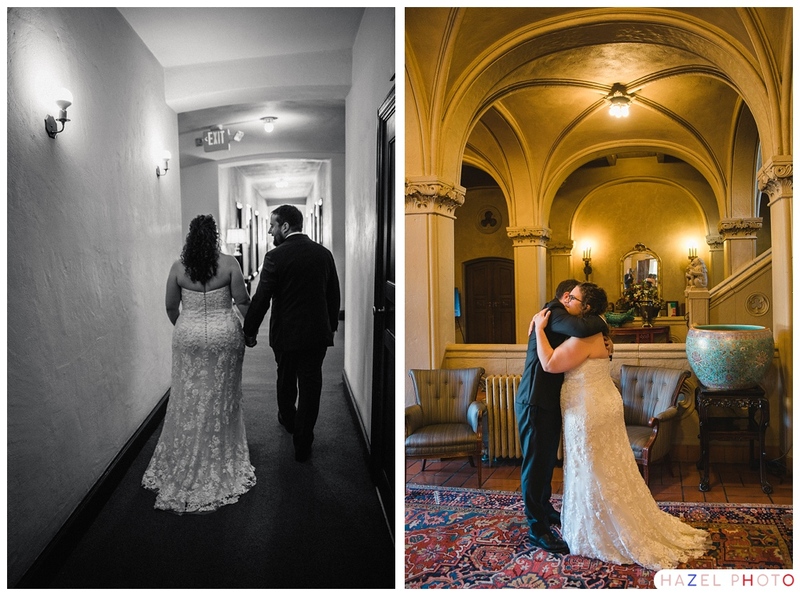 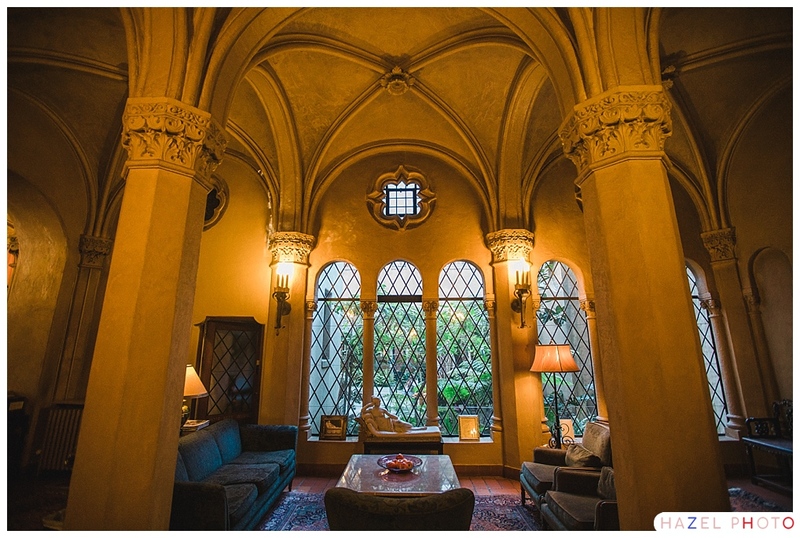 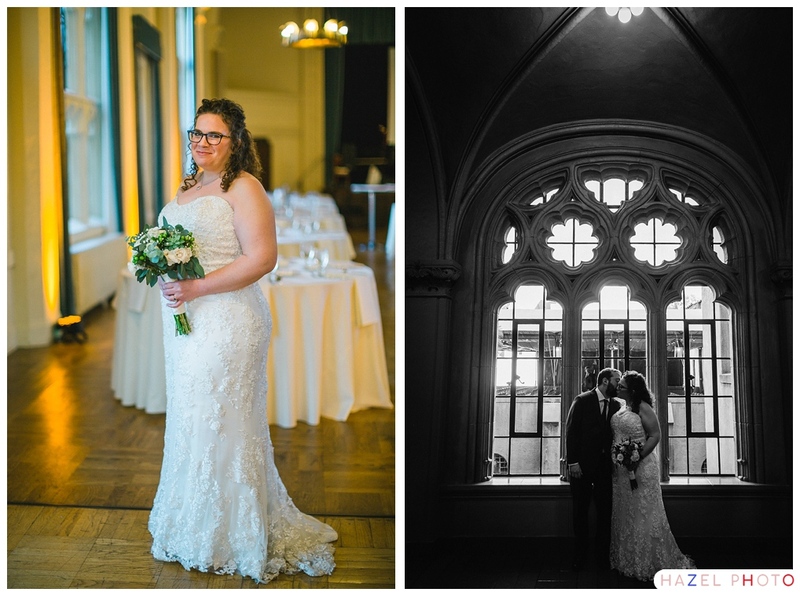 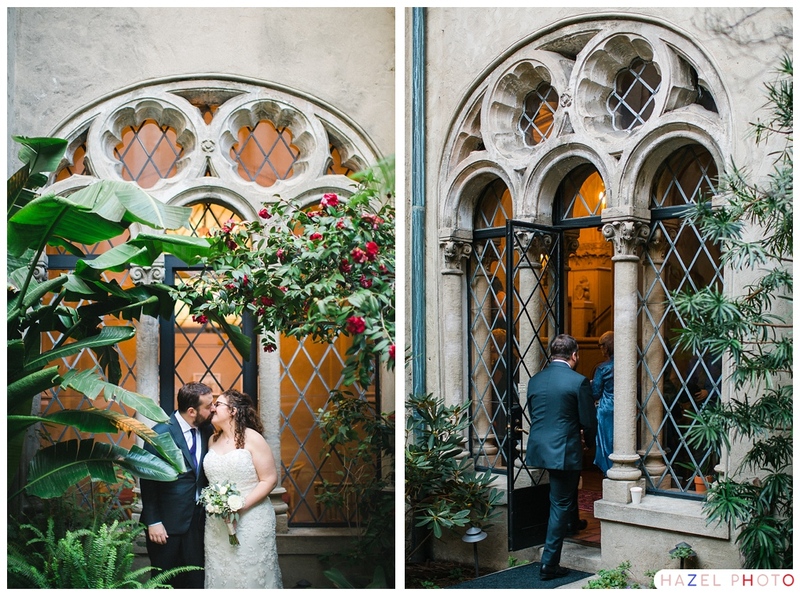 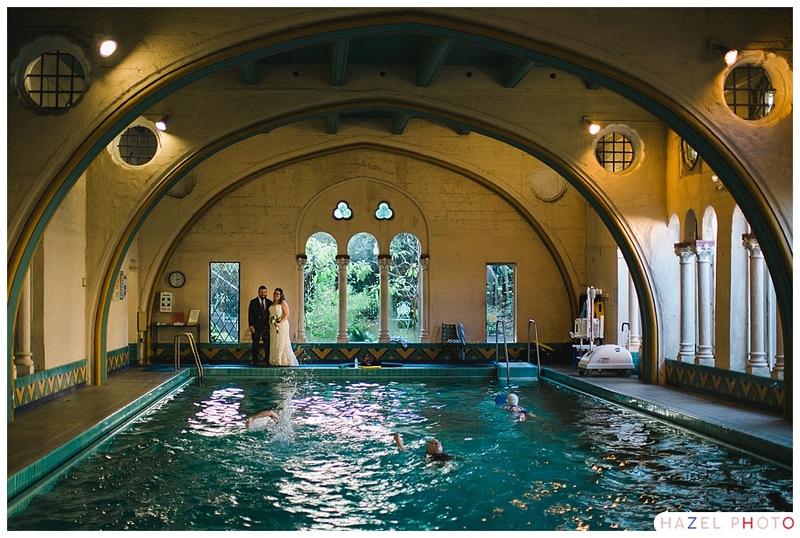 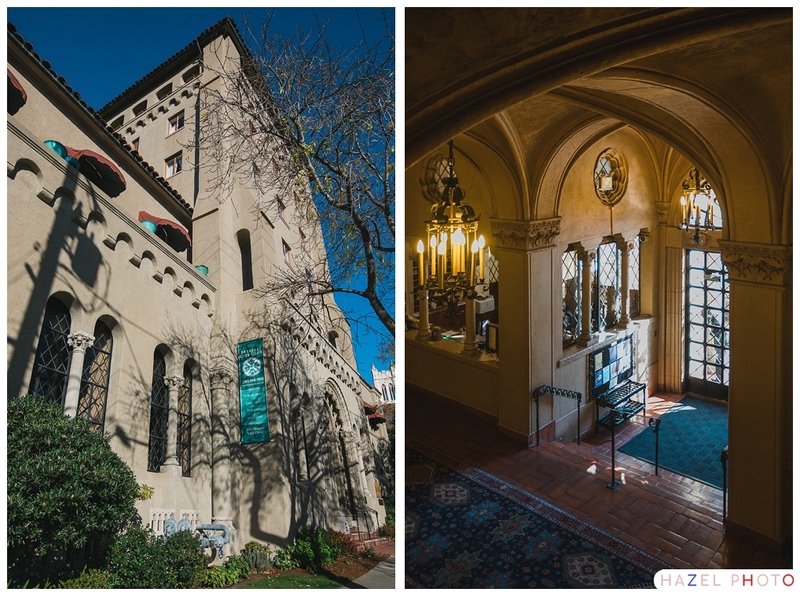 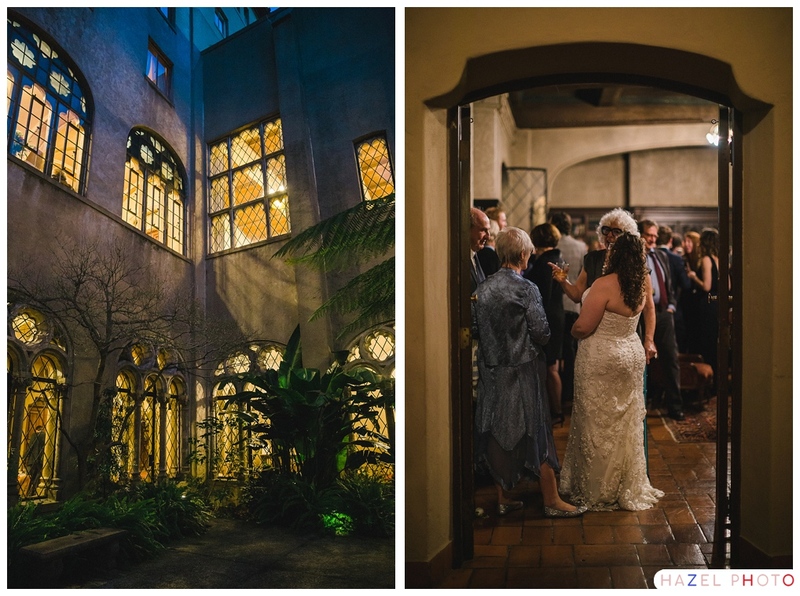 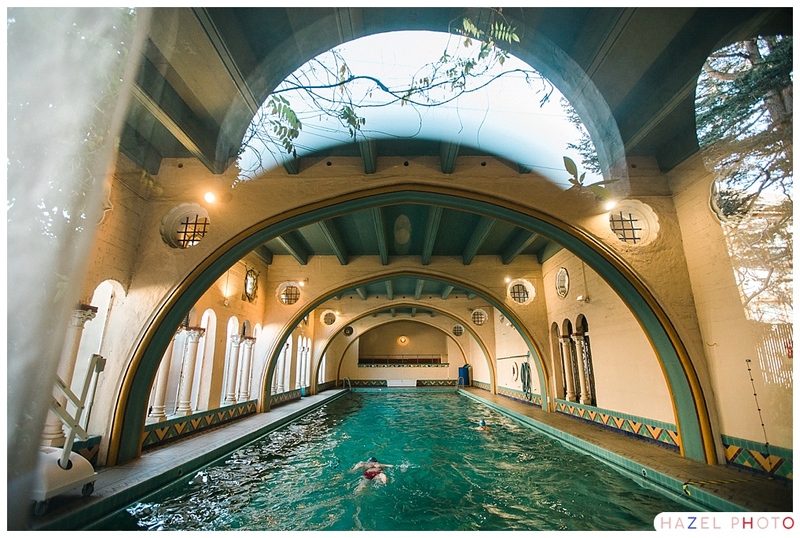 They smashed a glass, smooched, and headed into the library for cocktail hour, where a full jazz band serenaded guests. 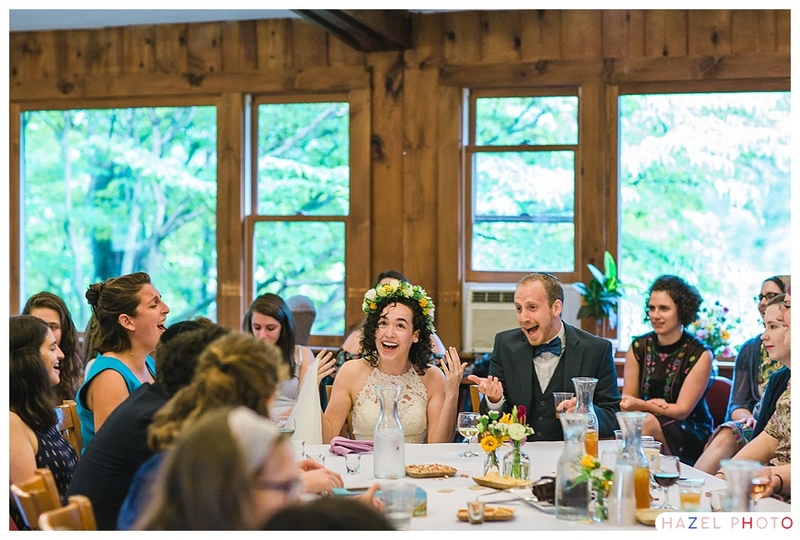 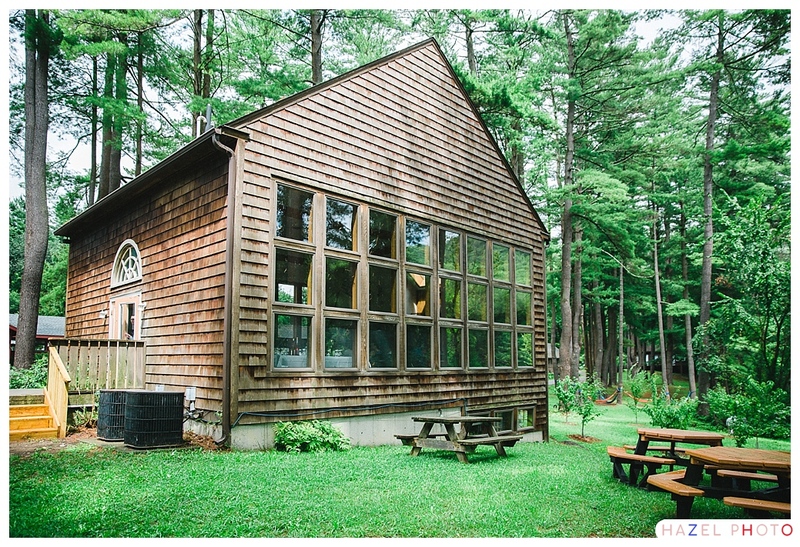 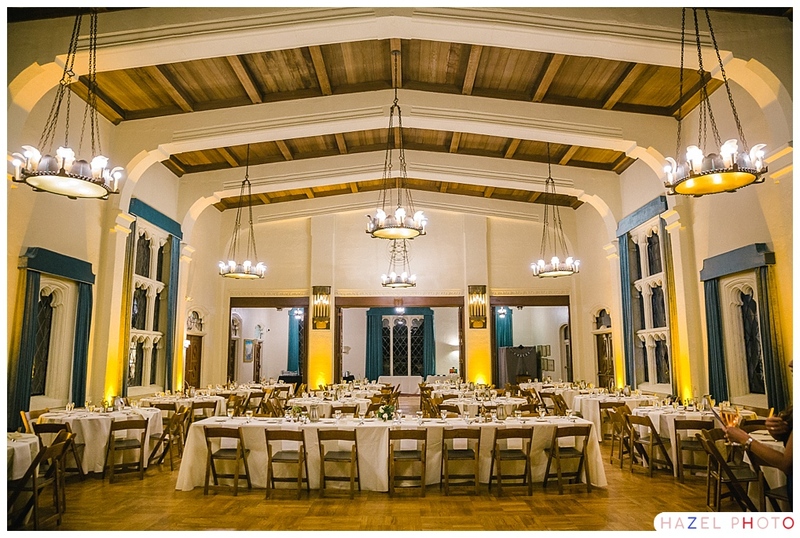 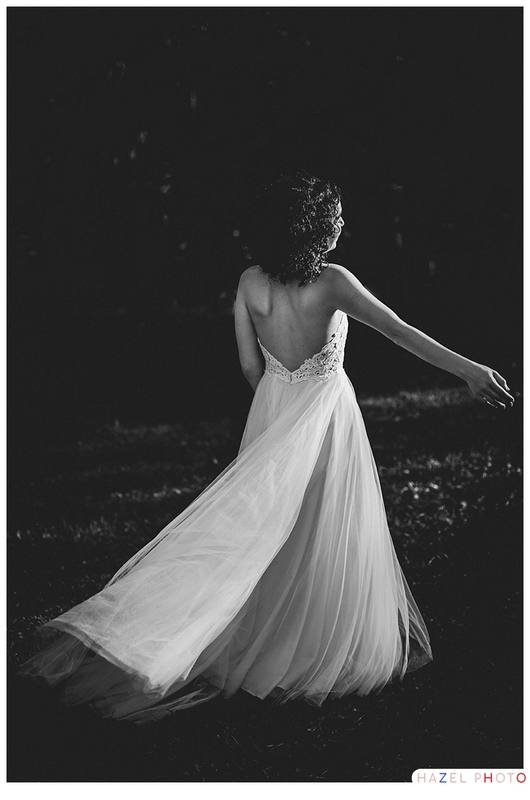 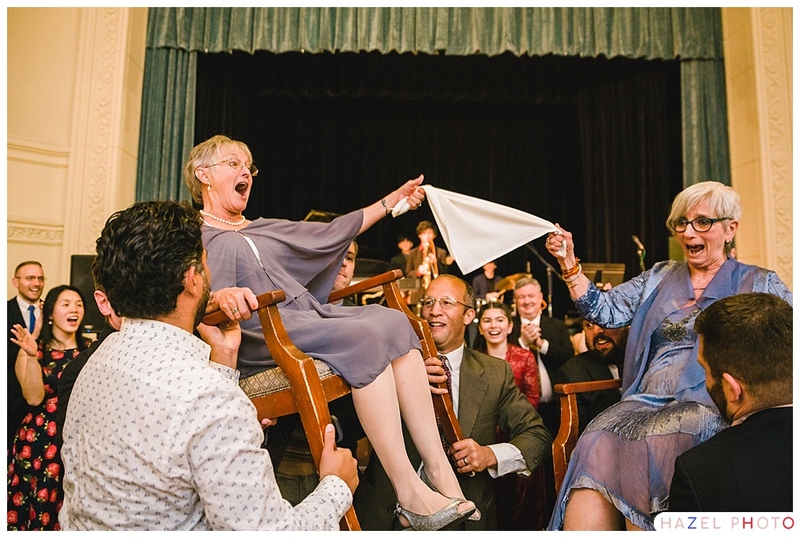 The vision for the wedding reception was crystal clear: “dinner & a show,” oh, and a hora, of course. 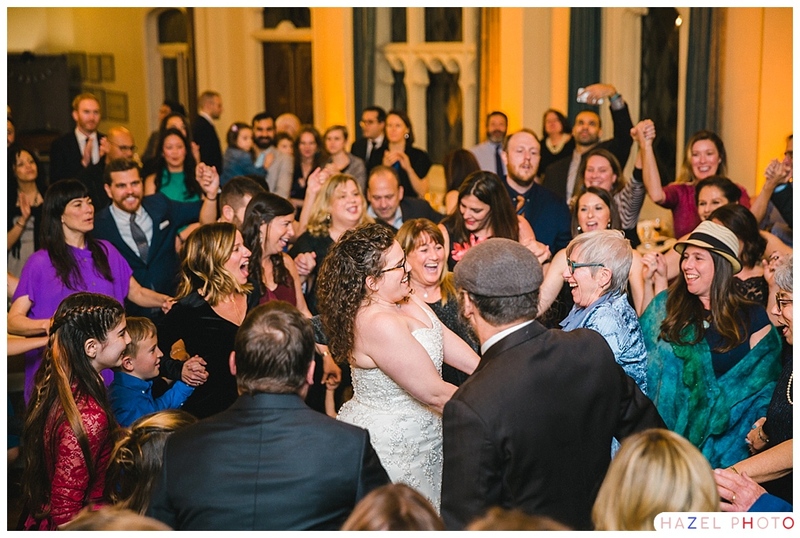 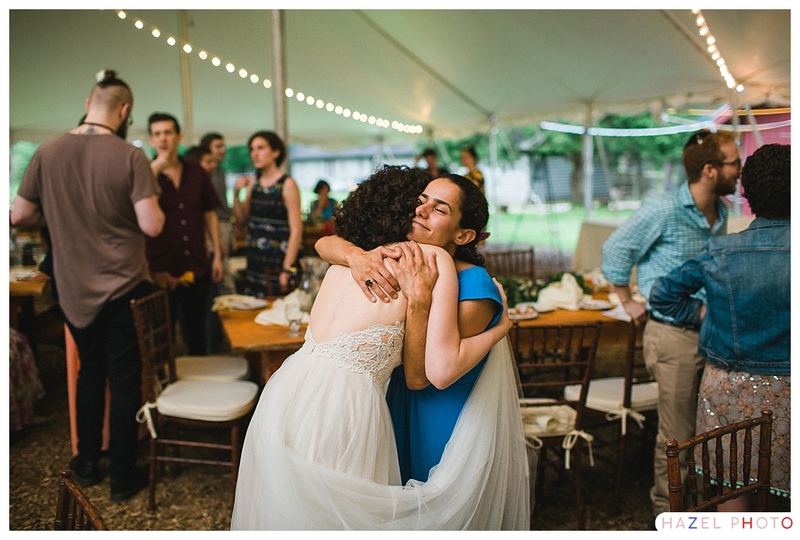 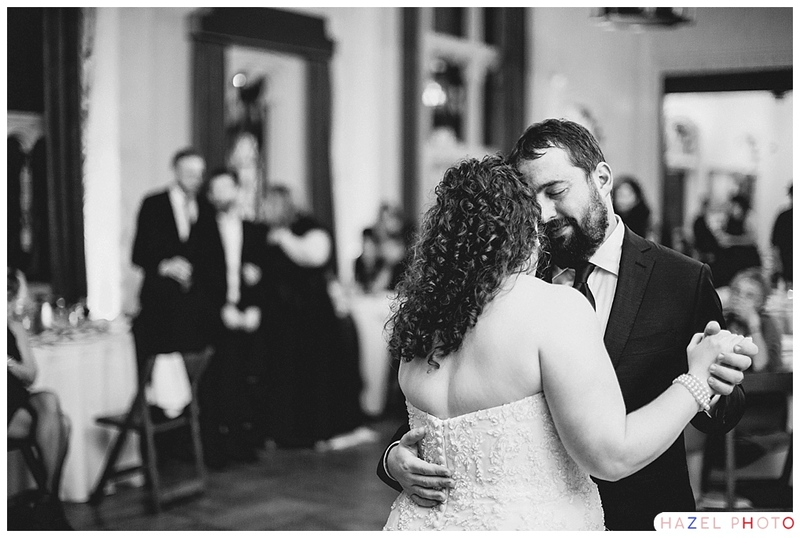 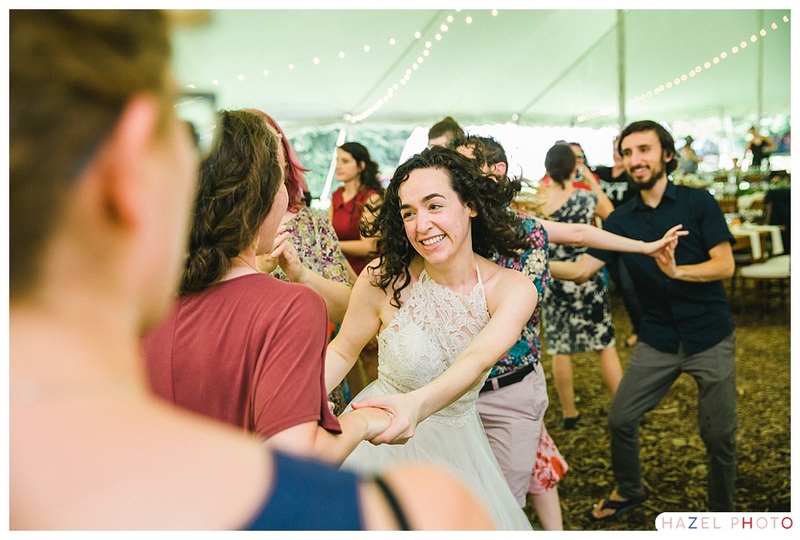 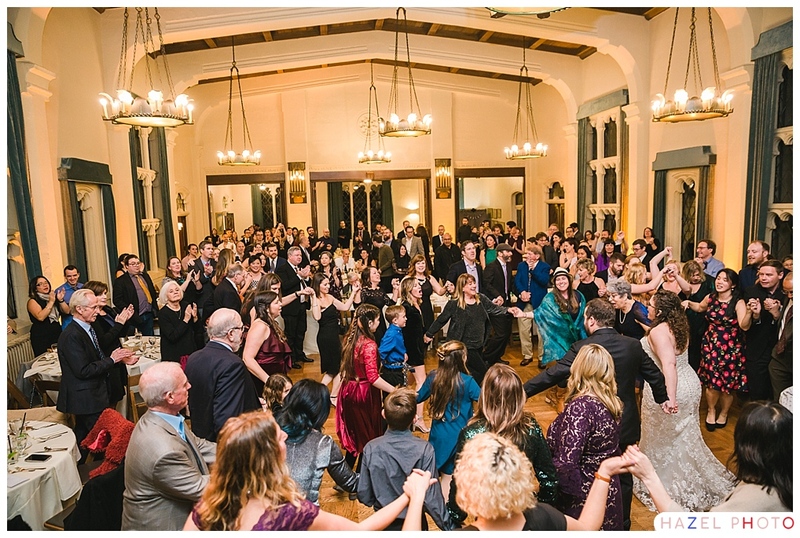 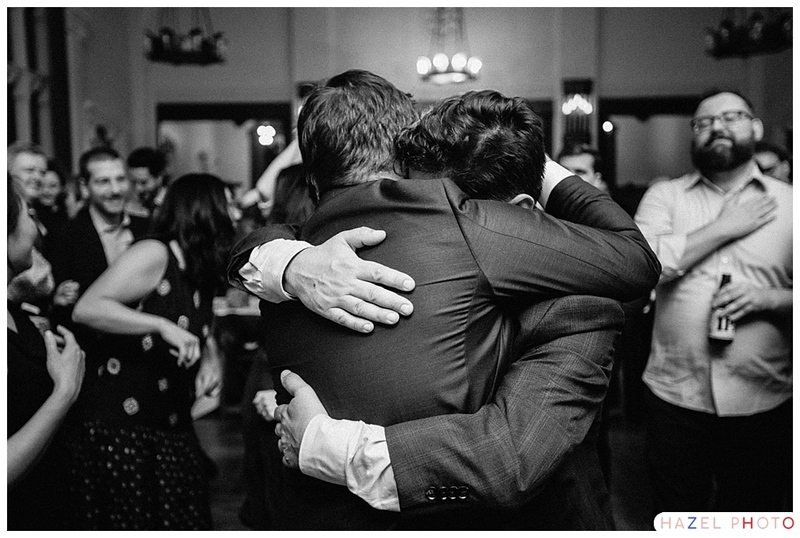 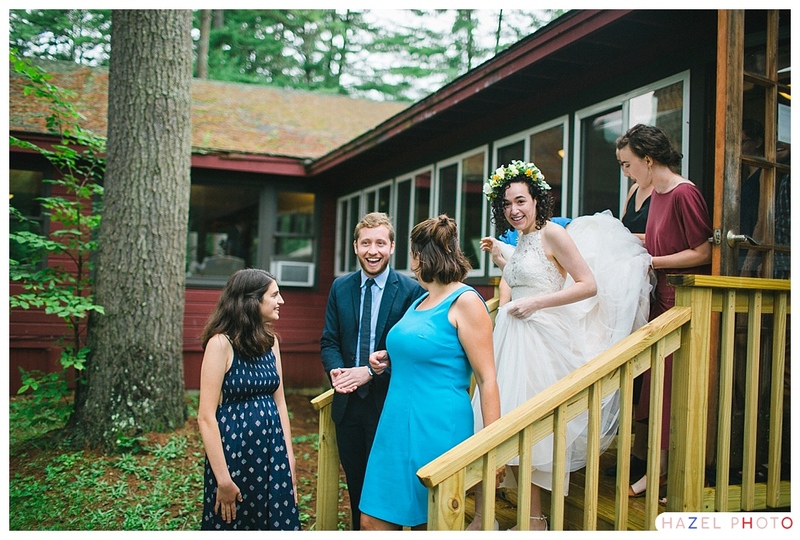 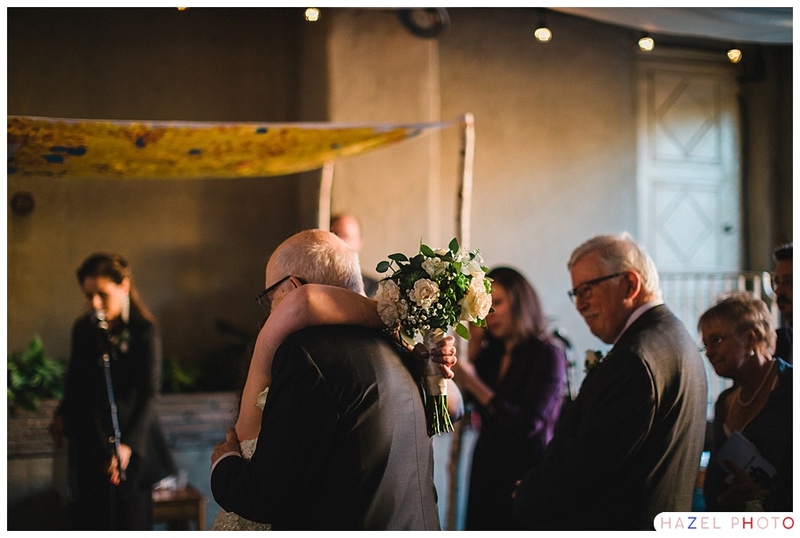 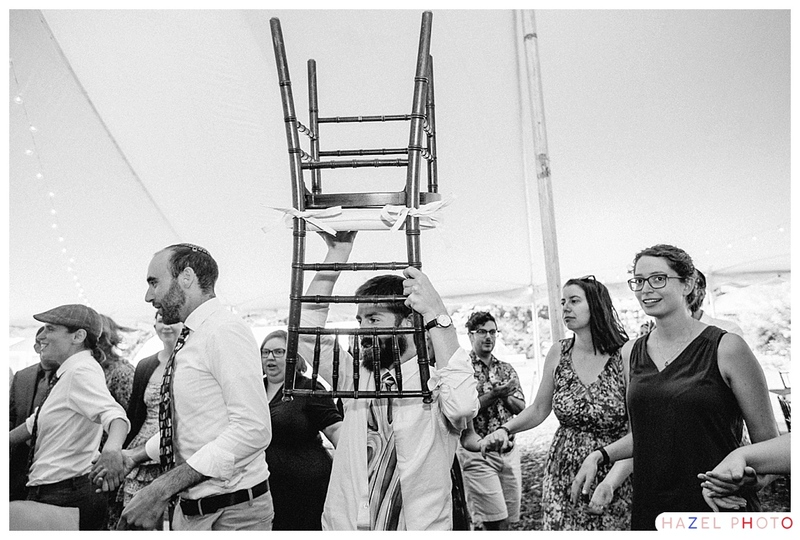 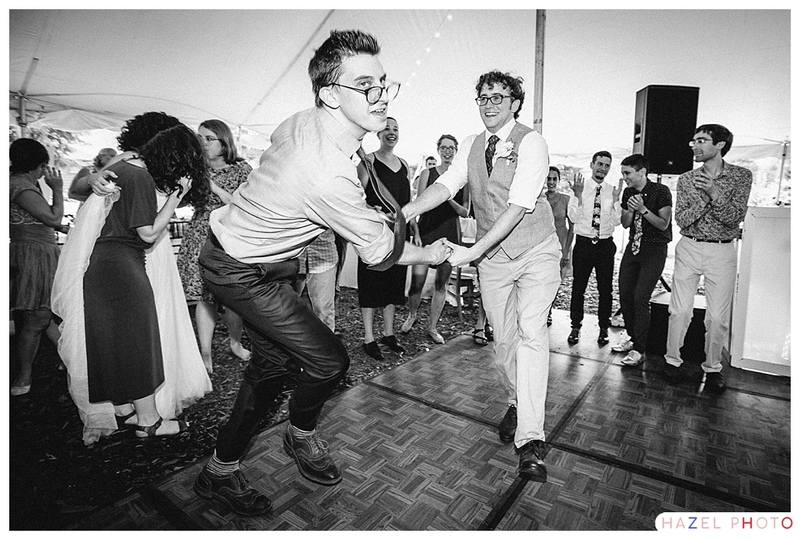 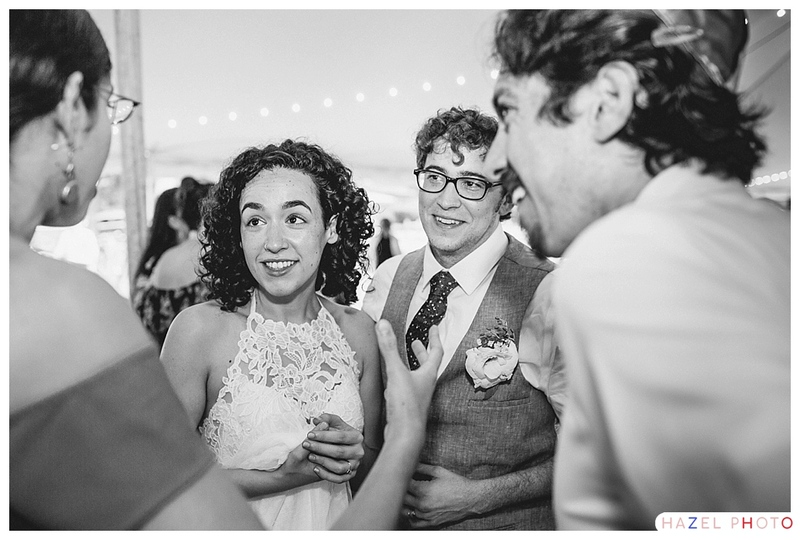 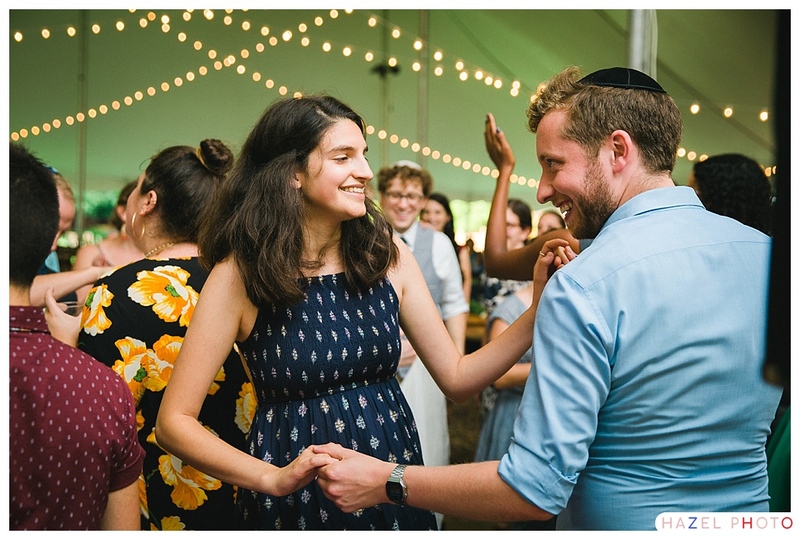 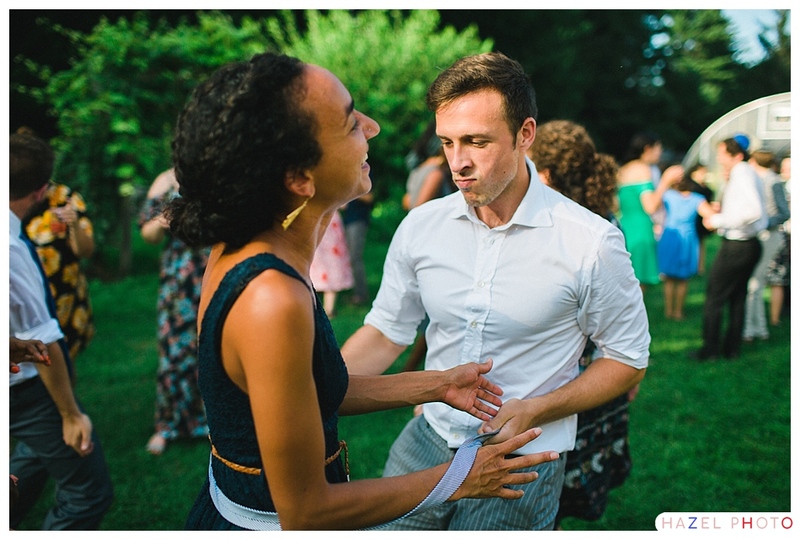 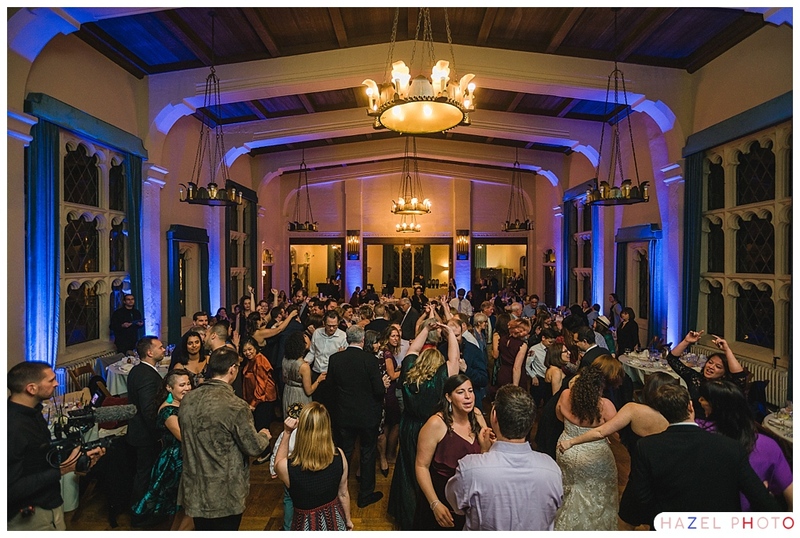 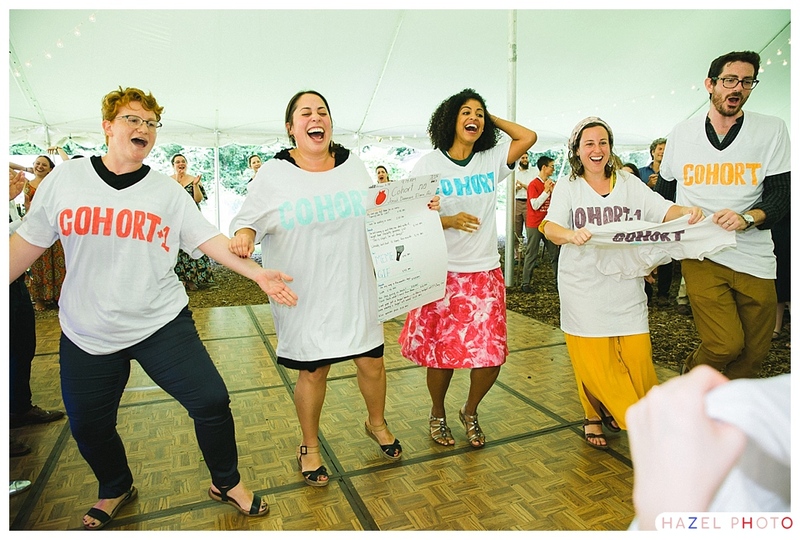 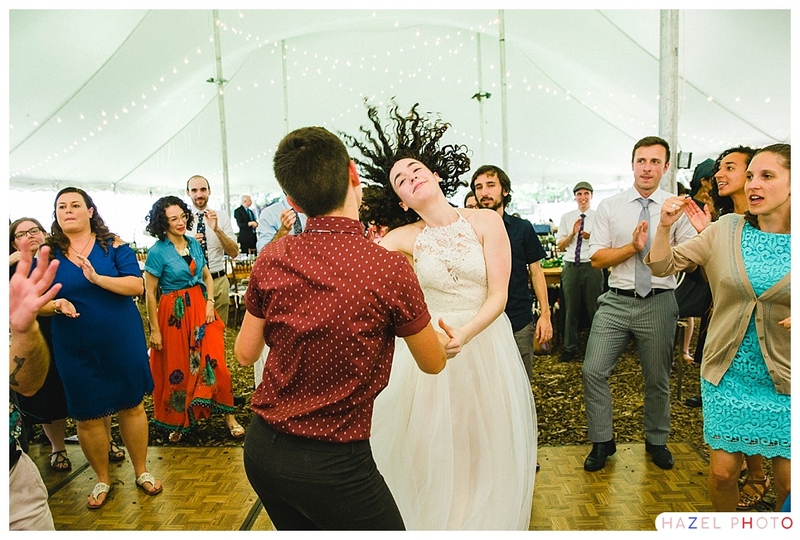 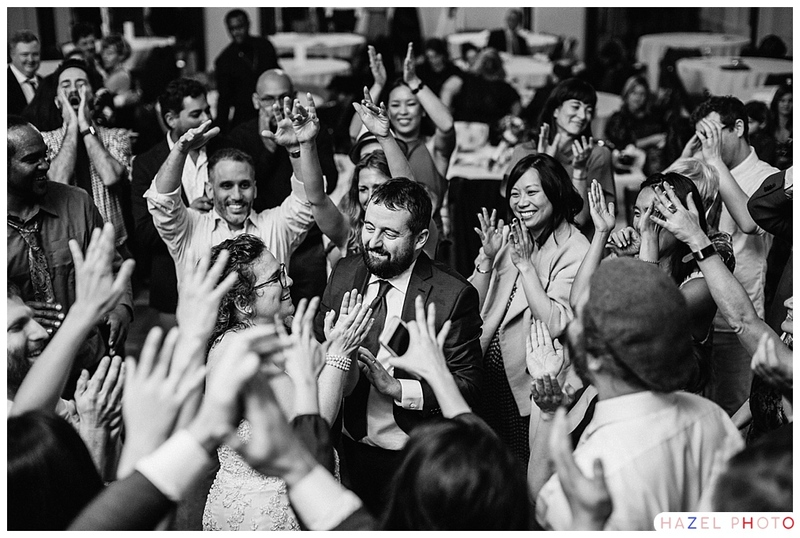 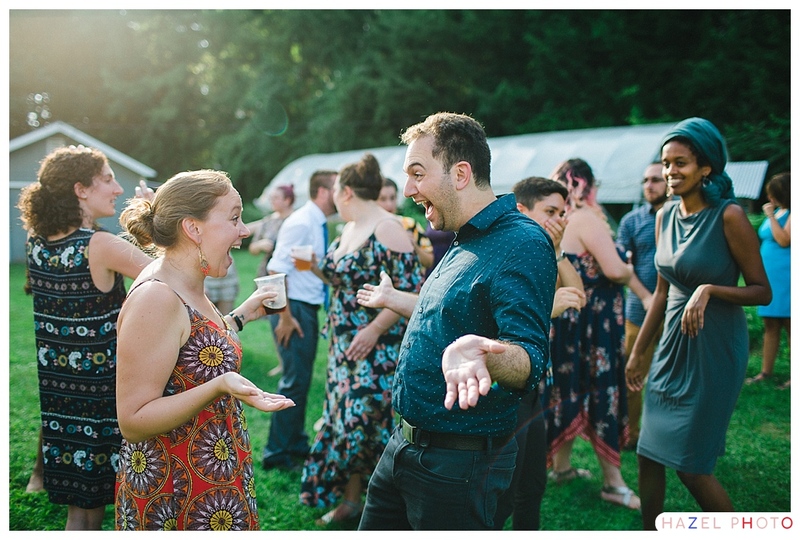 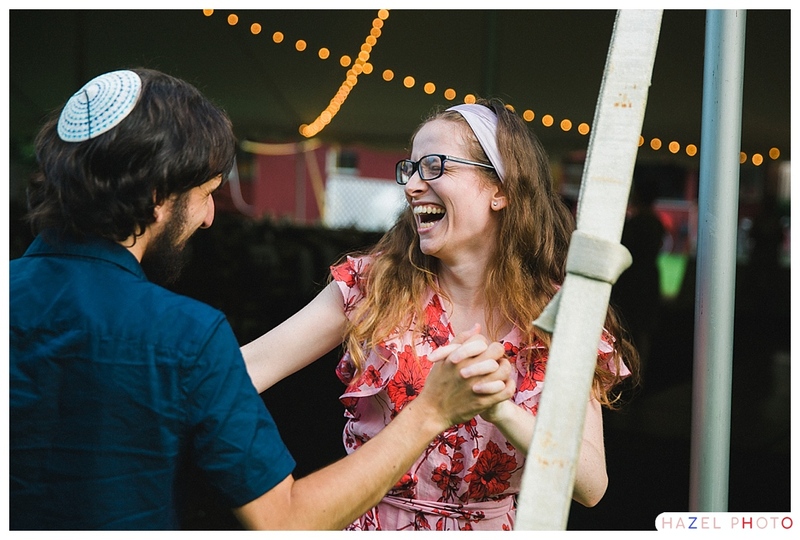 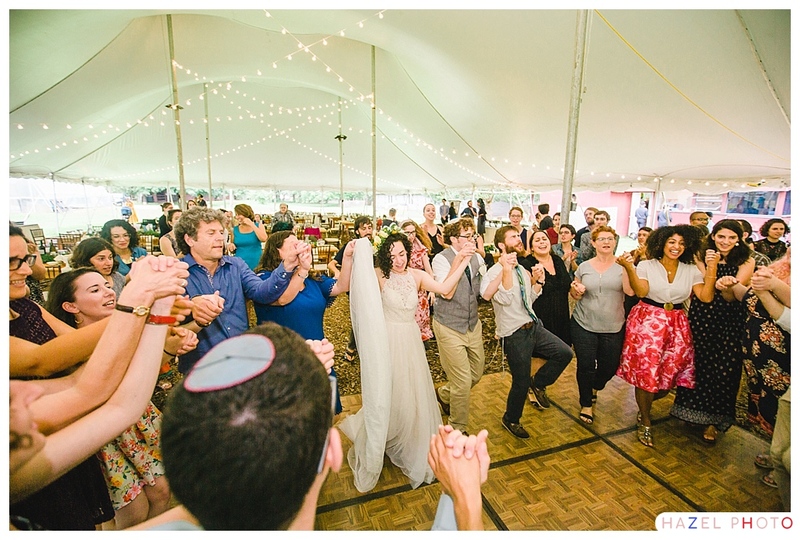 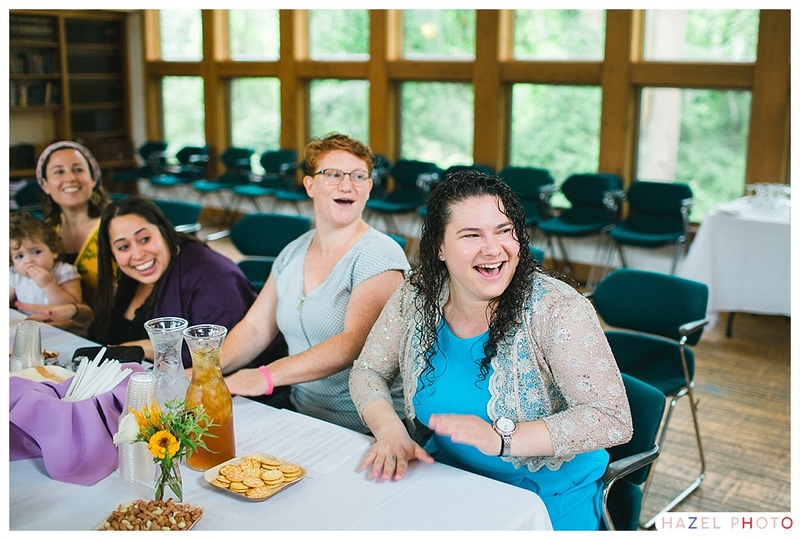 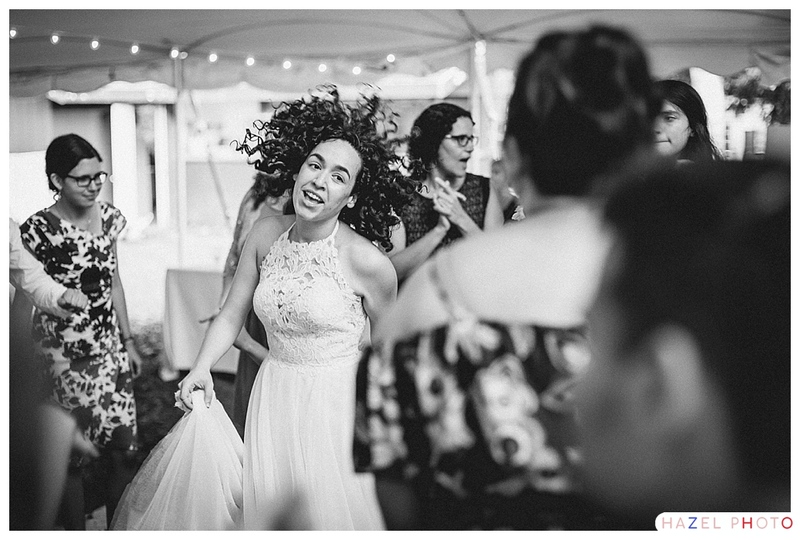 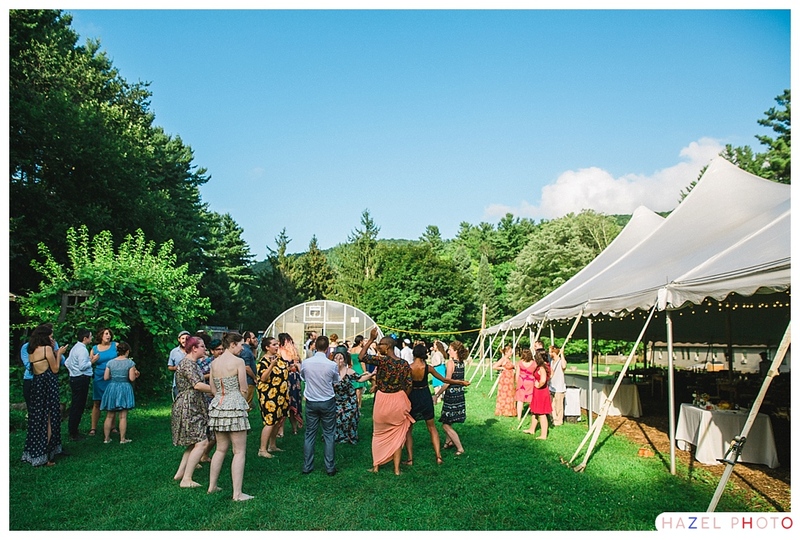 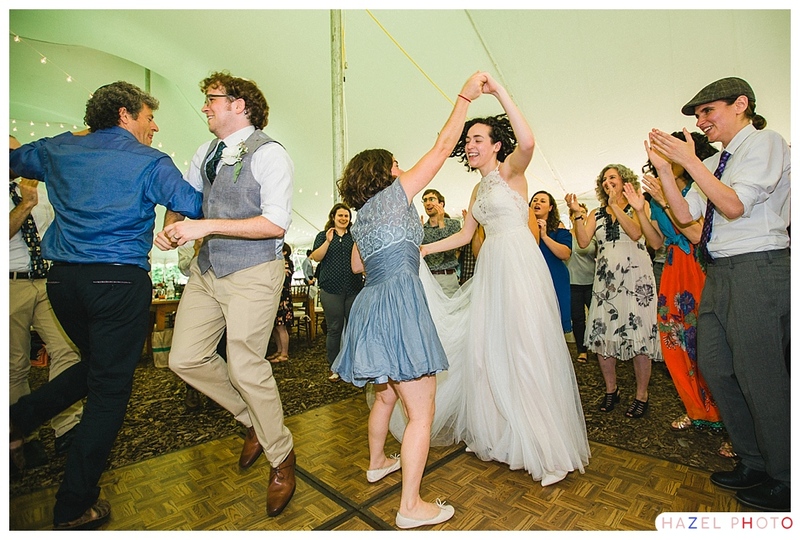 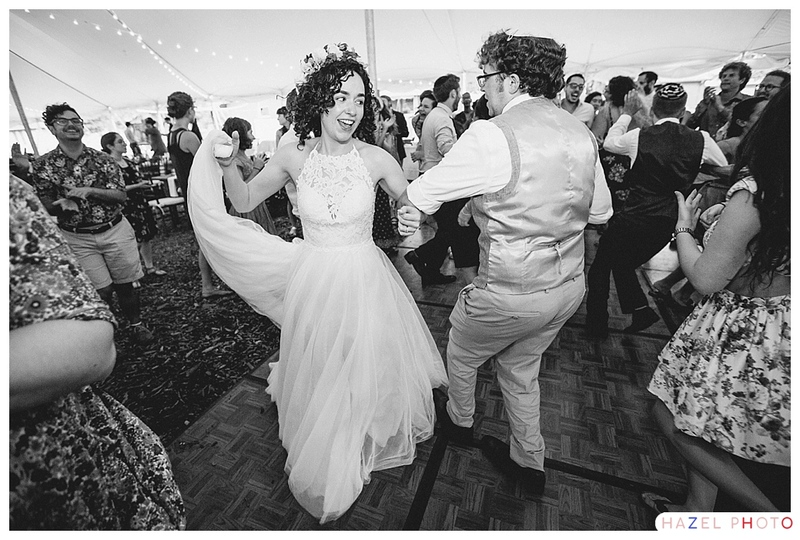 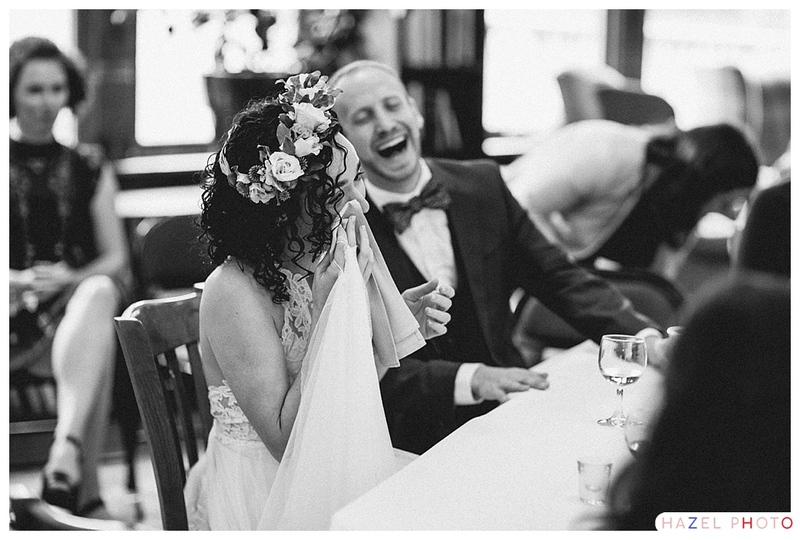 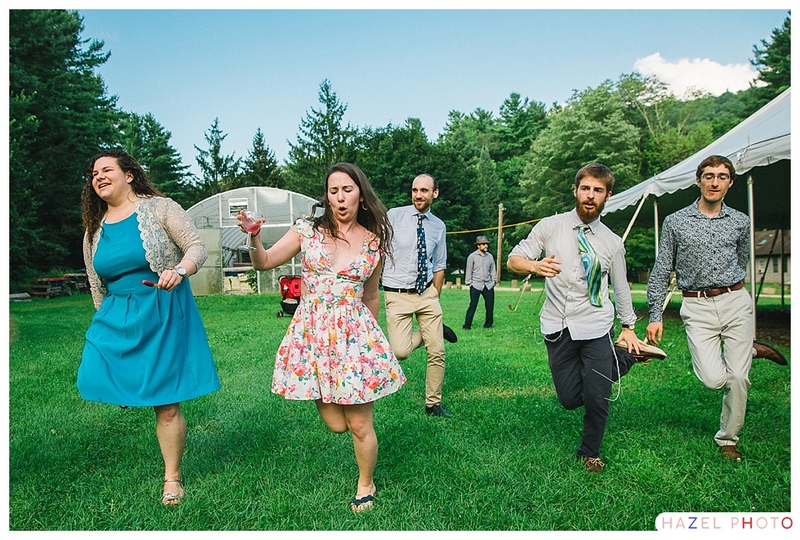 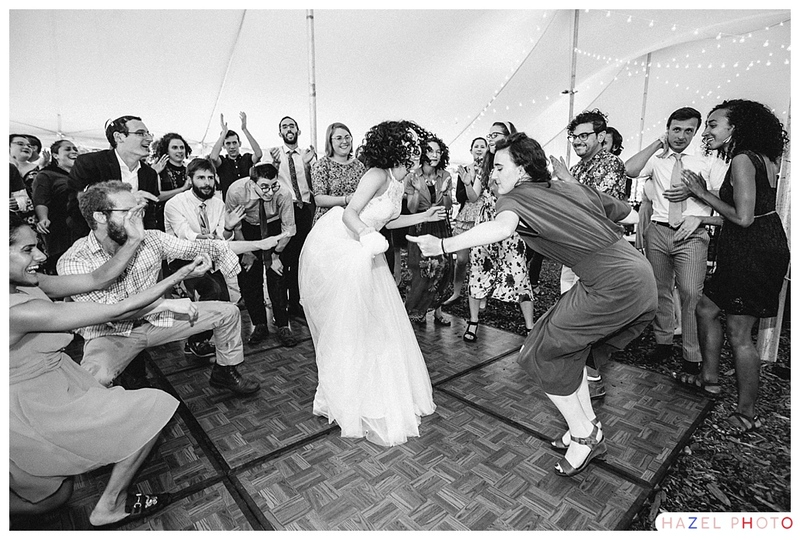 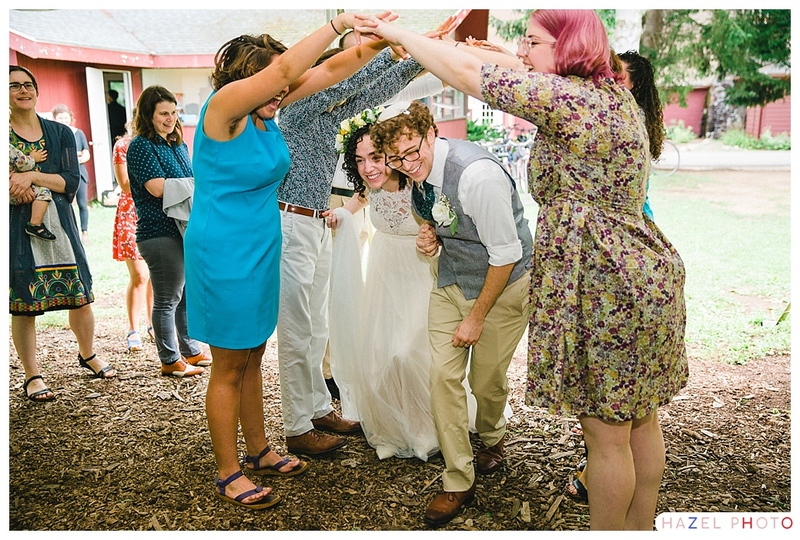 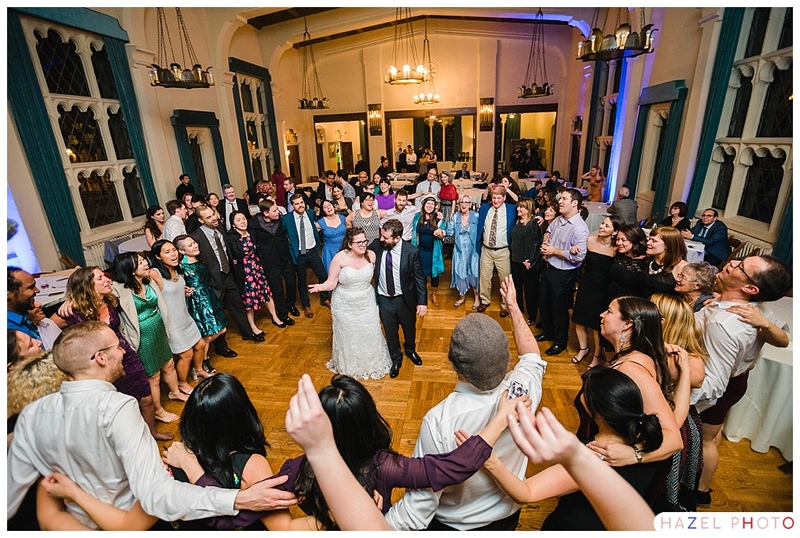 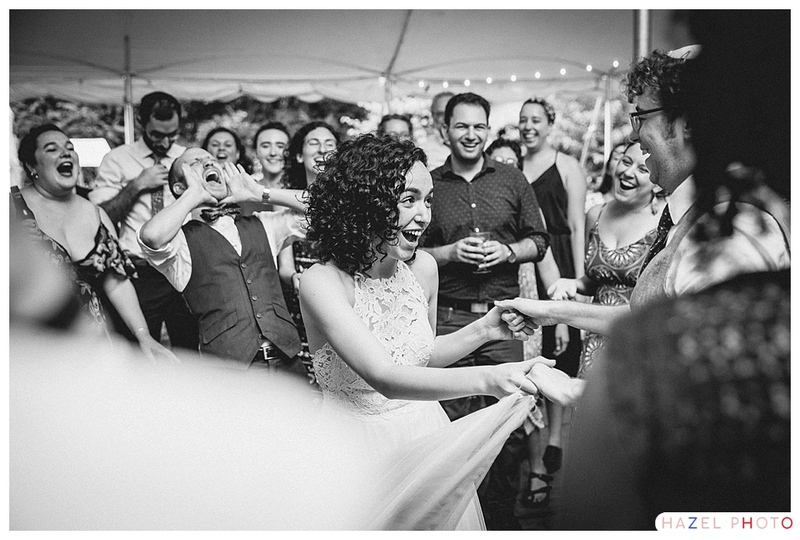 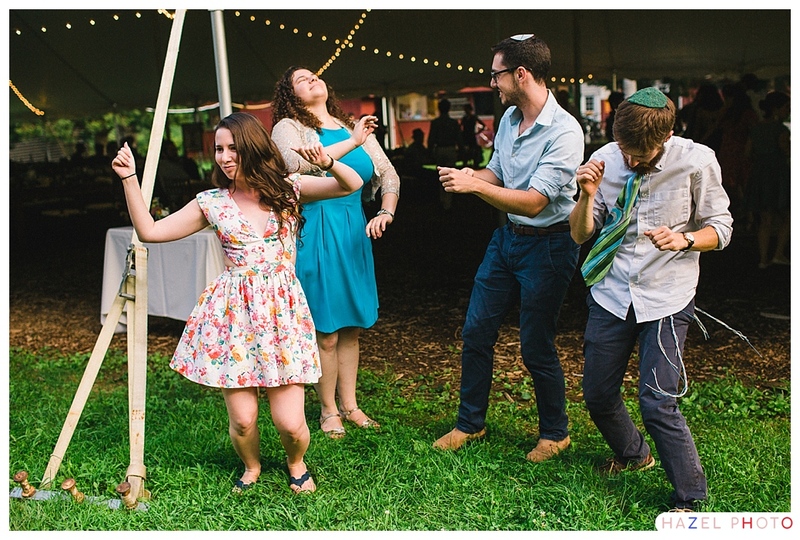 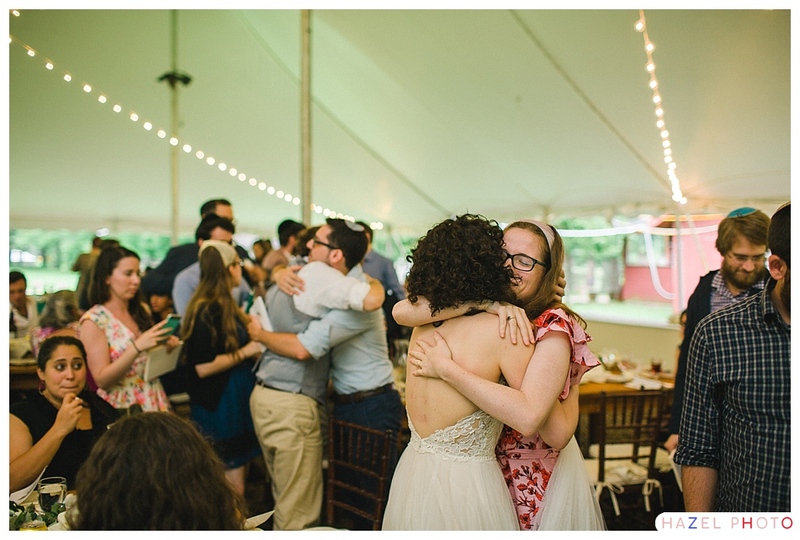 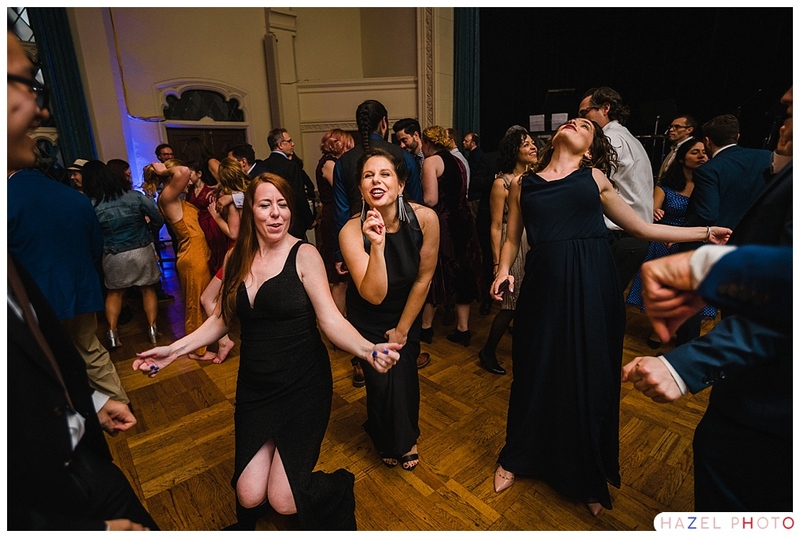 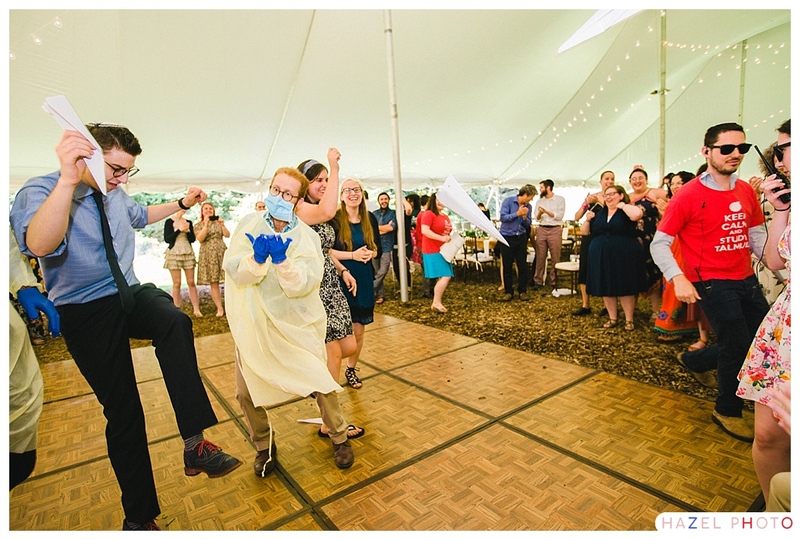 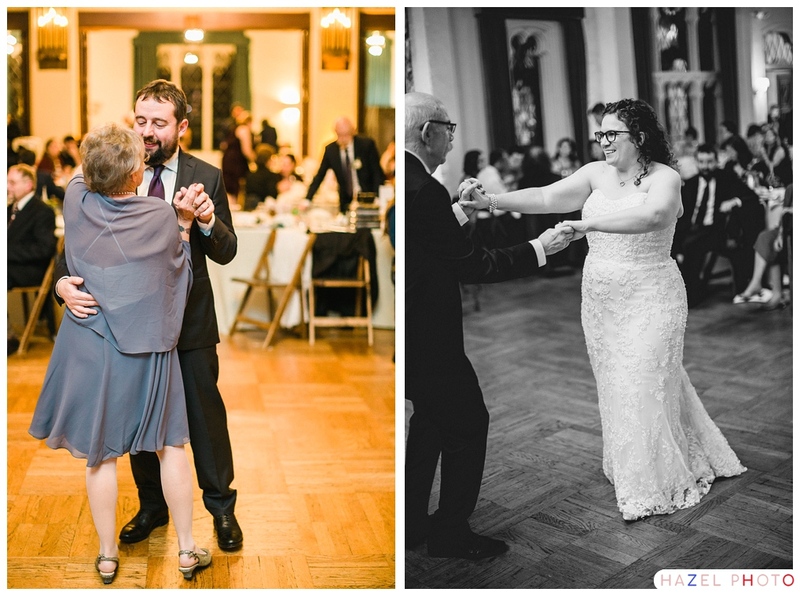 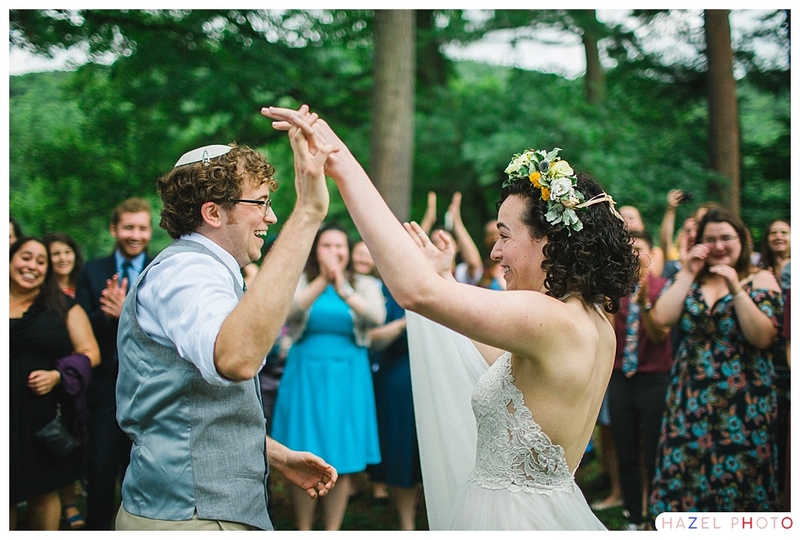 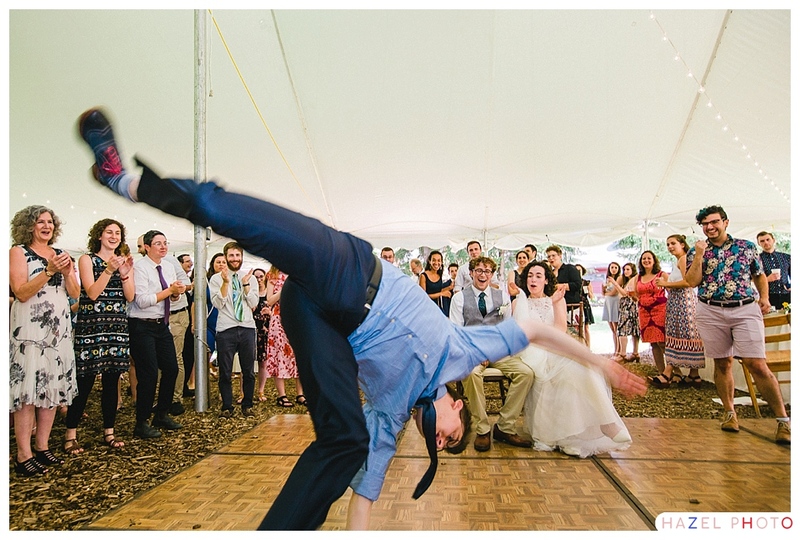 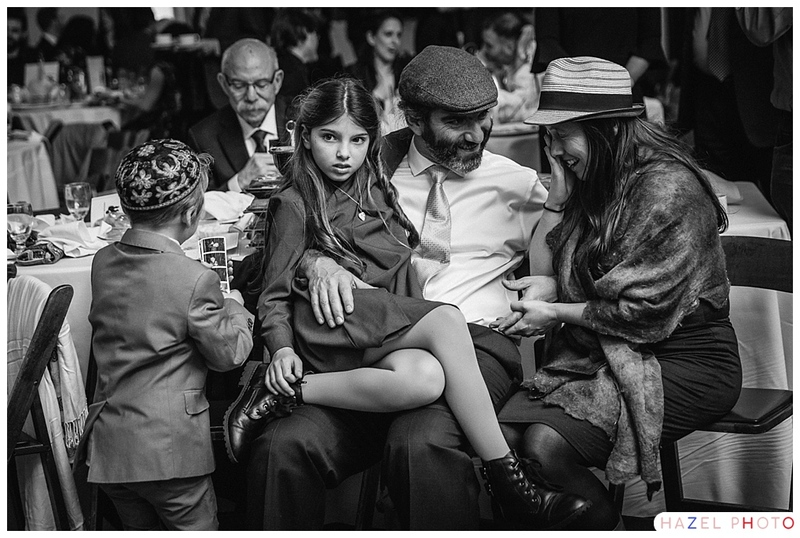 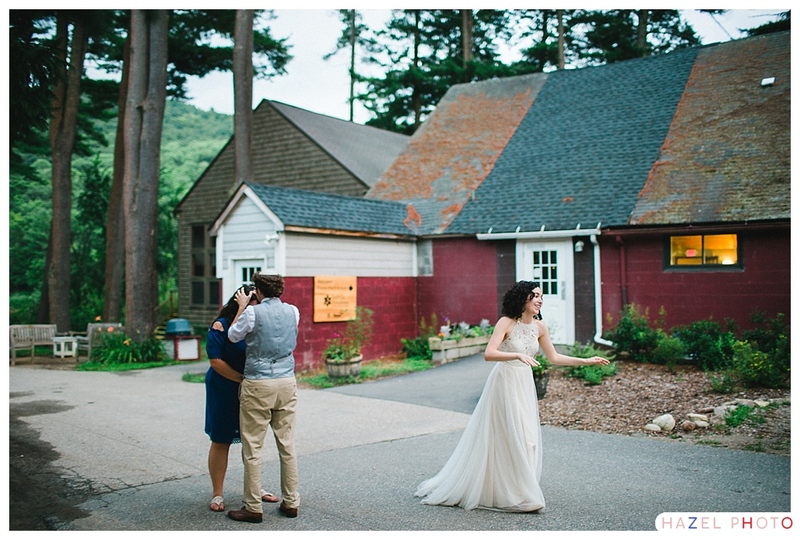 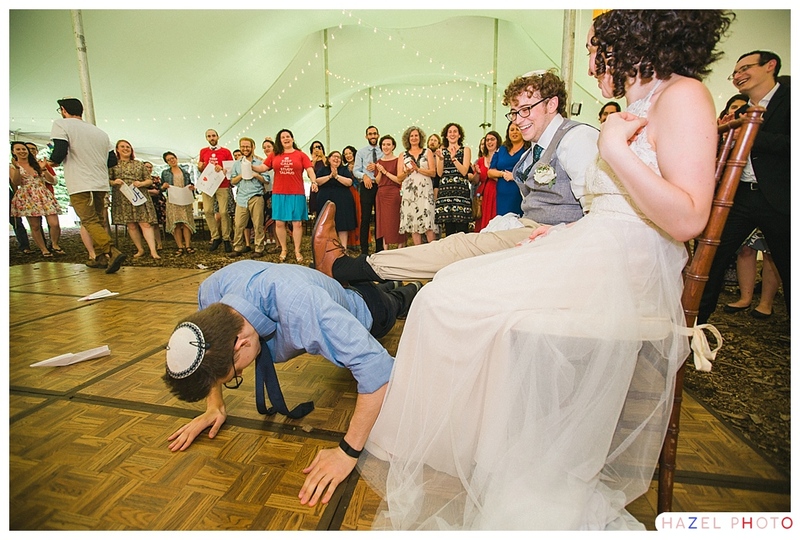 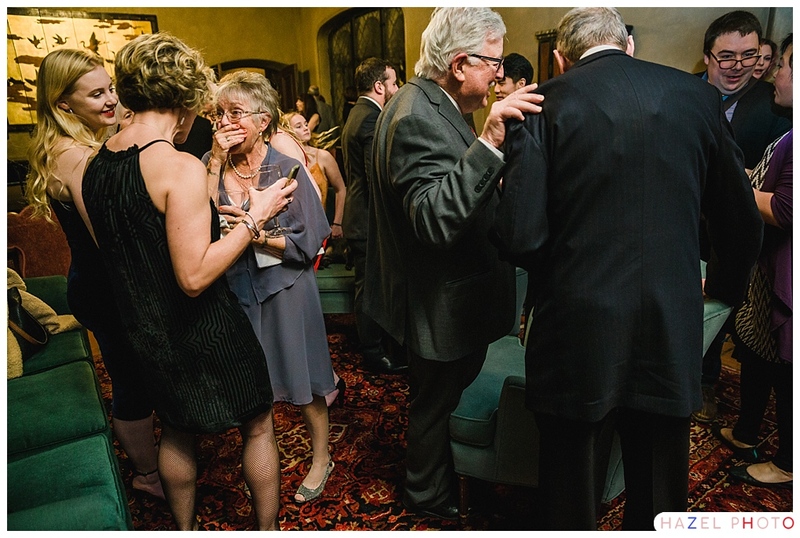 (Important life rule, never pass up a chance to dance the hora.) 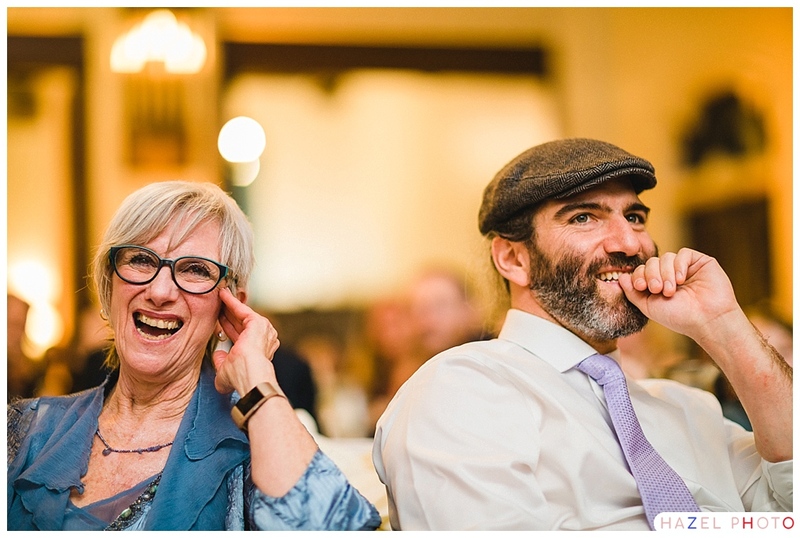 Andy’s parents kicked off the show portion of the evening with a riotous slideshow romp through Jenni & Andy’s childhoods. 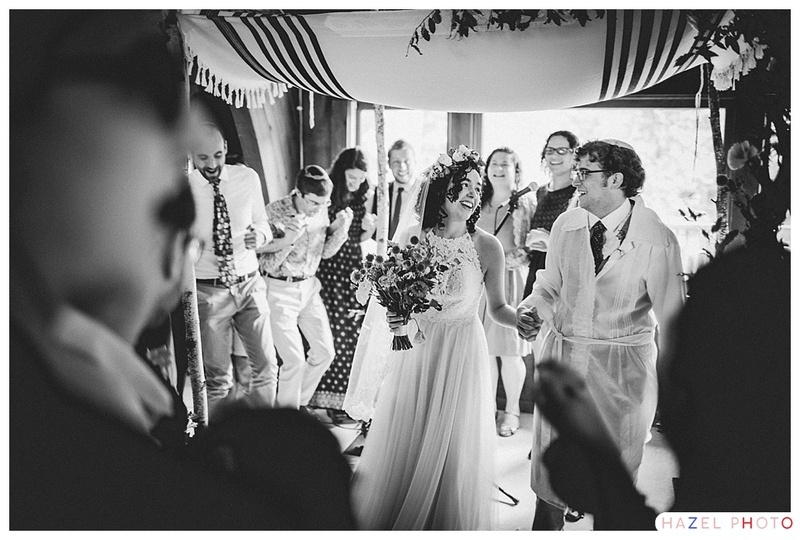 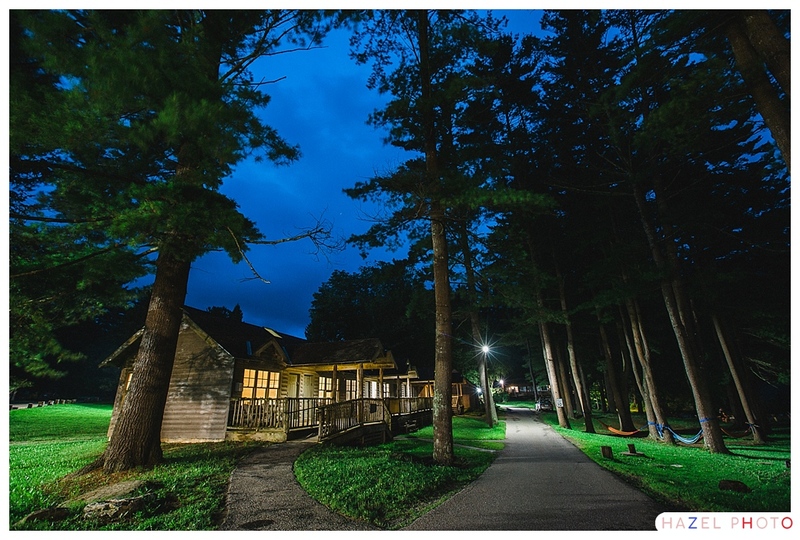 There were traditional toasts, a family band, experimental music, pop covers, a jazz set with Andy and band. 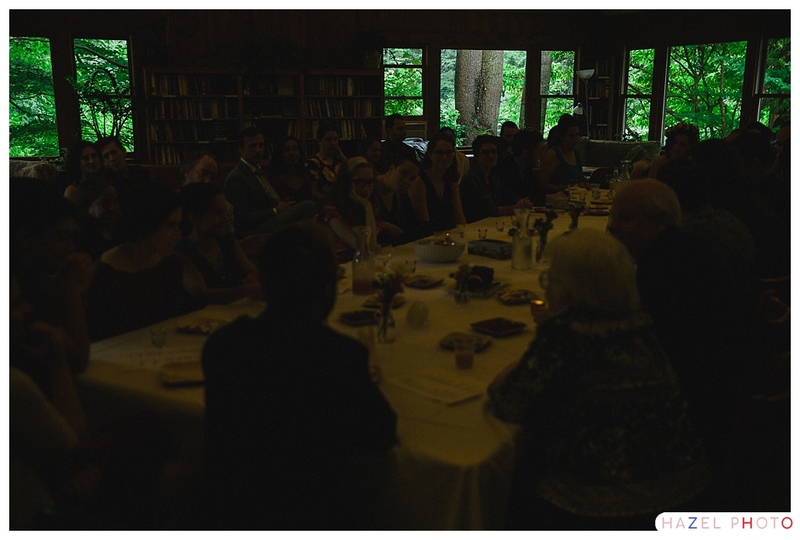 Such a lovely full evening!